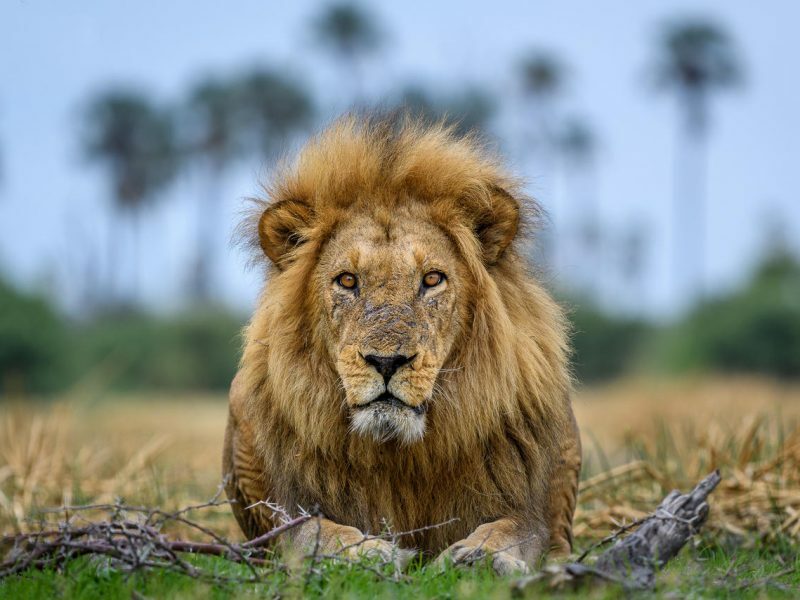 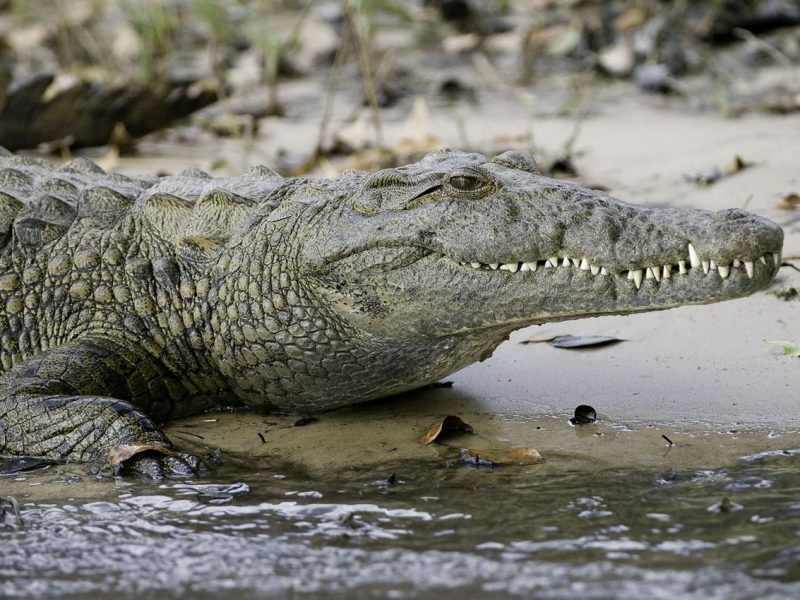 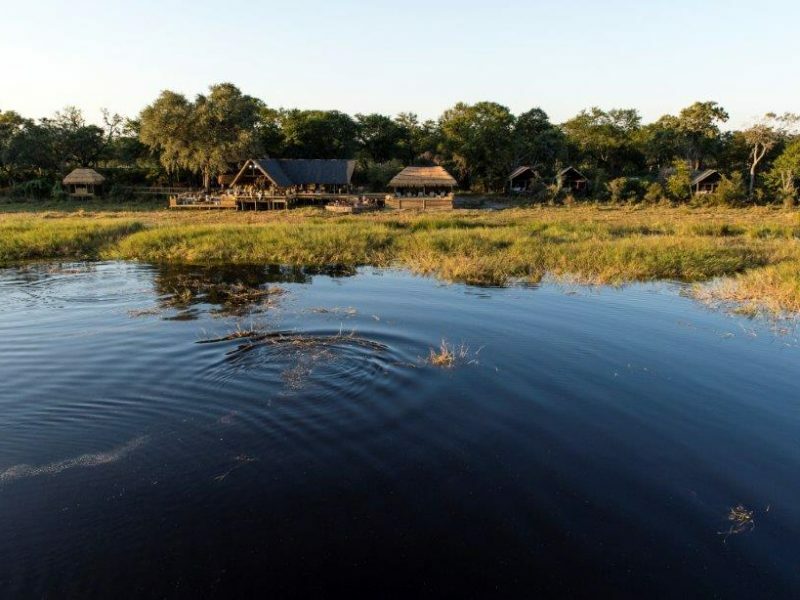 Lying in the middle of the largest expanse of sand on earth the Okavango Delta is one of Africa’s most amazing, sensitive and complex environments supporting a spectacle of wilderness and wildlife. 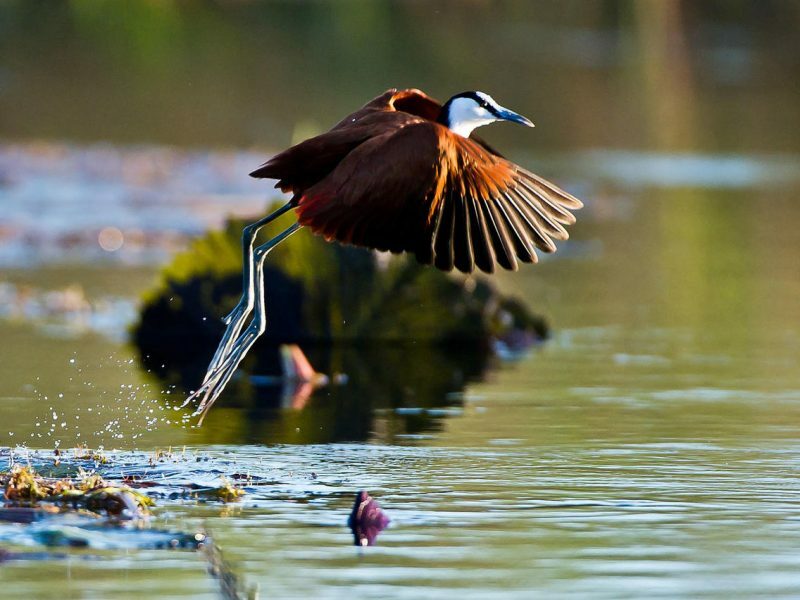 Unique as one of the world’s few inland deltas, the placid waters and lush indigenous forests offer a safe haven for innumerable bird and wildlife species. 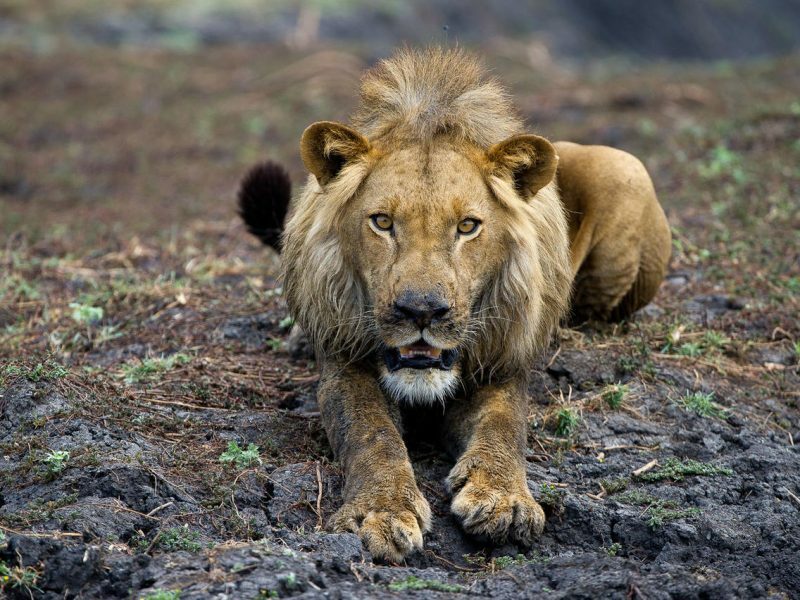 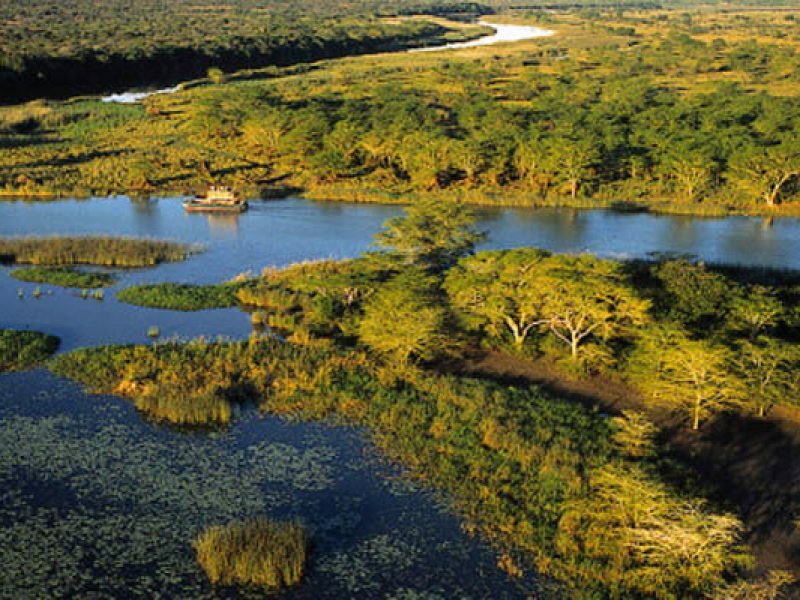 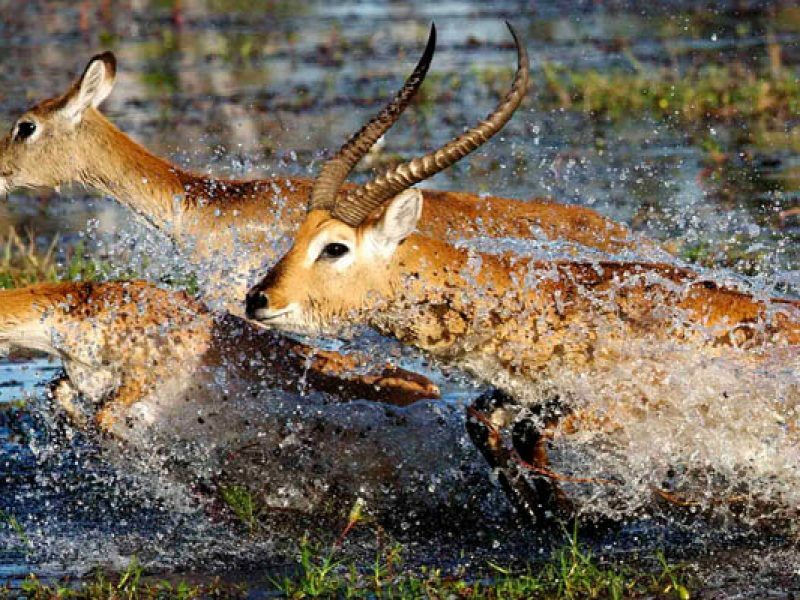 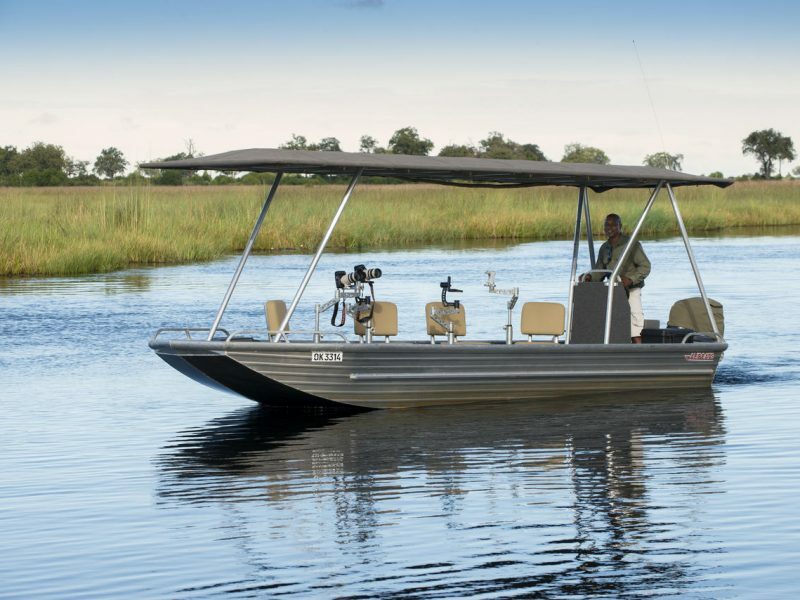 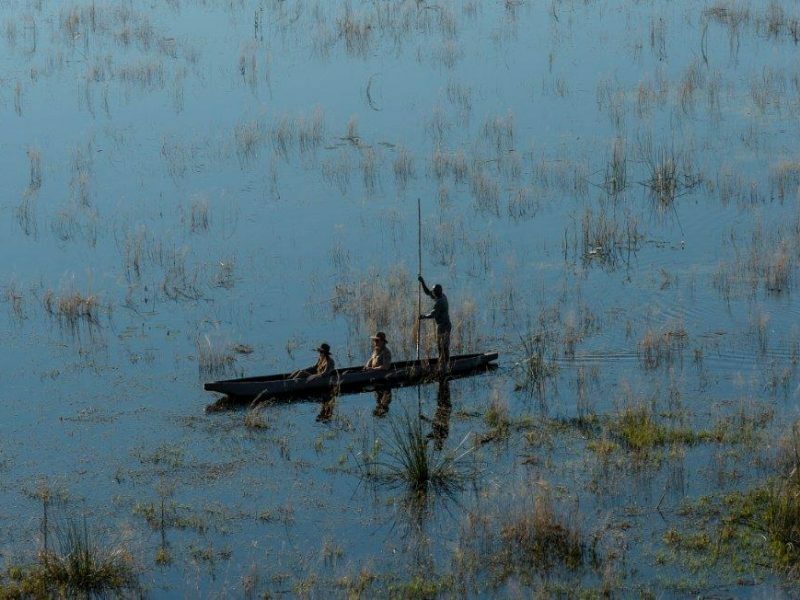 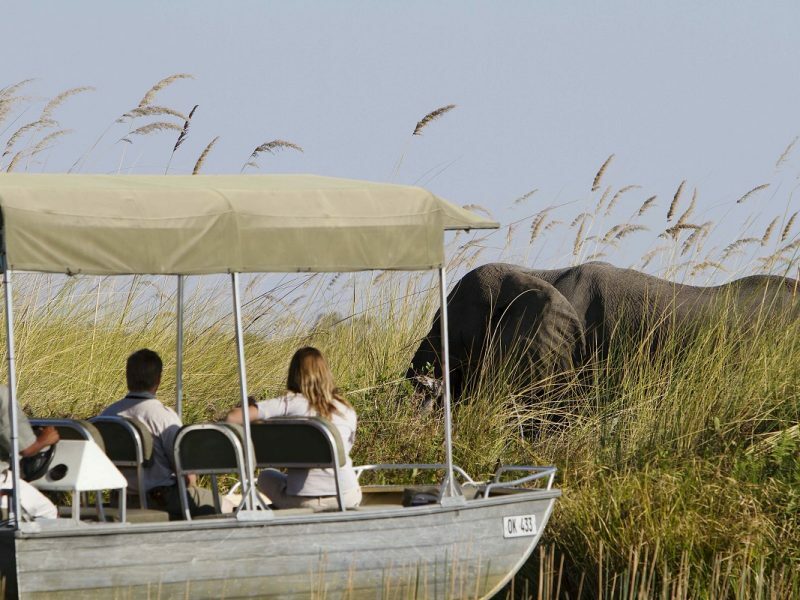 The Okavango Delta offers a number of activities for the visitor; game viewing, birding and fishing are all on offer. 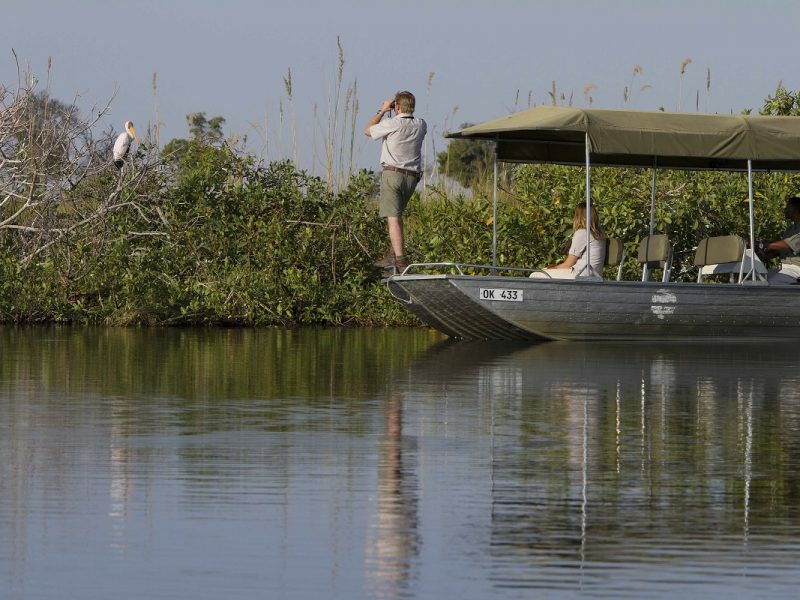 One can experience this magical world of islands and waterways from land, air and water. 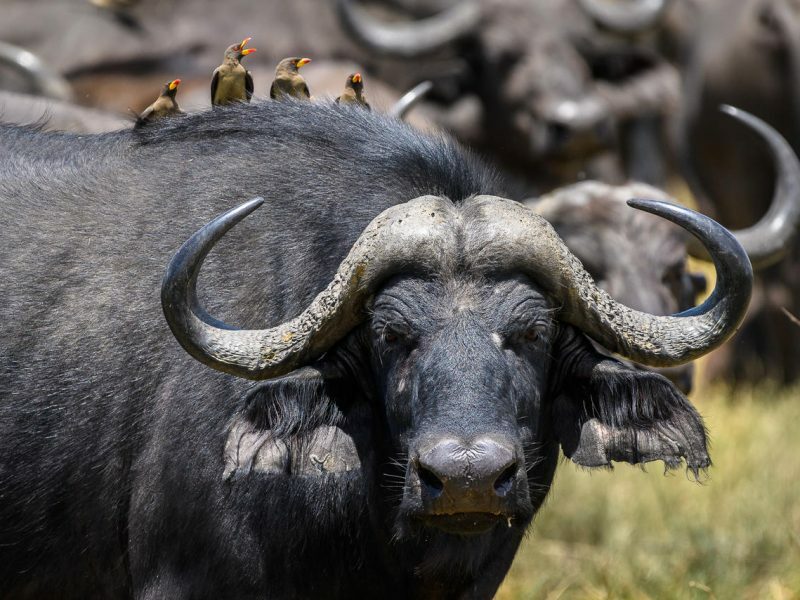 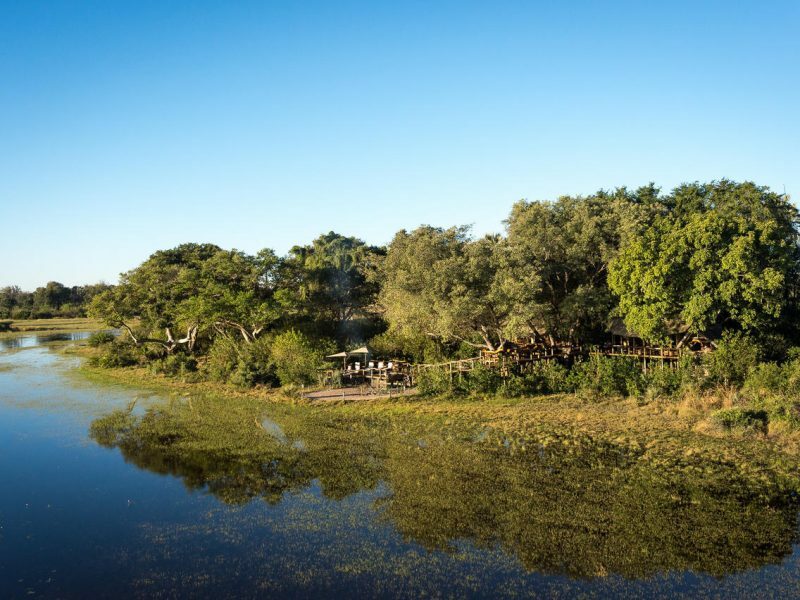 Highlights include the elusive Sitatunga antelope which has found refuge in this pristine wetland ecosystem, while birds such as the African fish eagle, Pel’s fishing owl and many others provide a spectacular display. 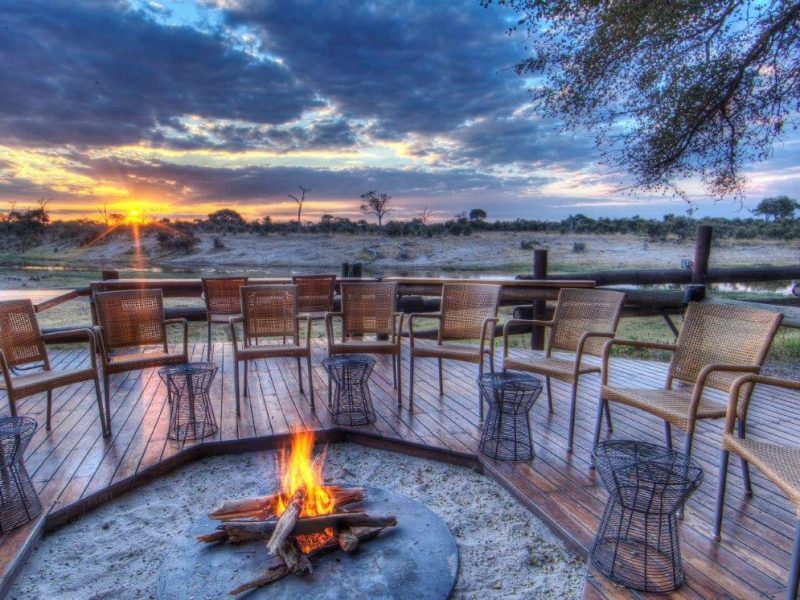 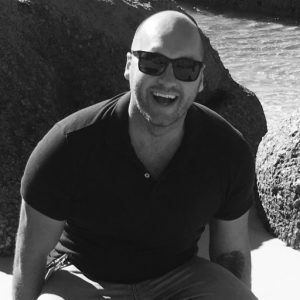 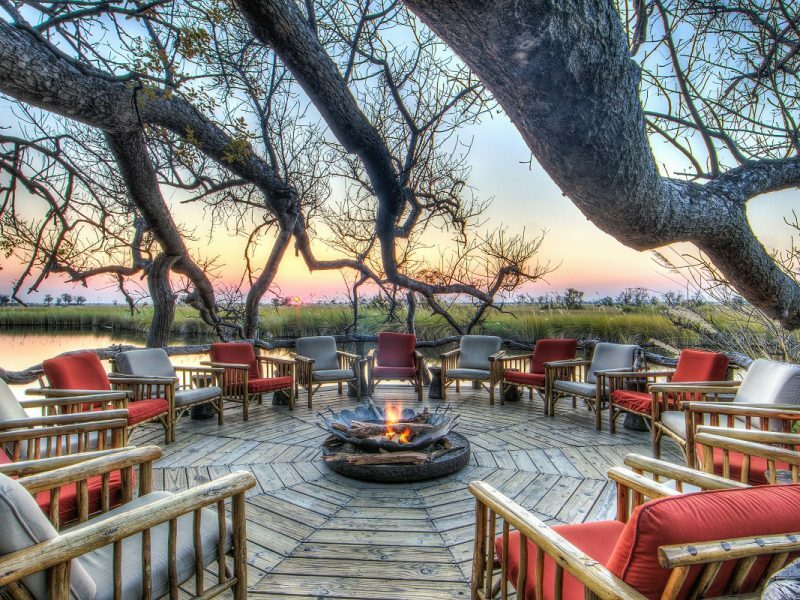 Botswana’s tourism model is based strongly on bringing in fewer people with a greater spend per person, to lessen the impact of people in pristine environments. 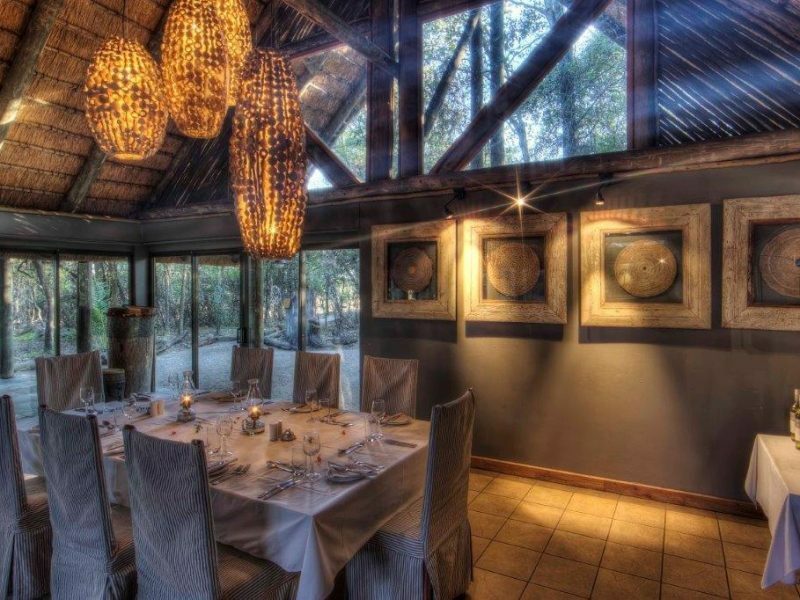 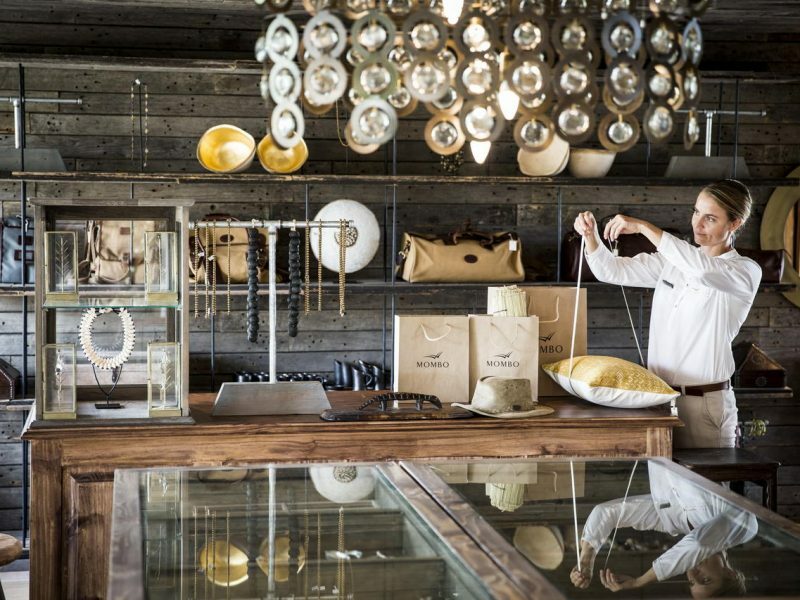 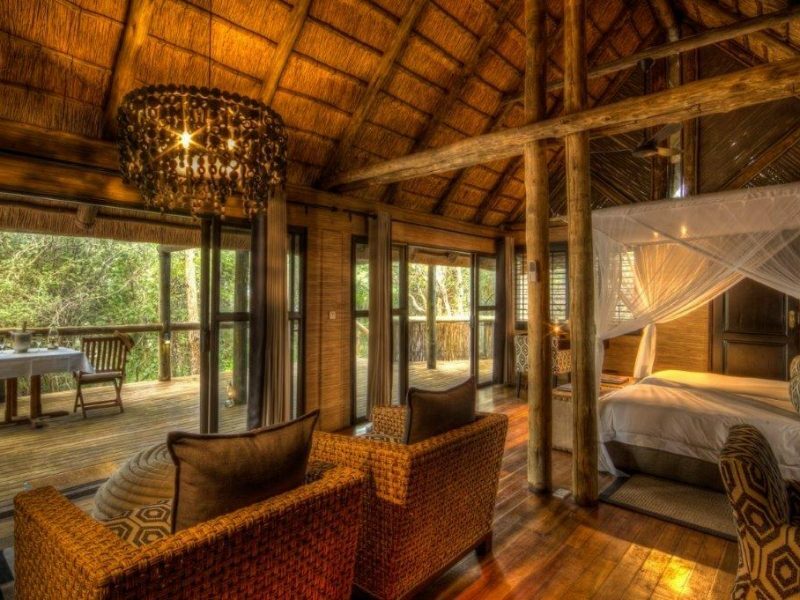 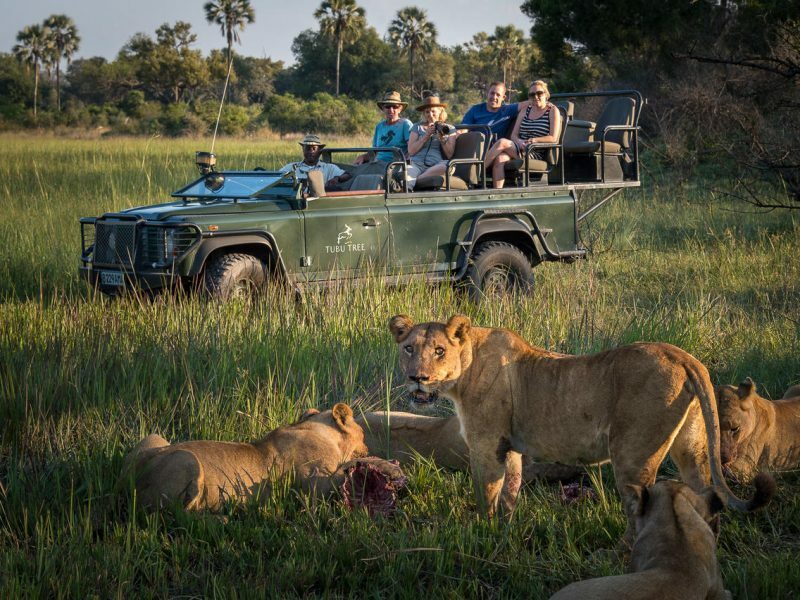 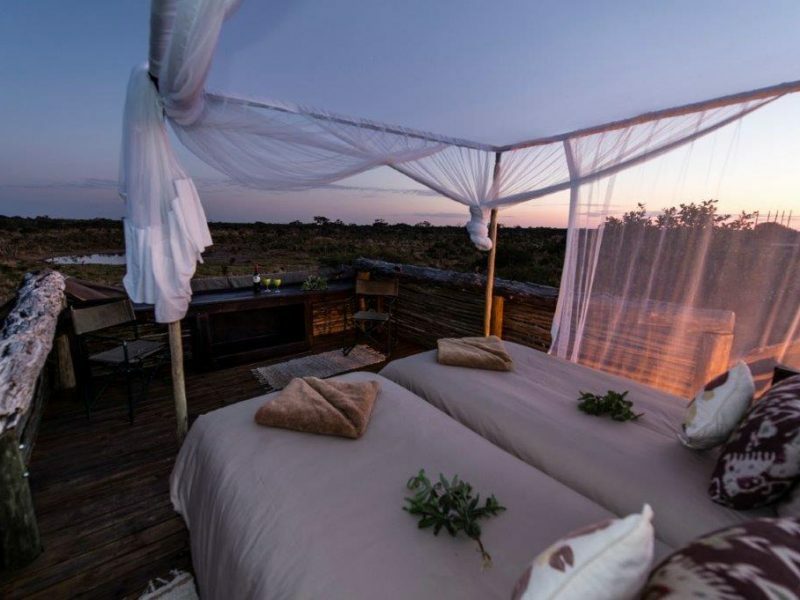 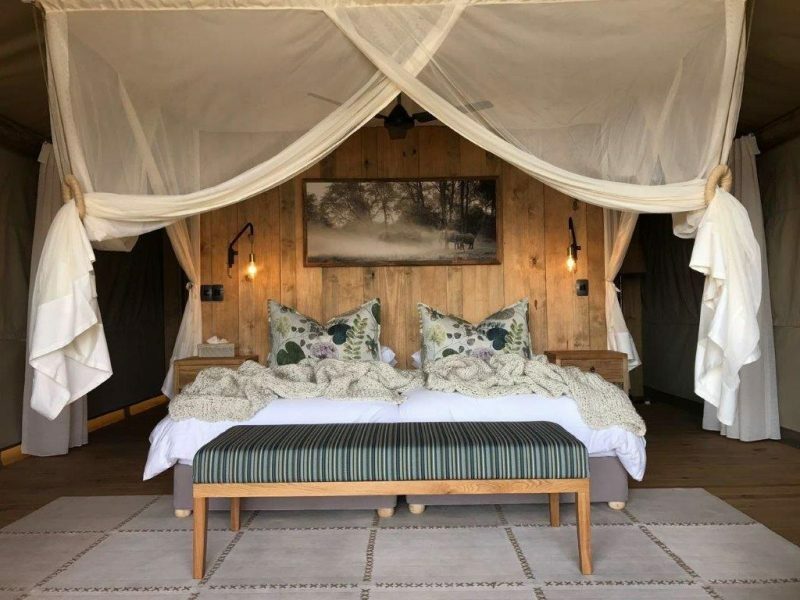 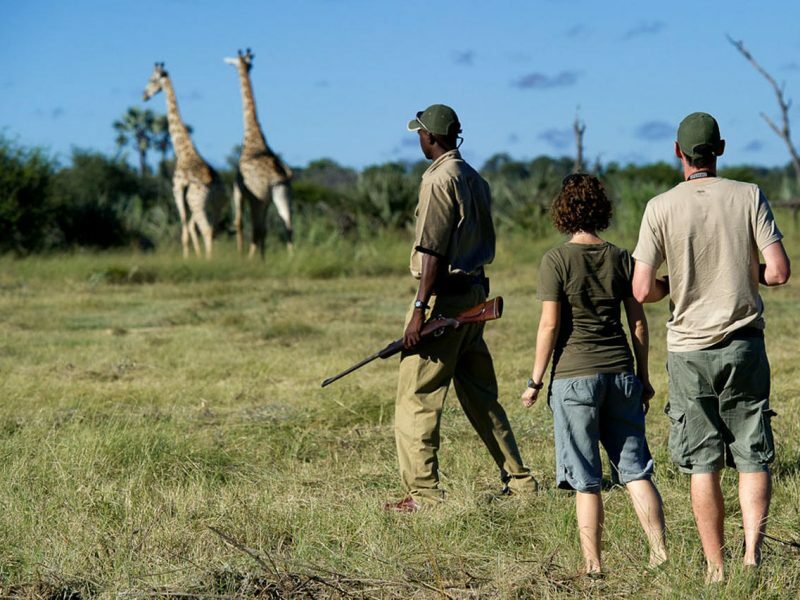 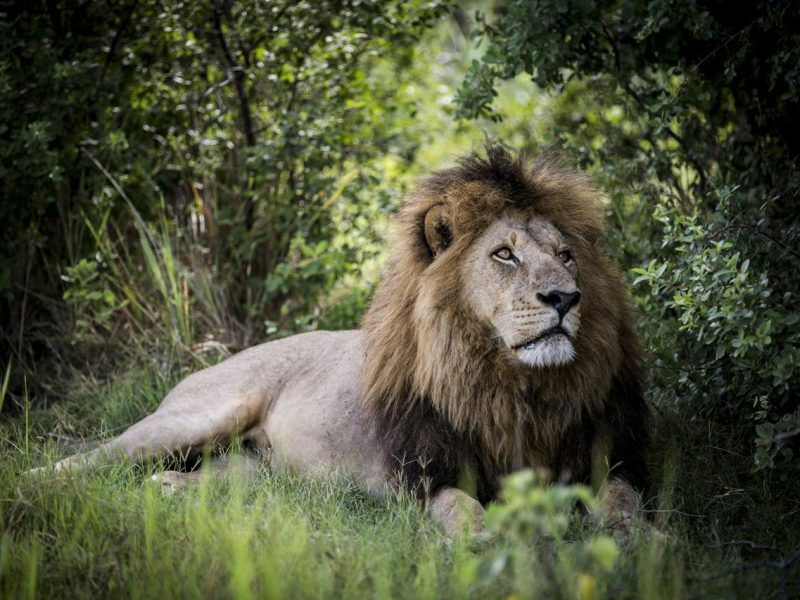 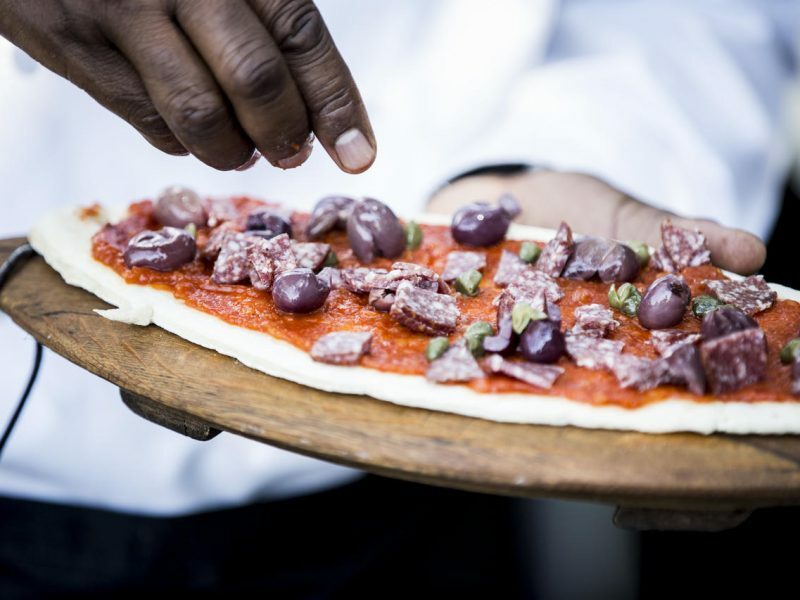 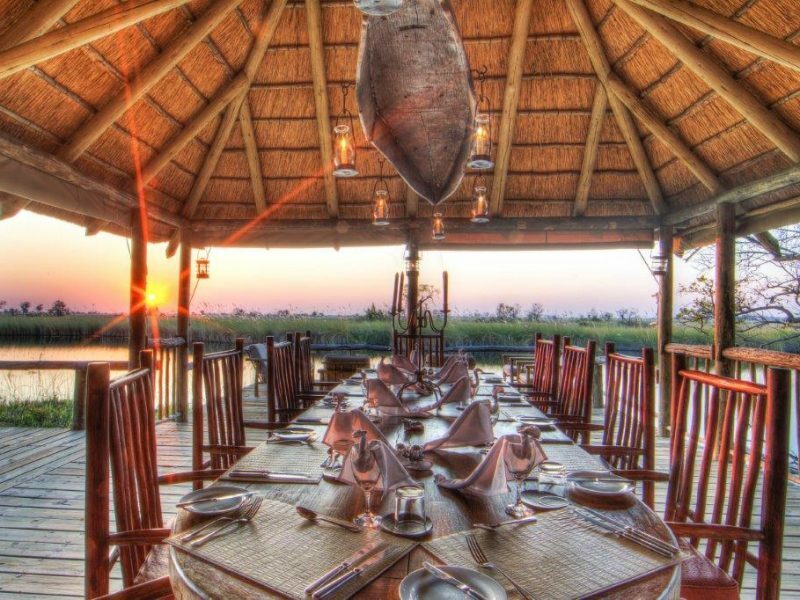 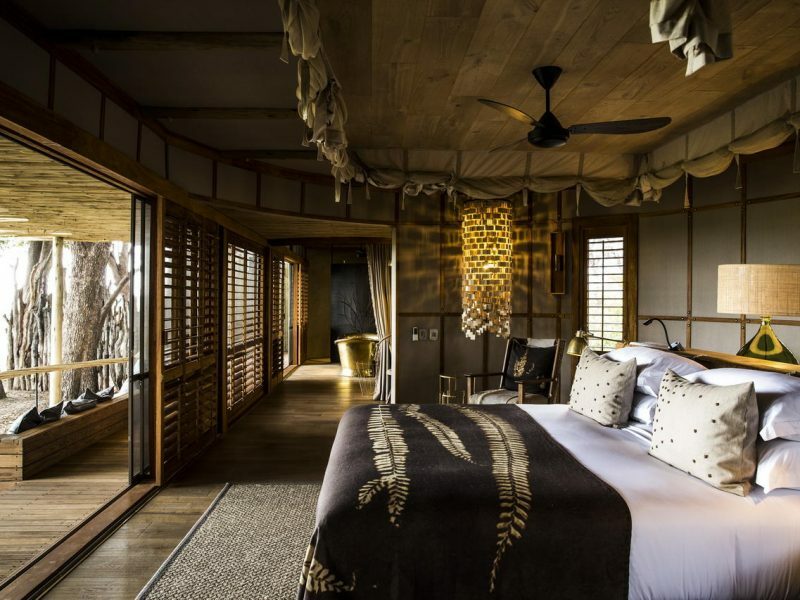 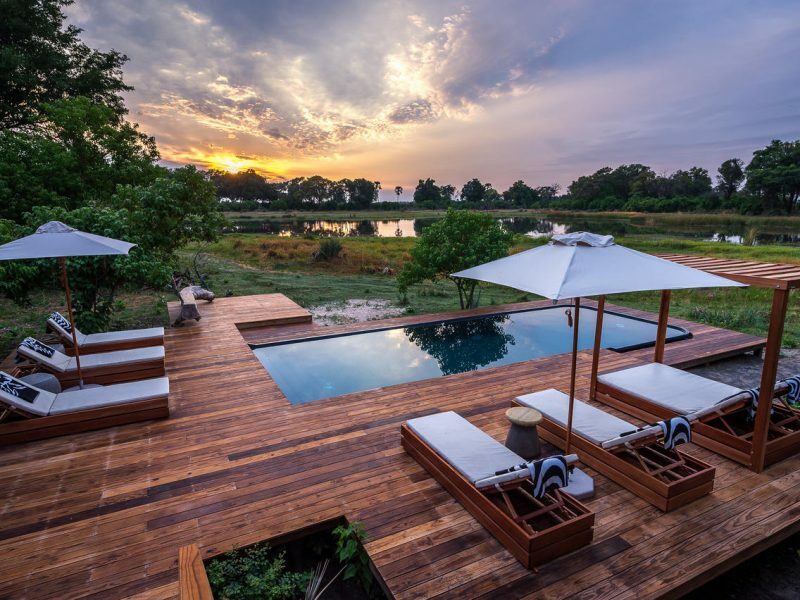 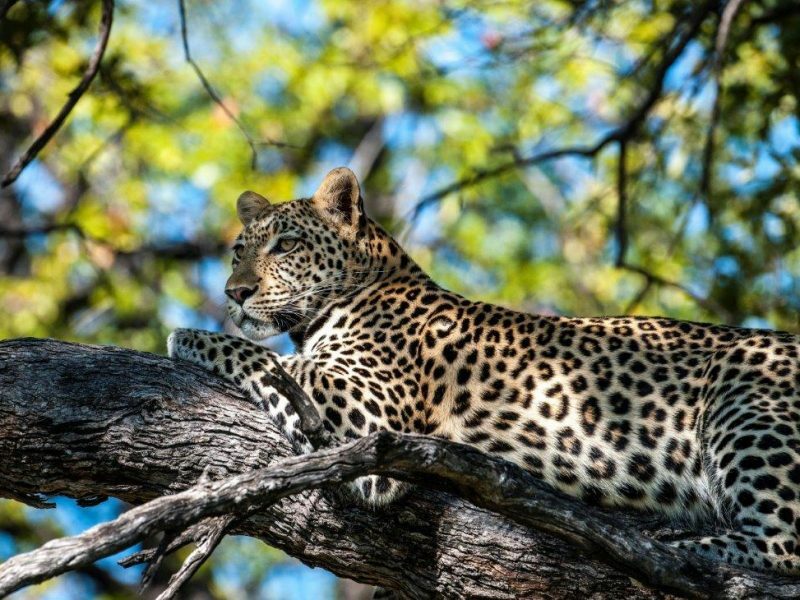 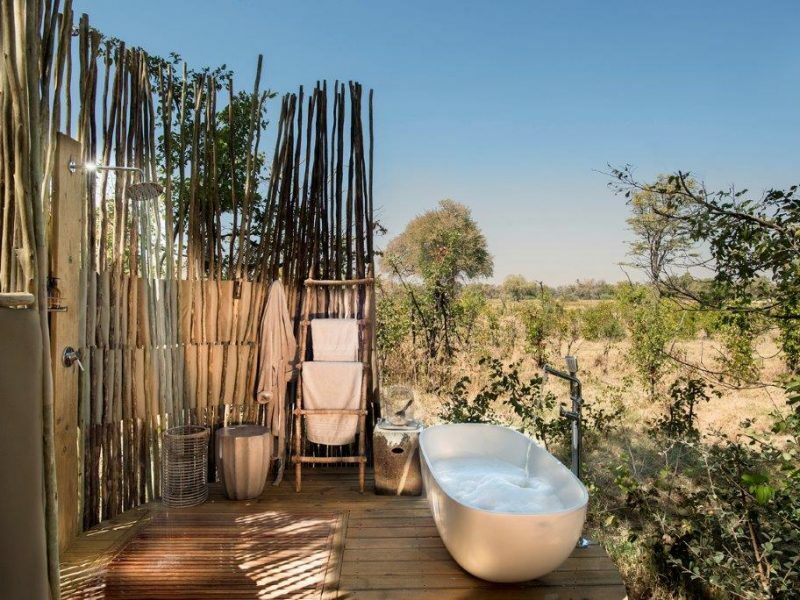 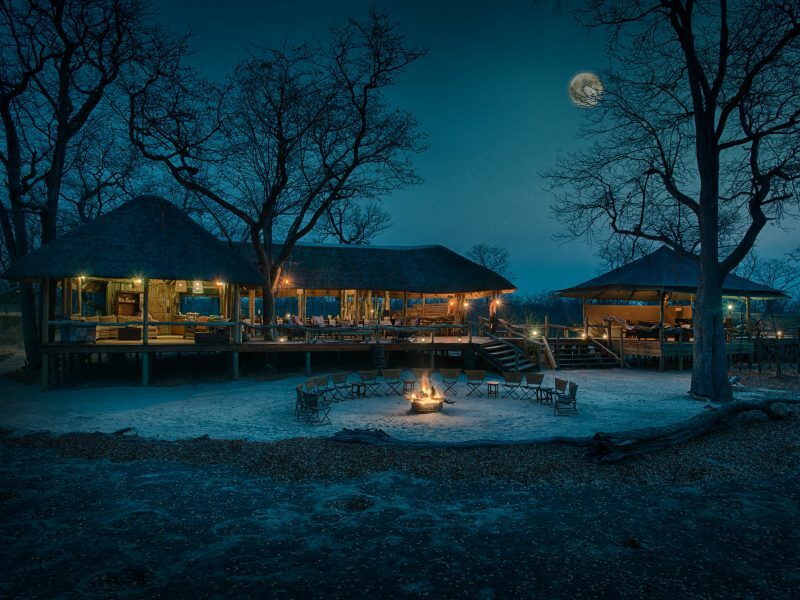 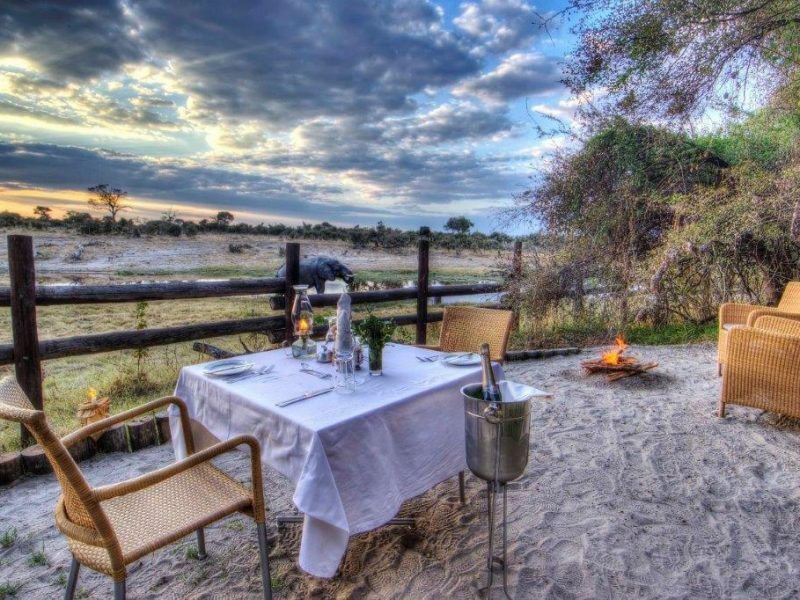 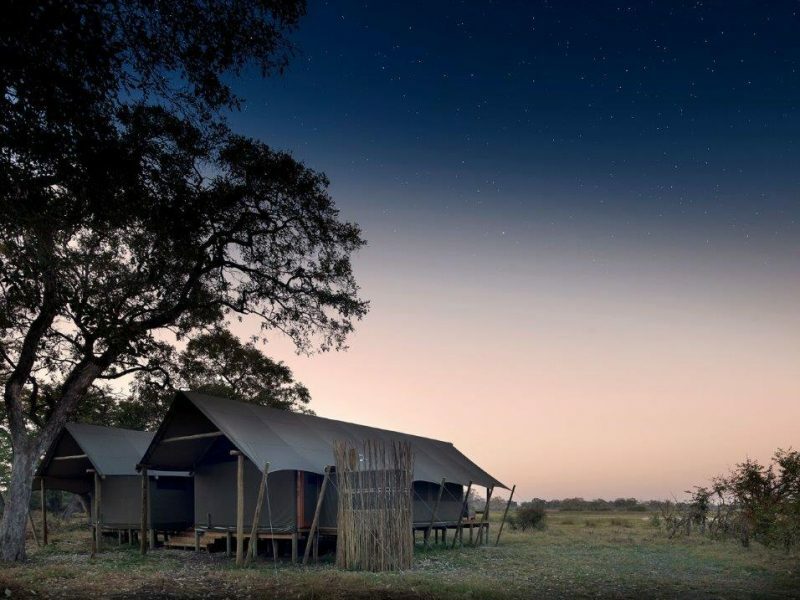 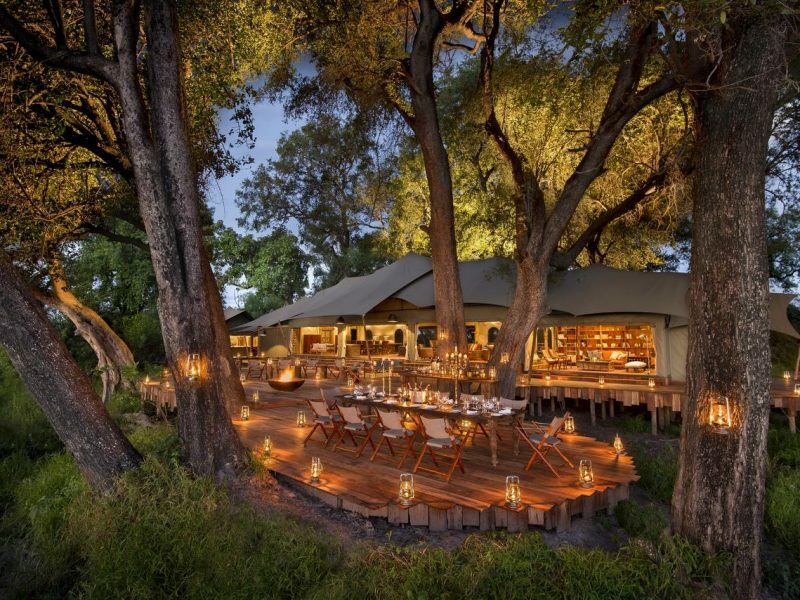 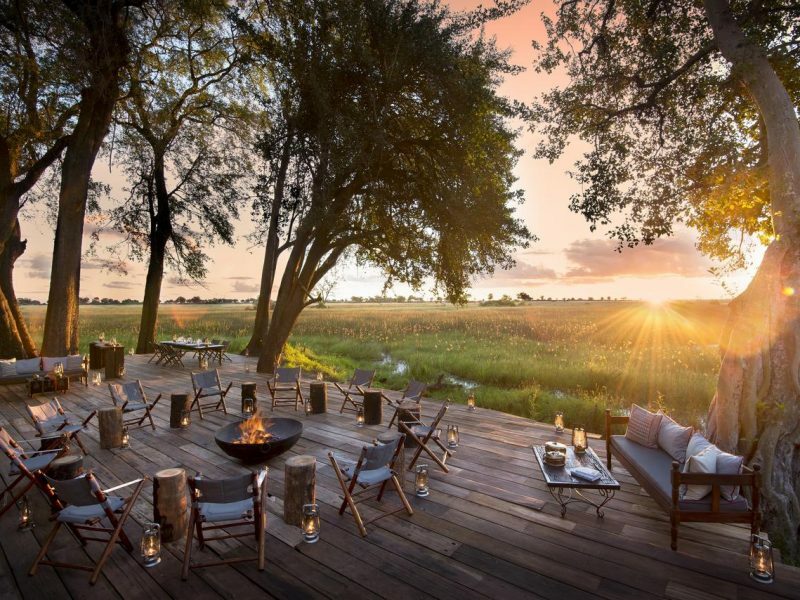 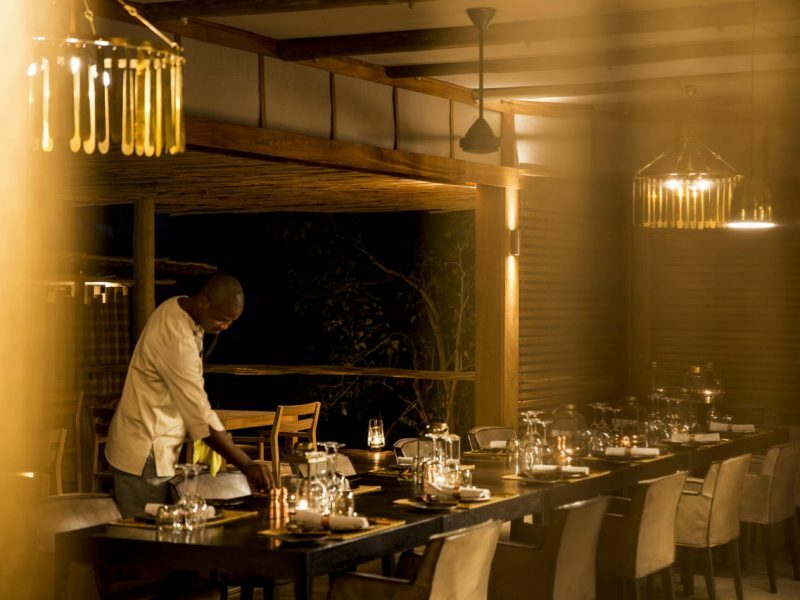 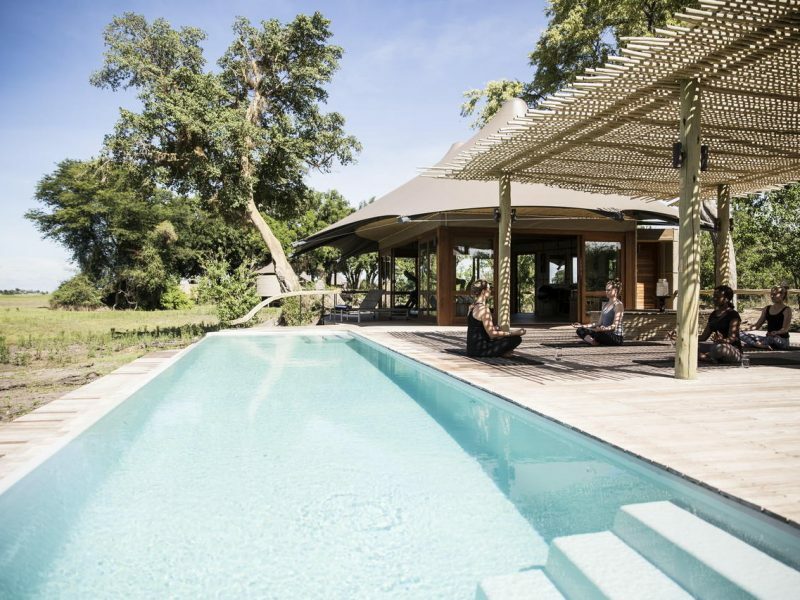 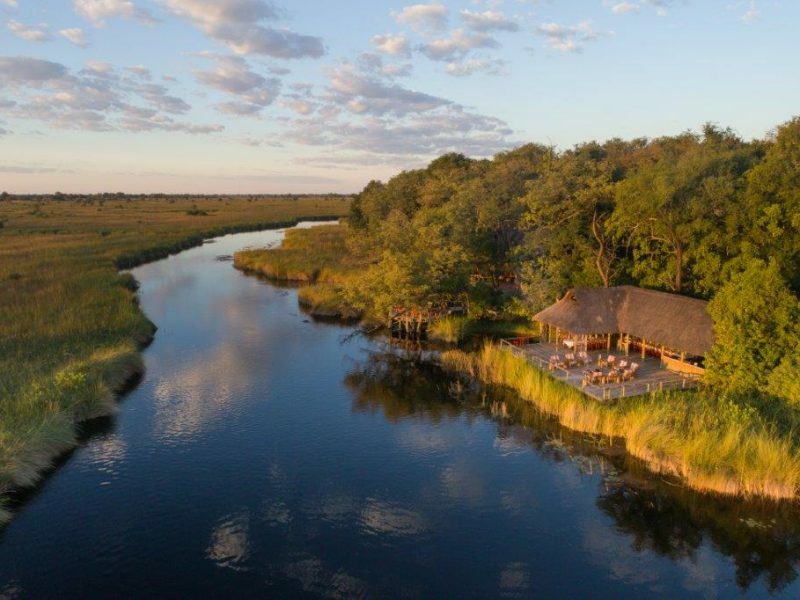 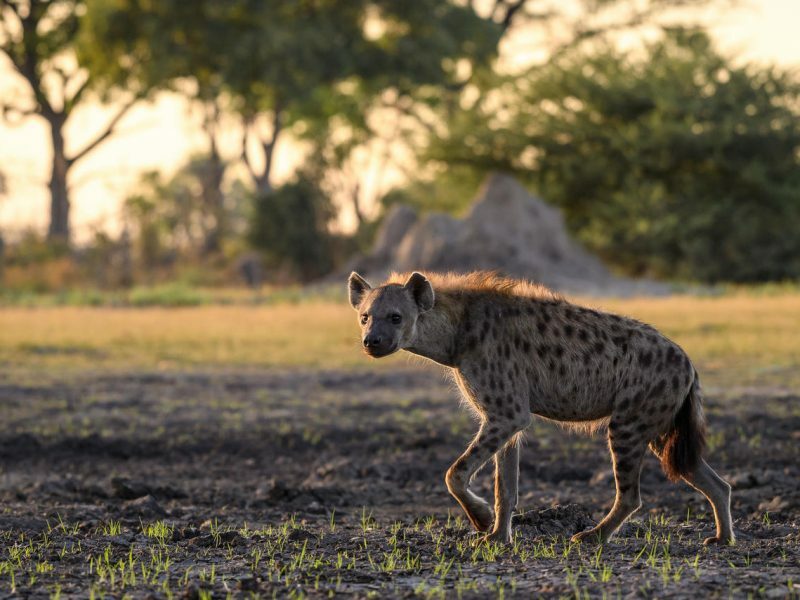 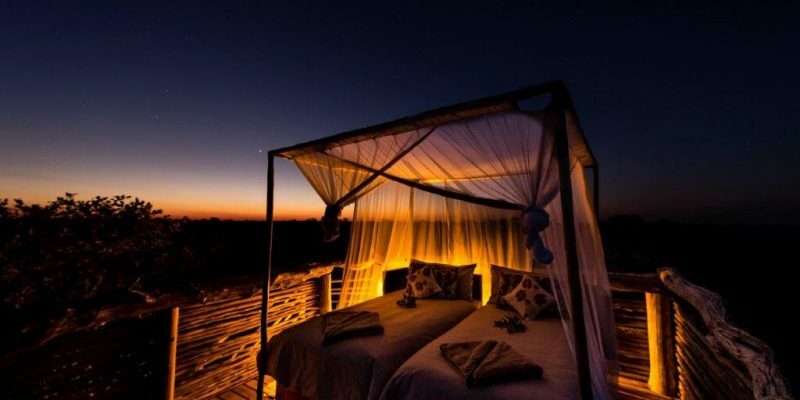 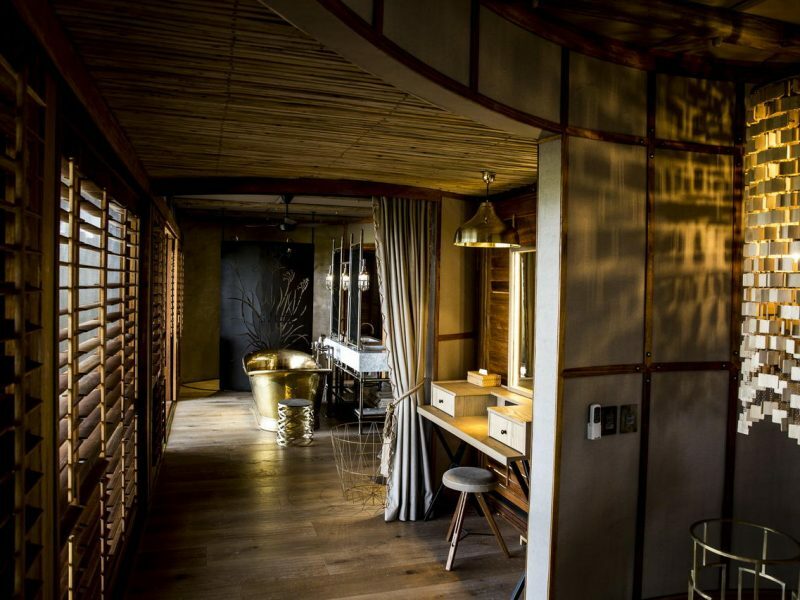 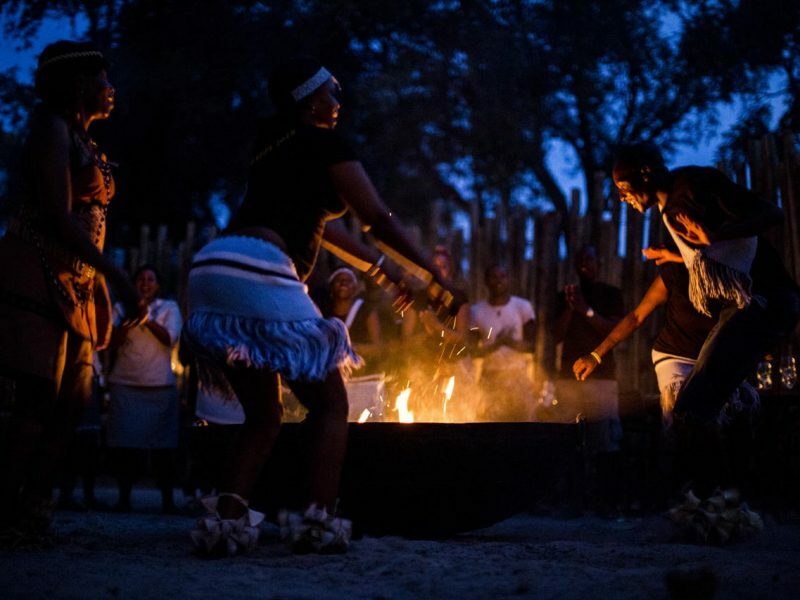 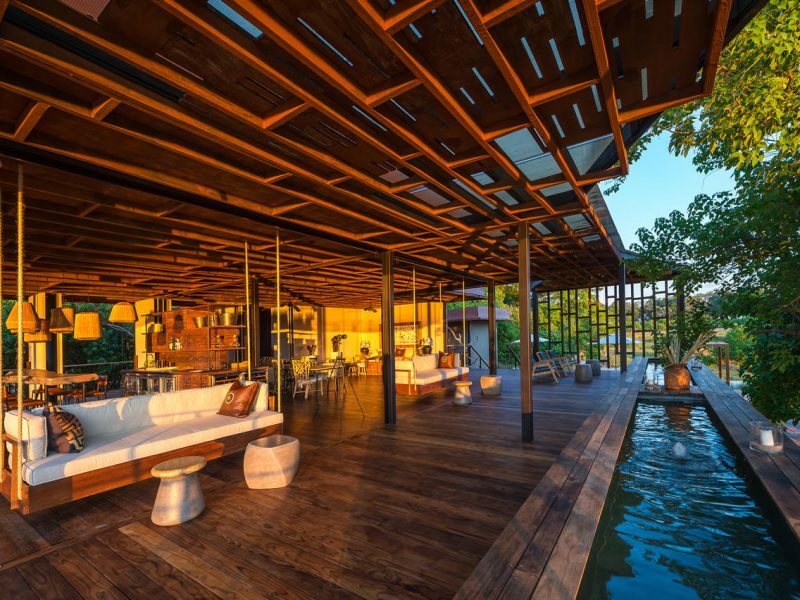 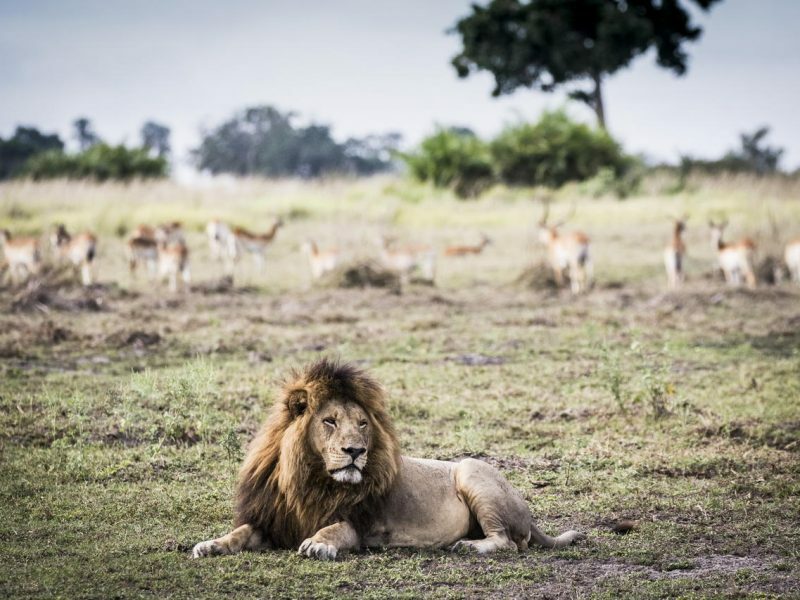 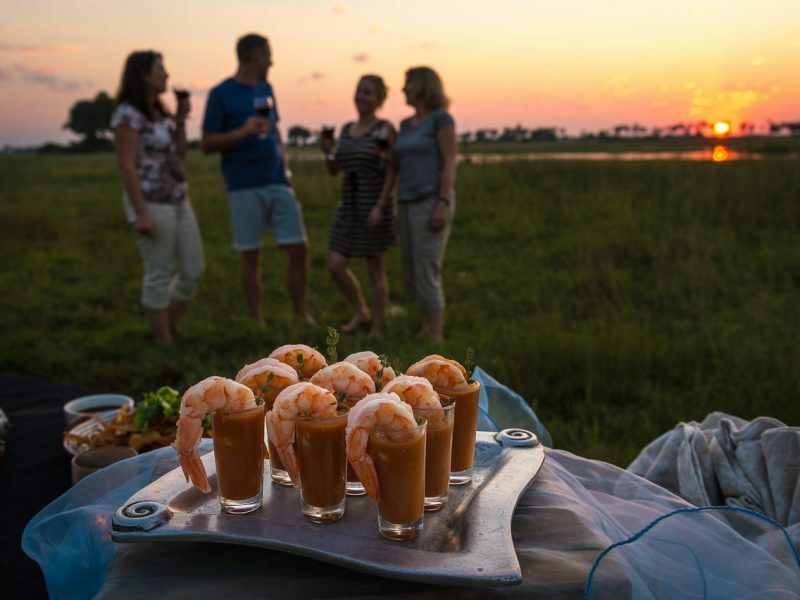 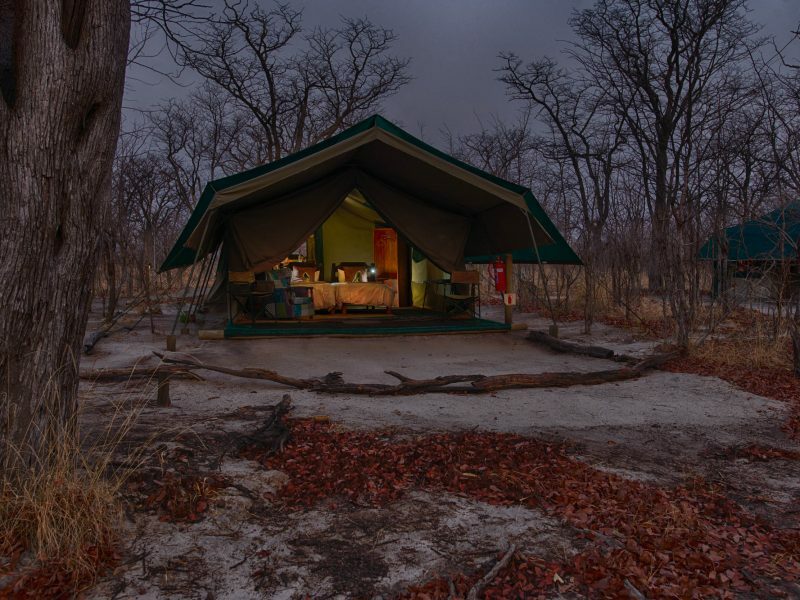 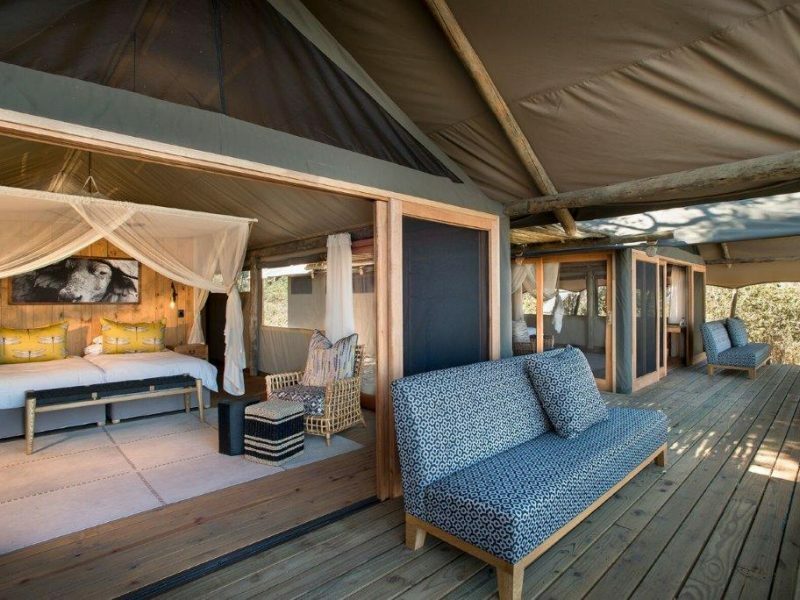 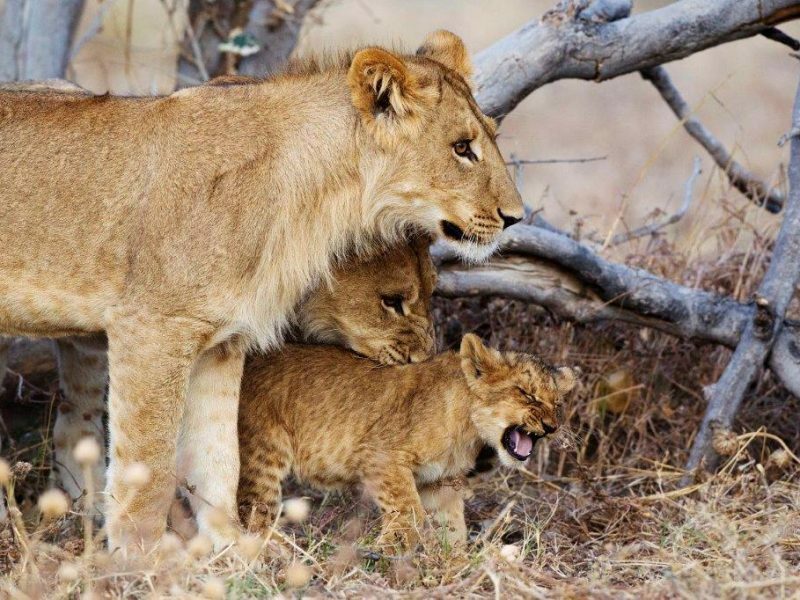 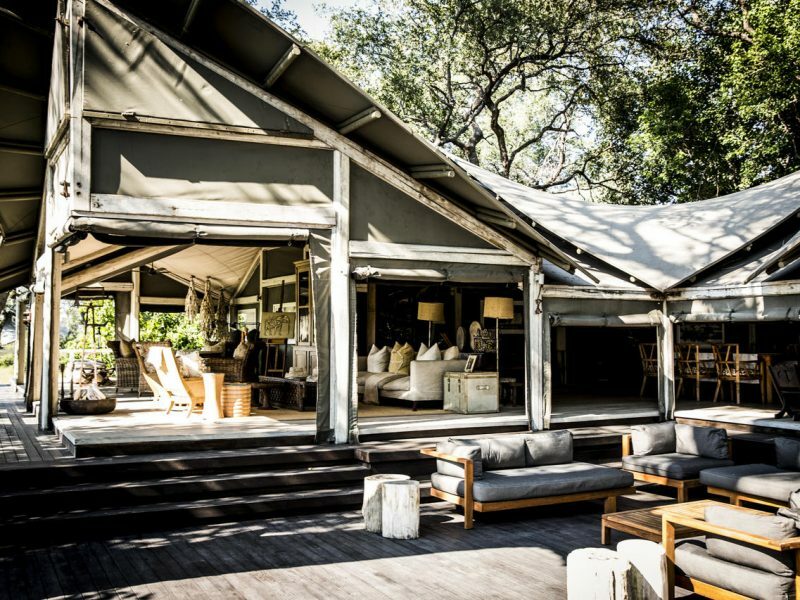 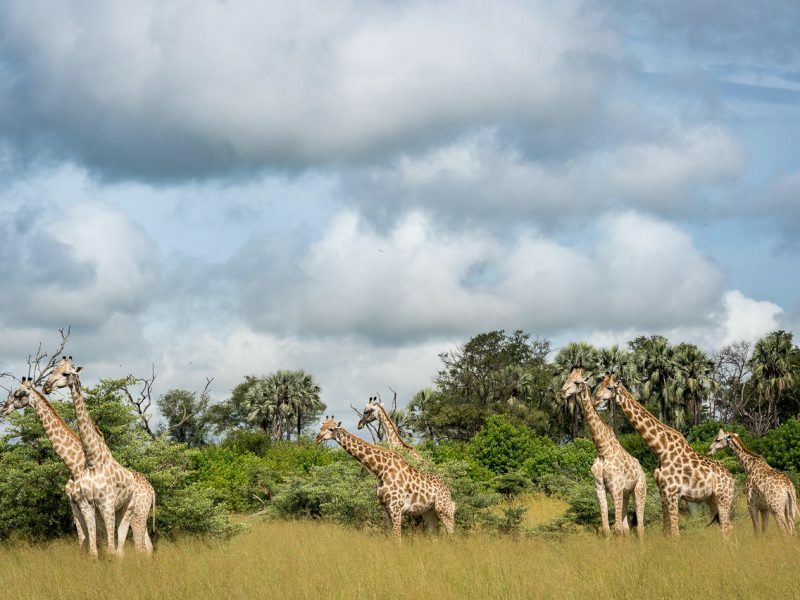 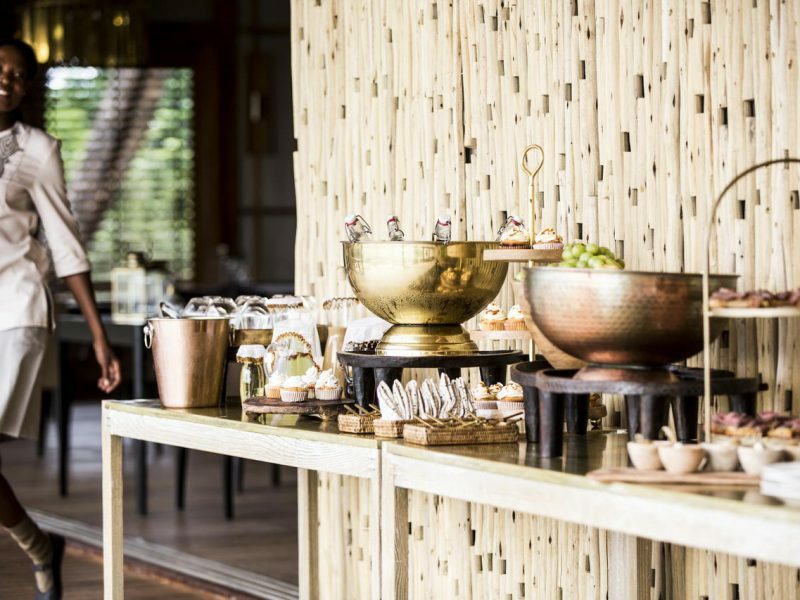 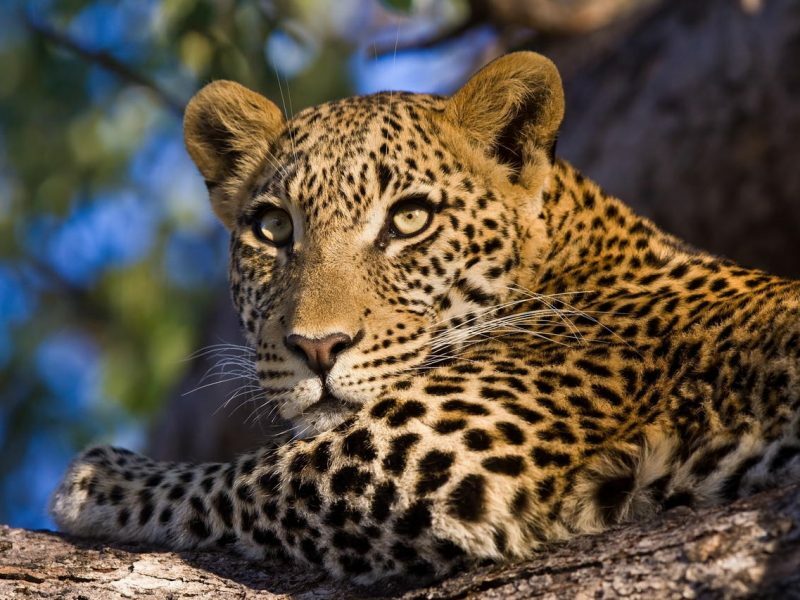 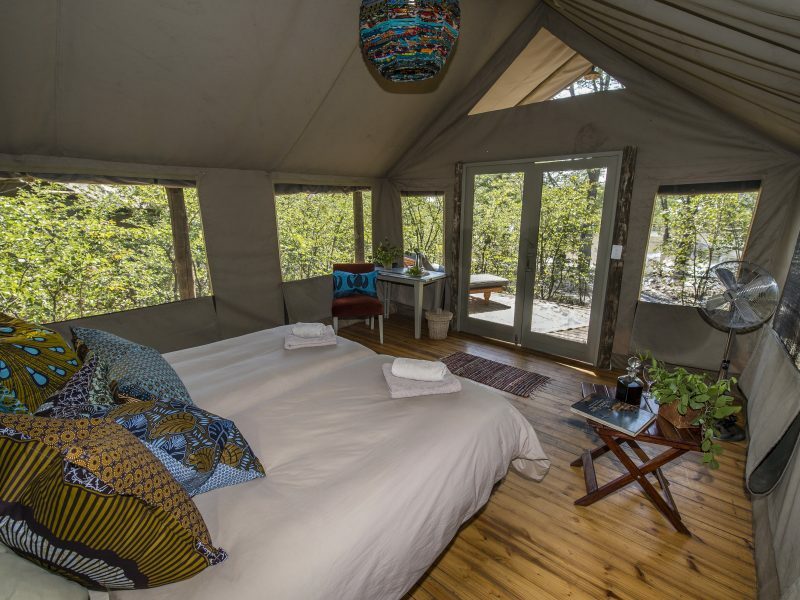 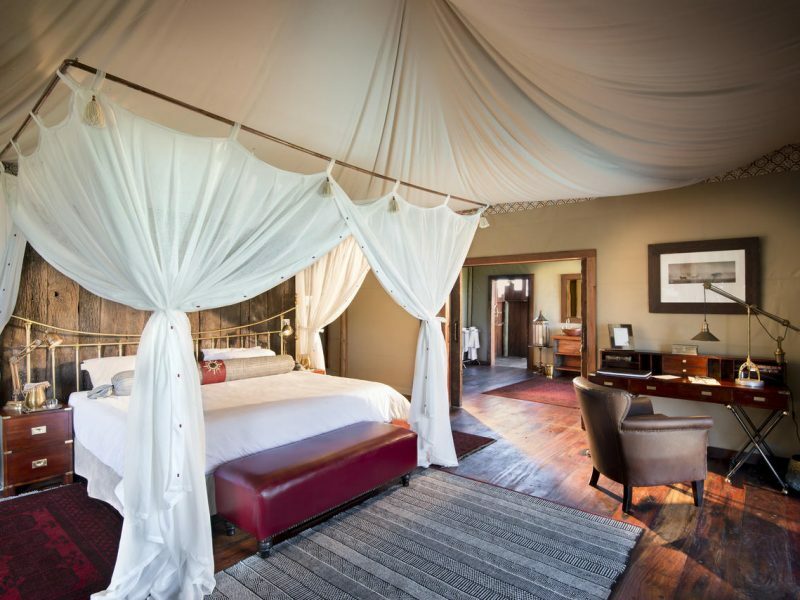 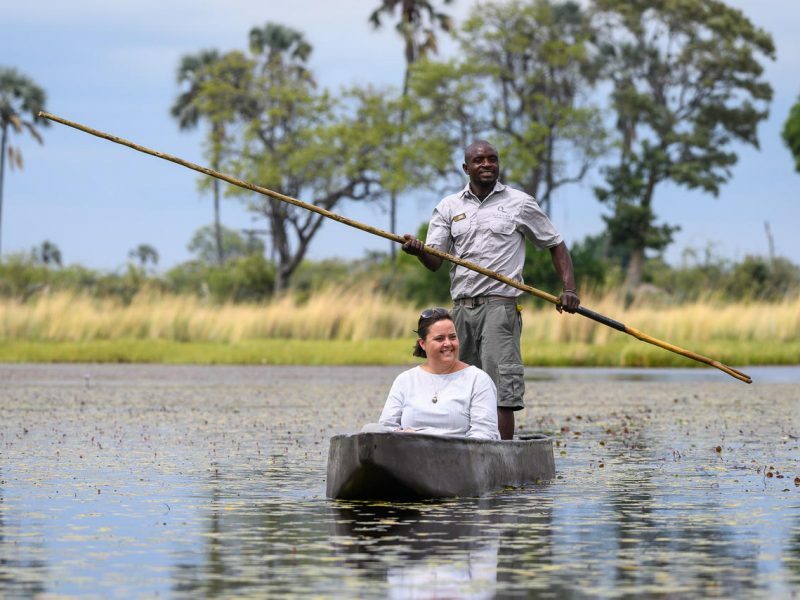 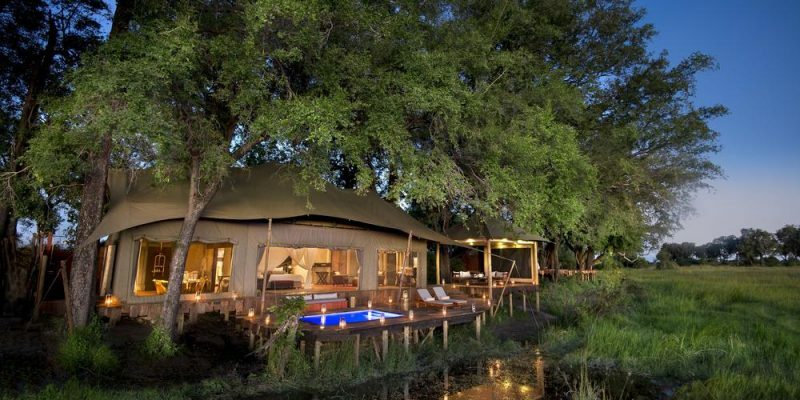 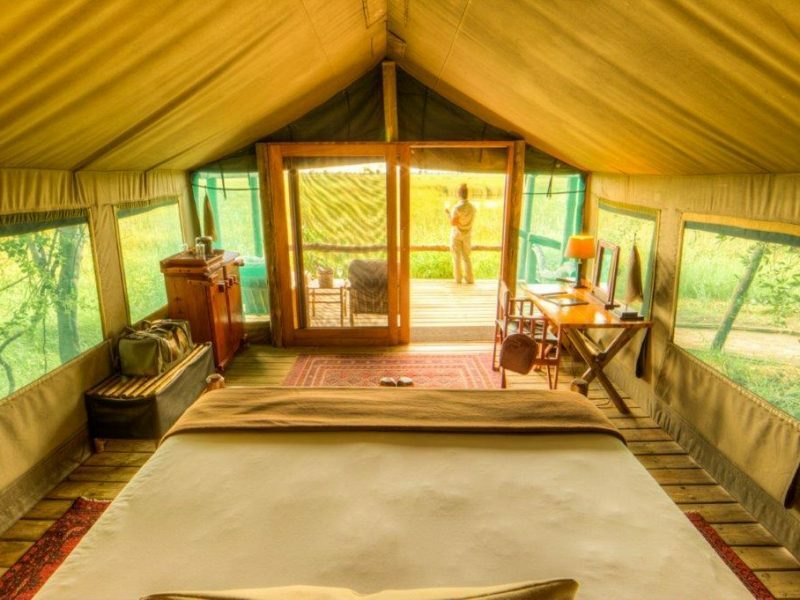 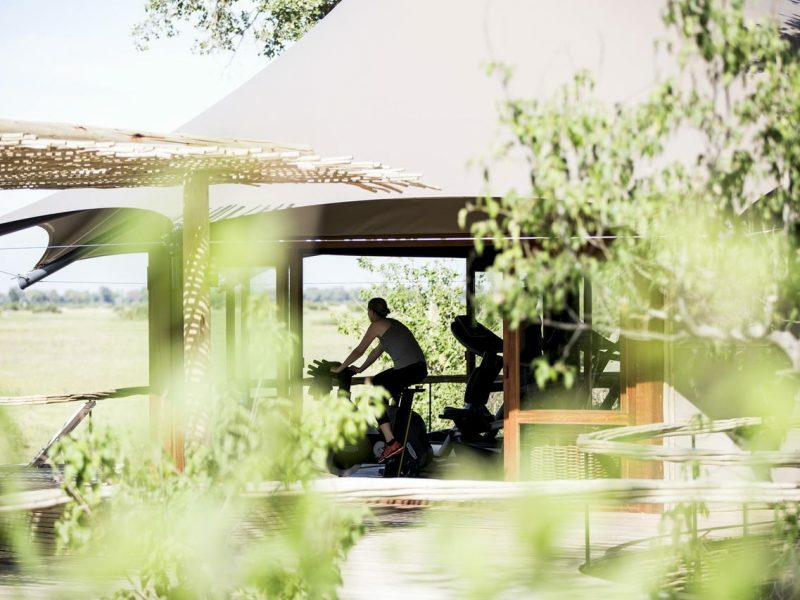 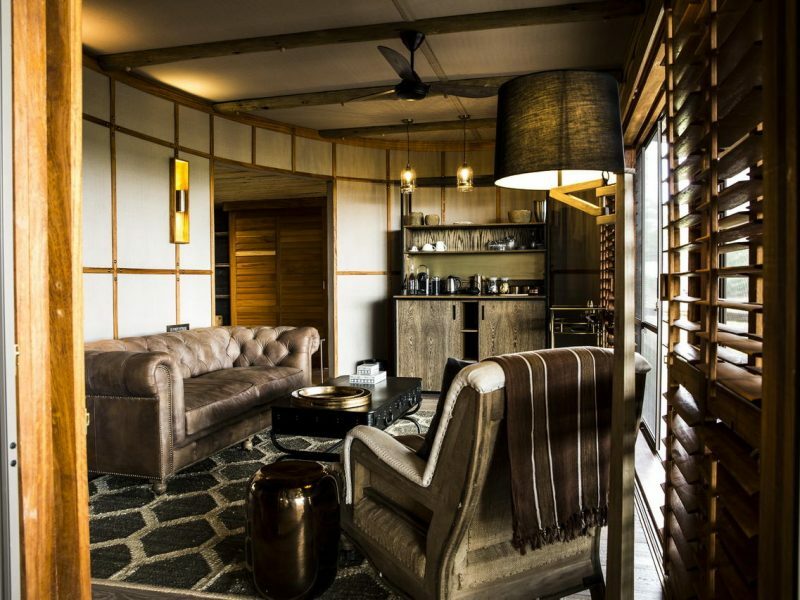 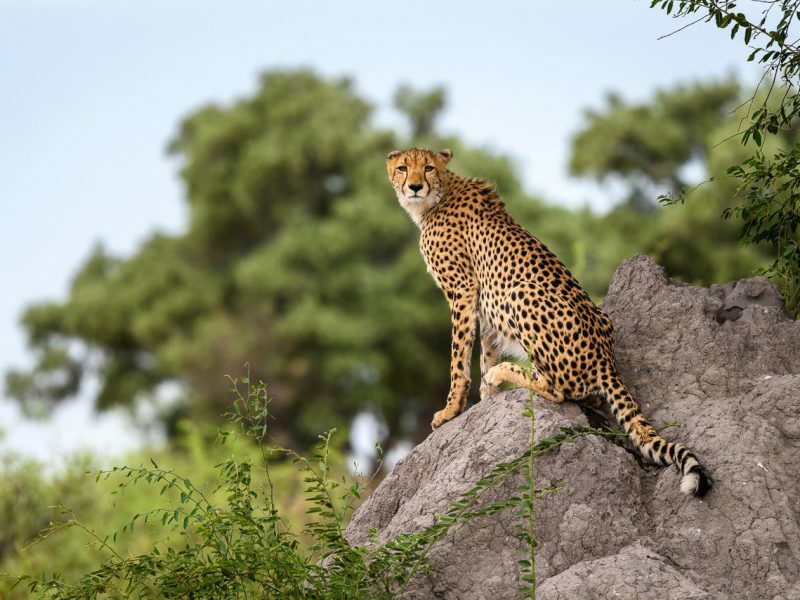 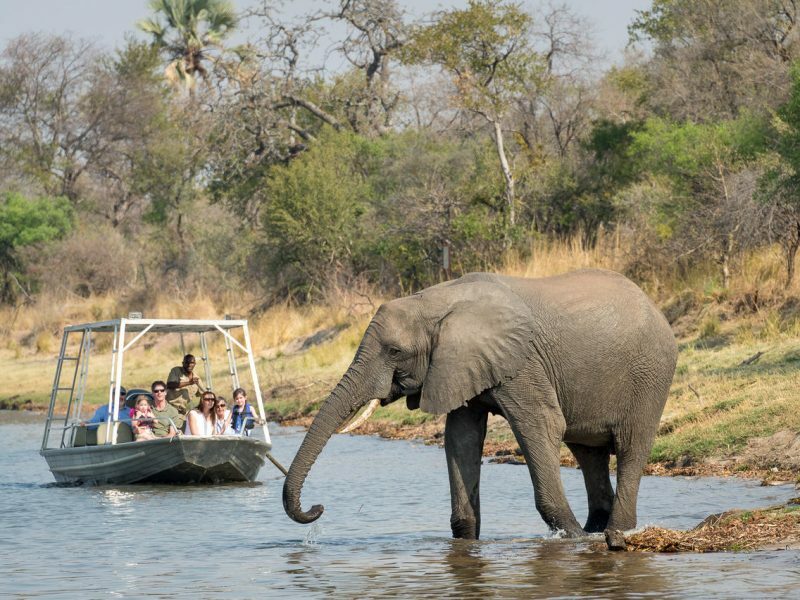 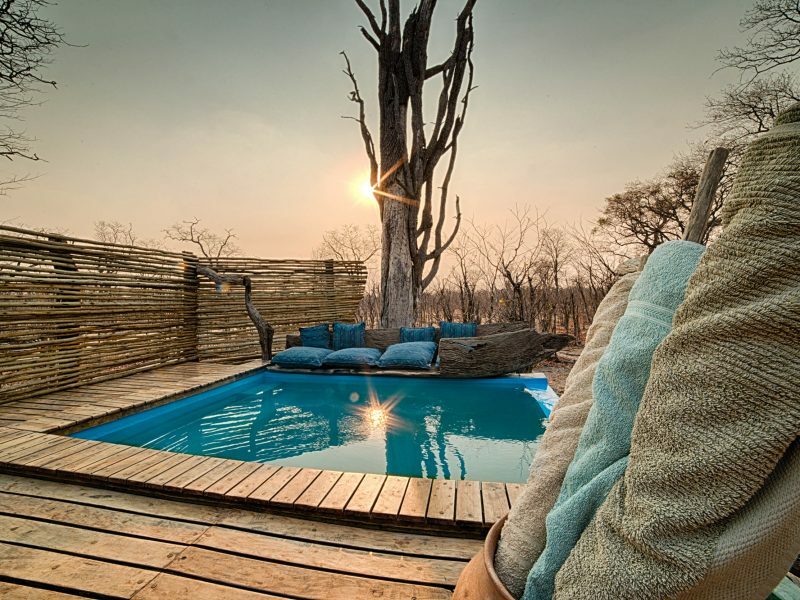 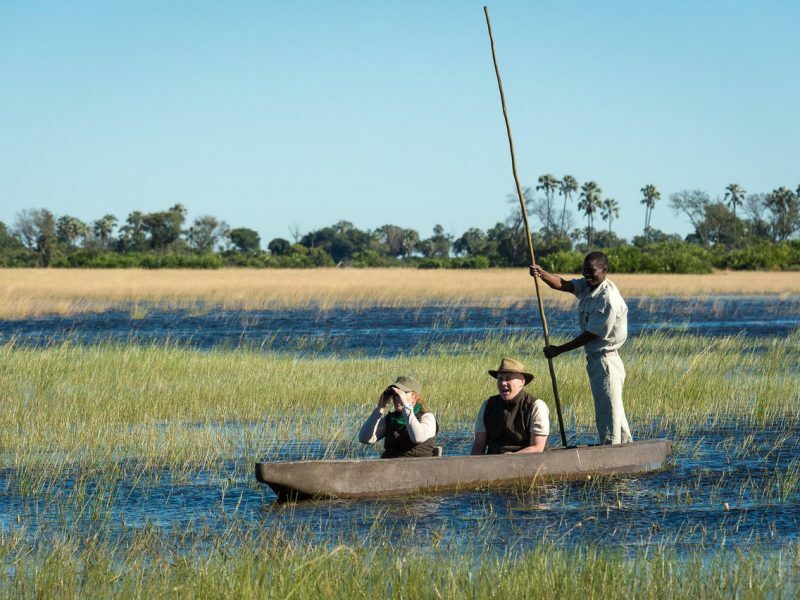 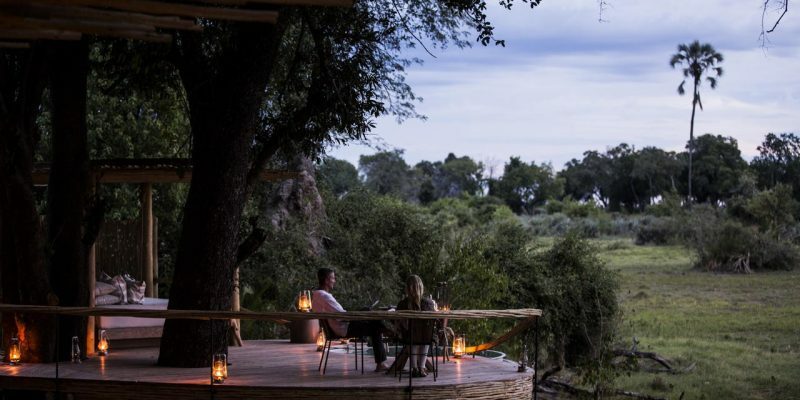 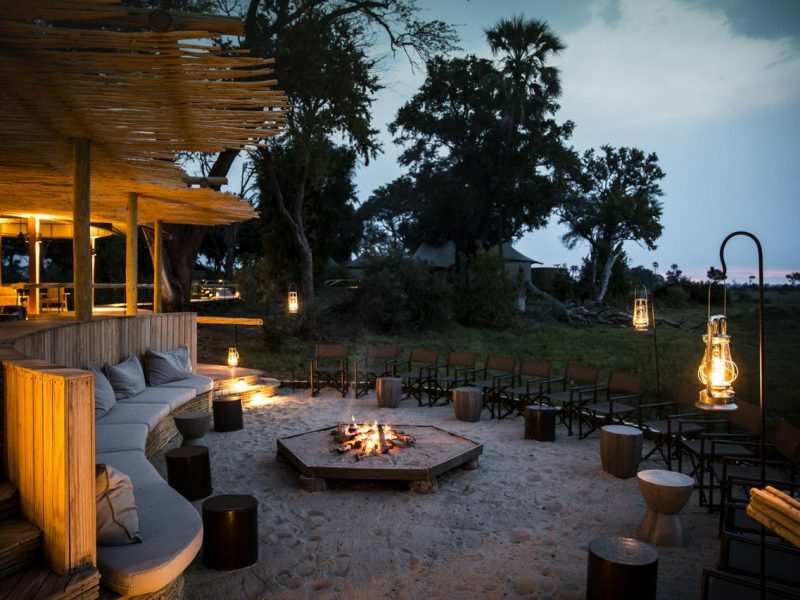 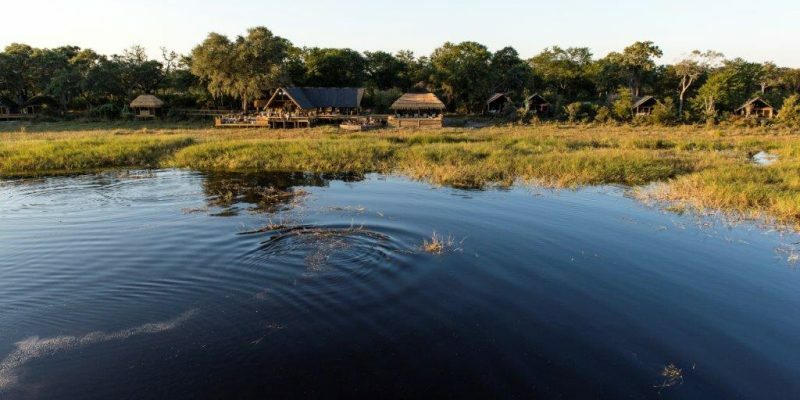 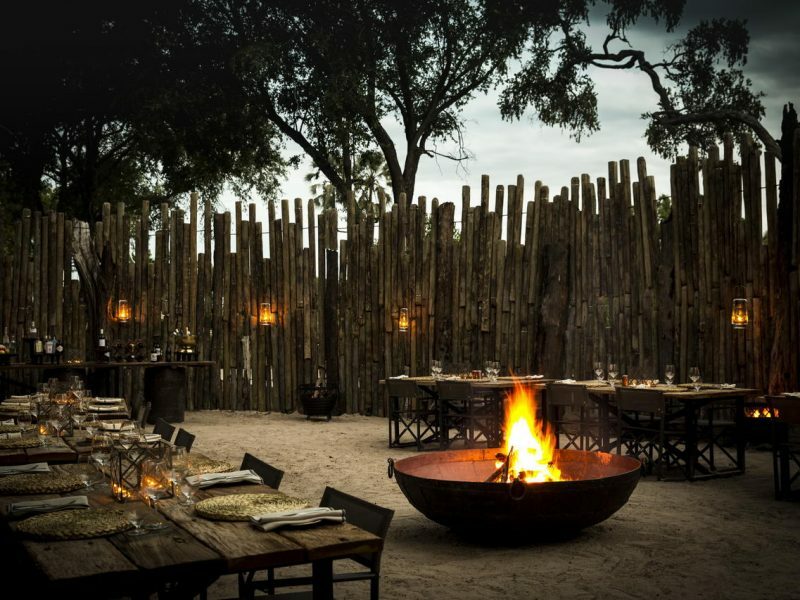 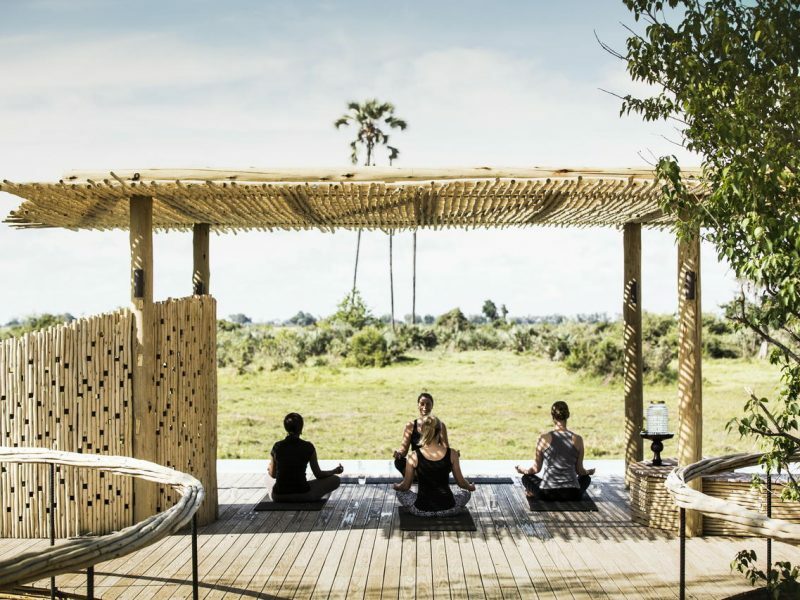 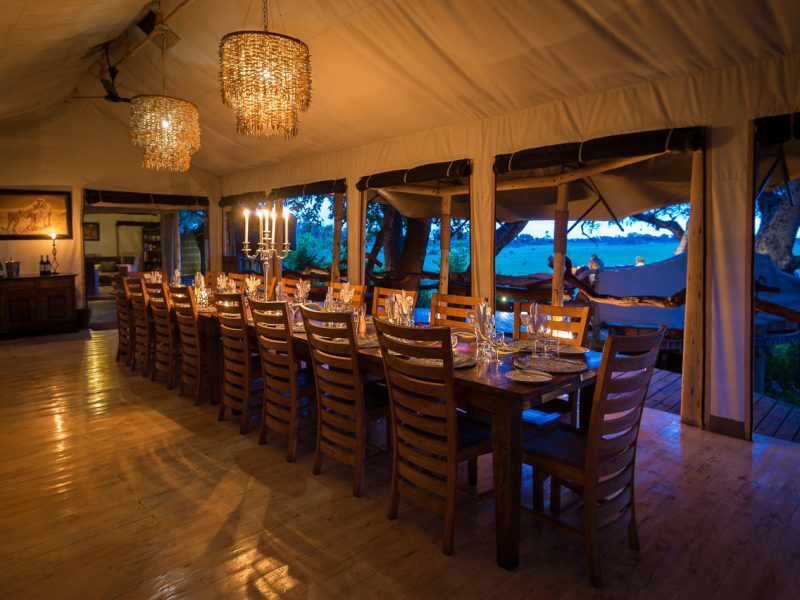 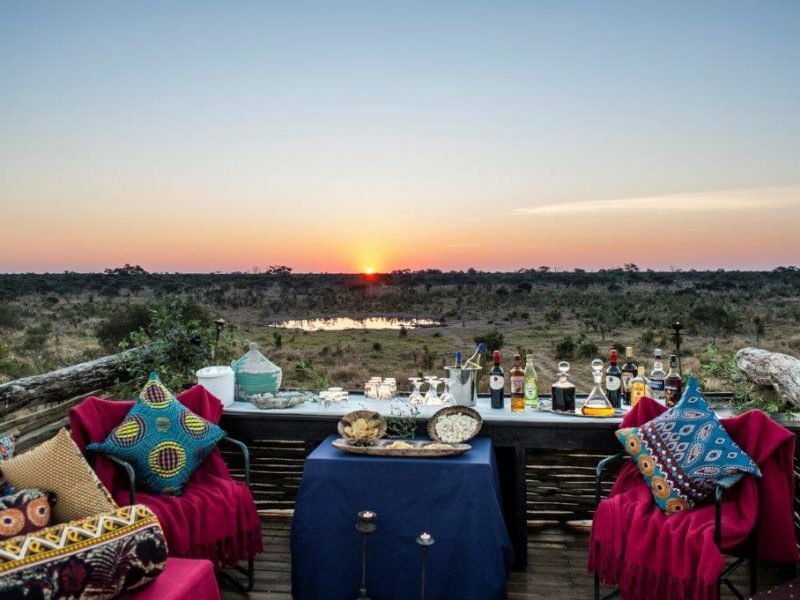 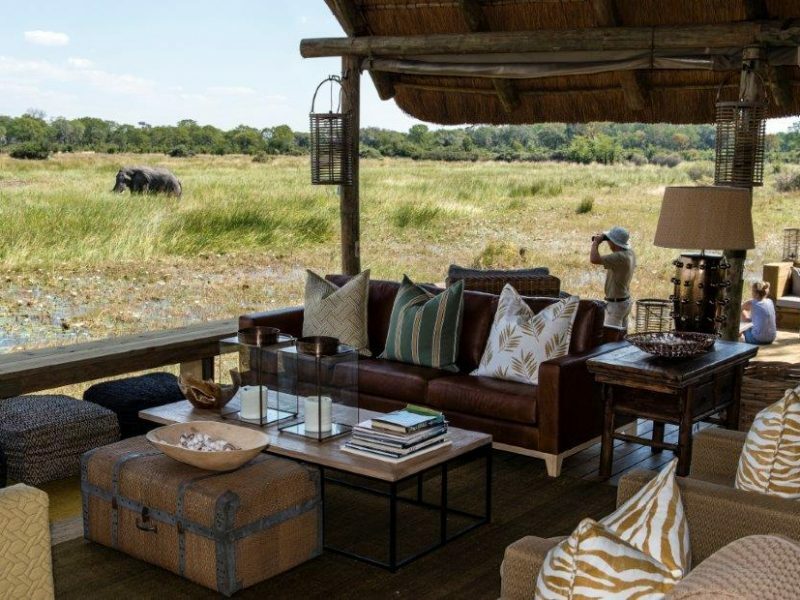 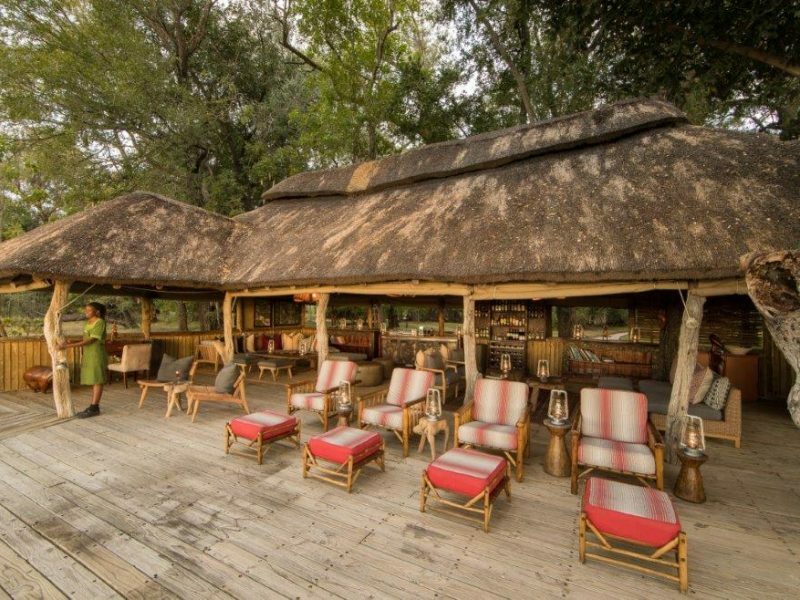 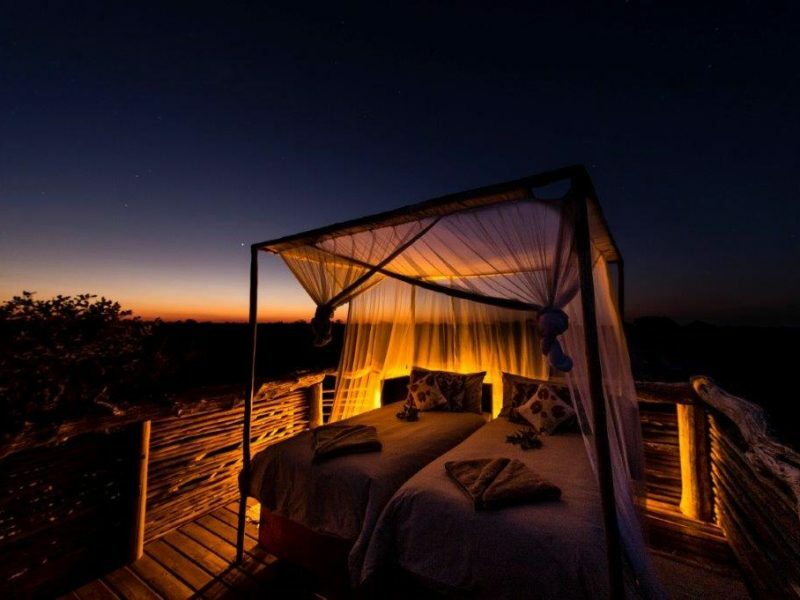 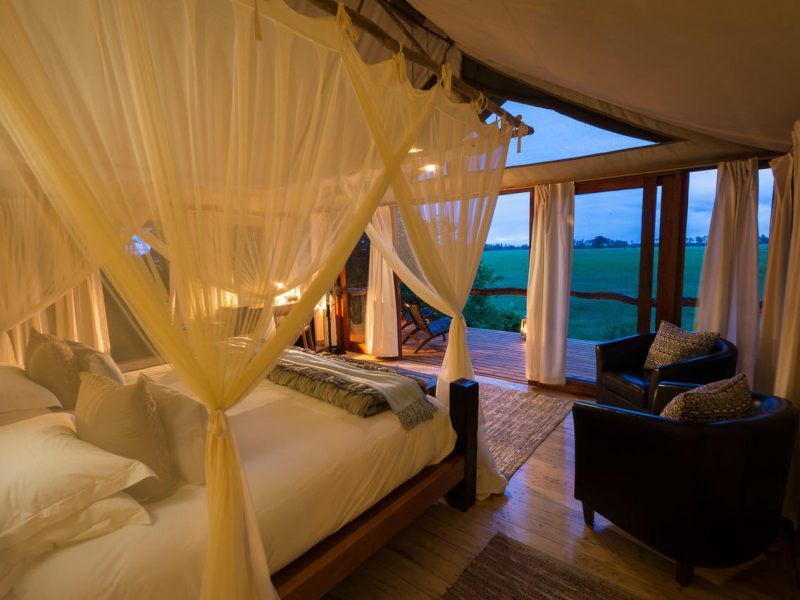 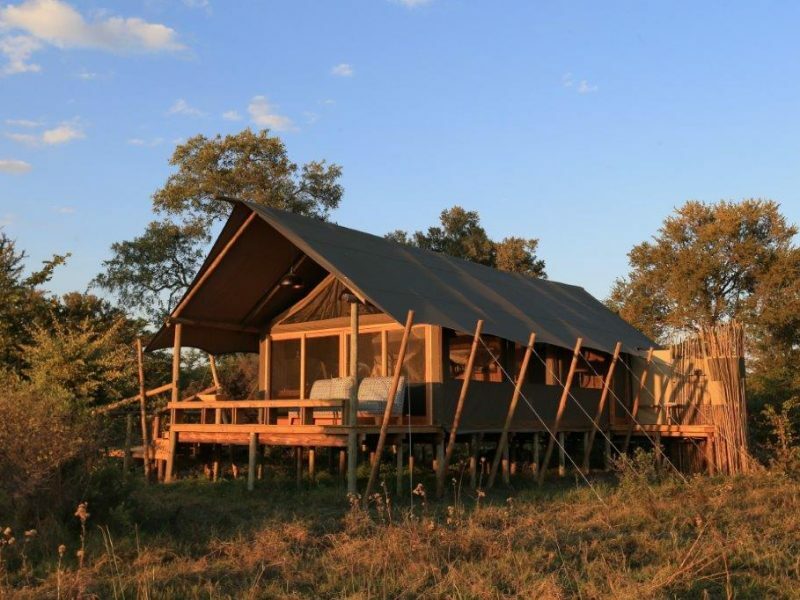 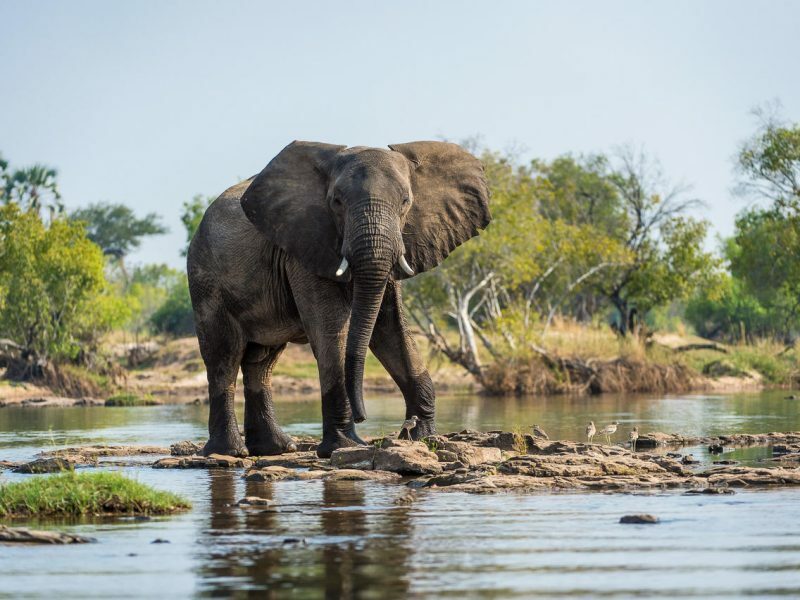 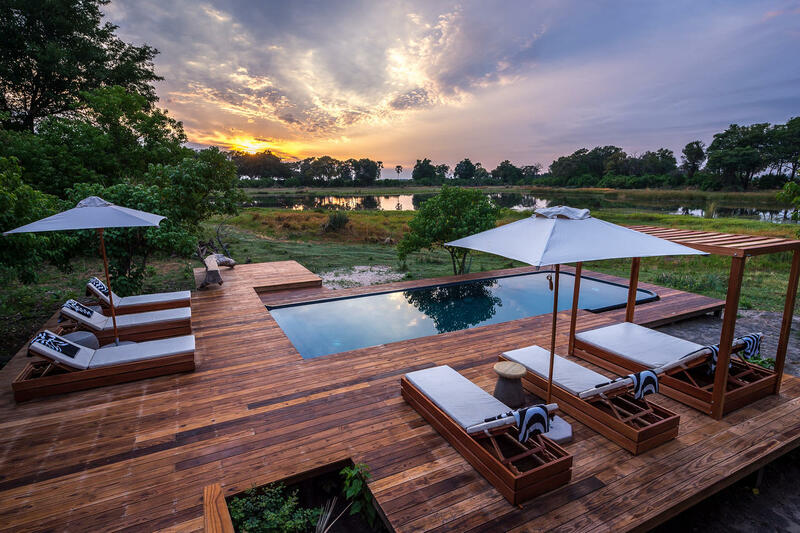 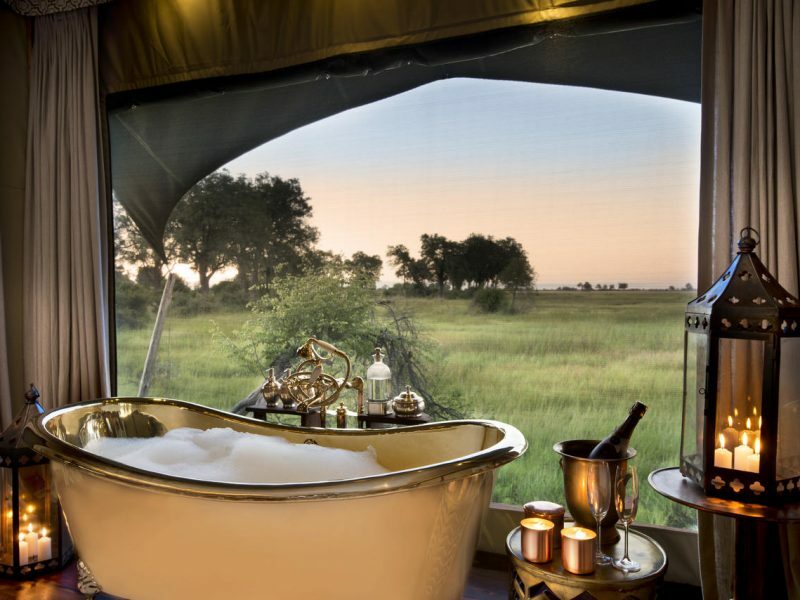 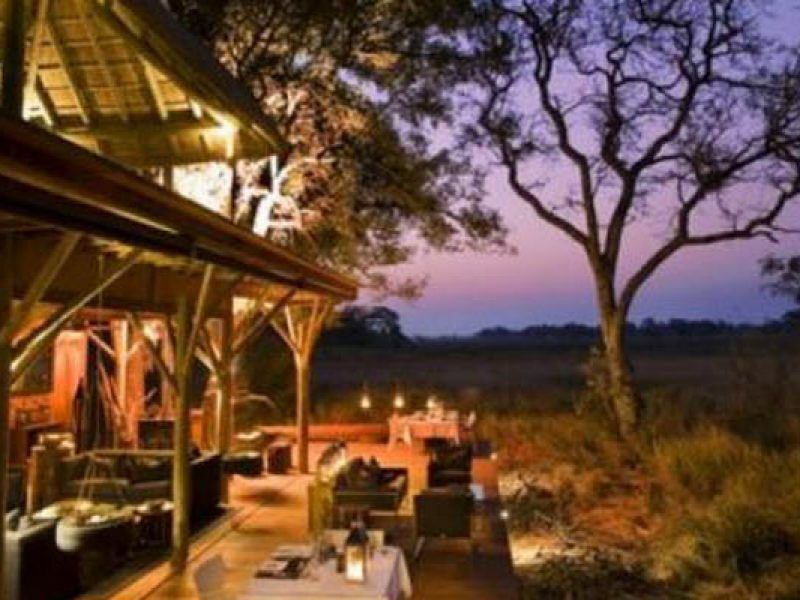 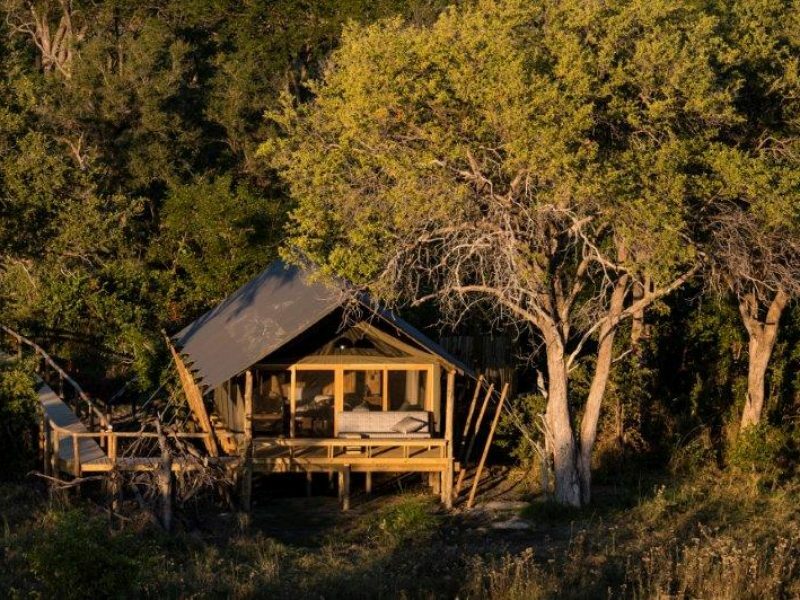 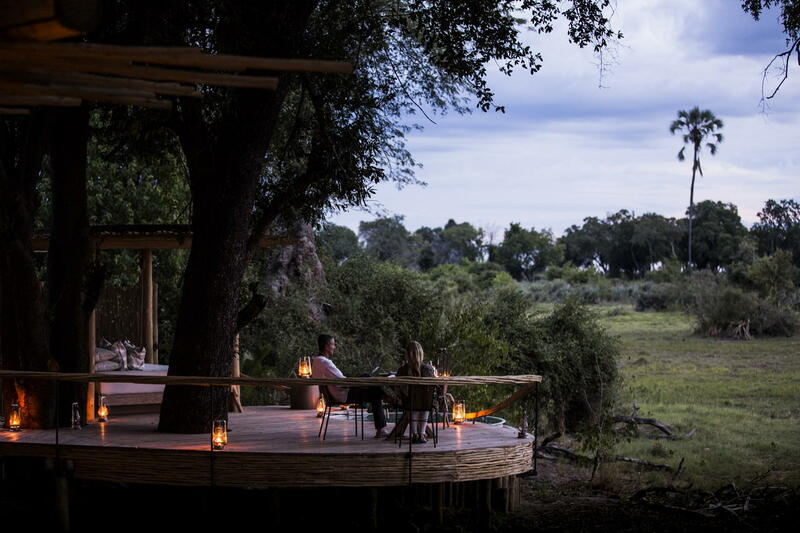 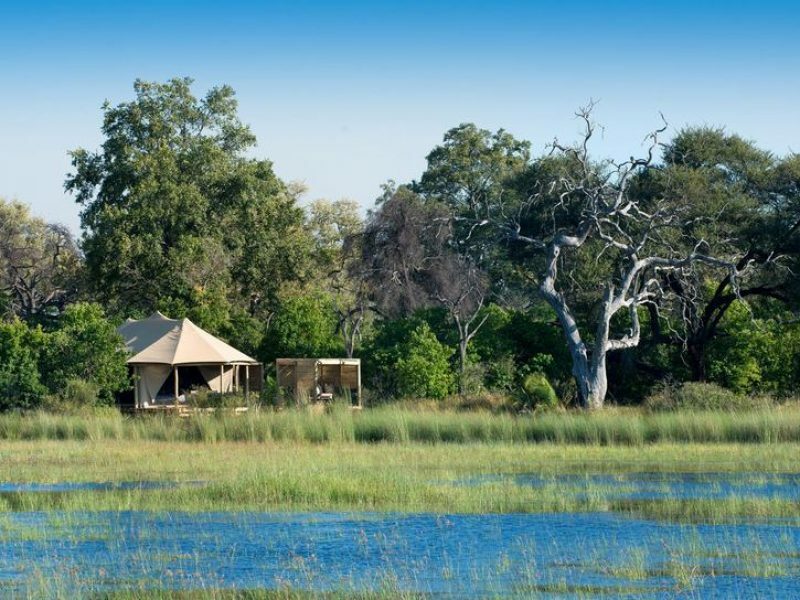 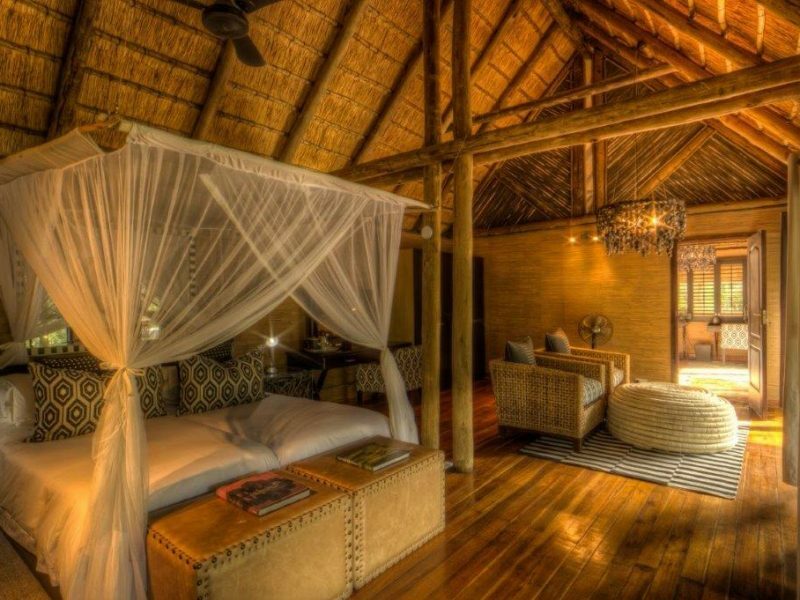 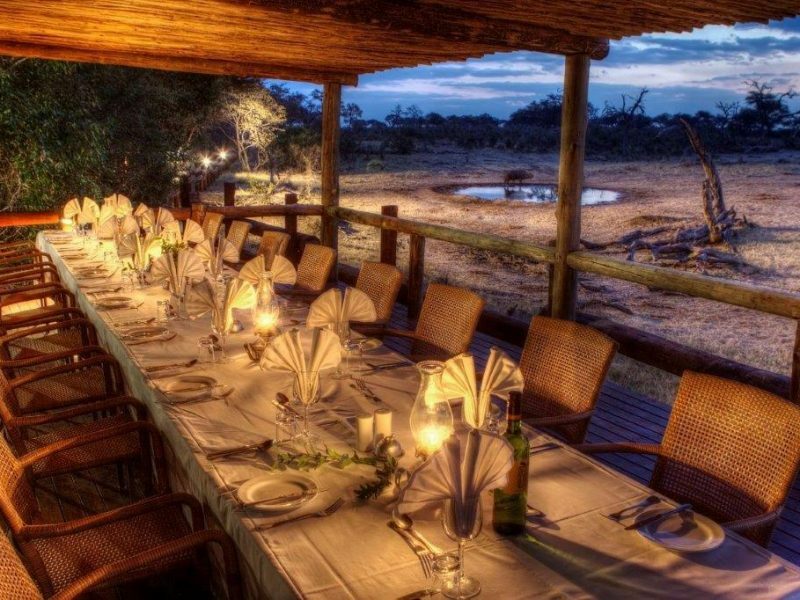 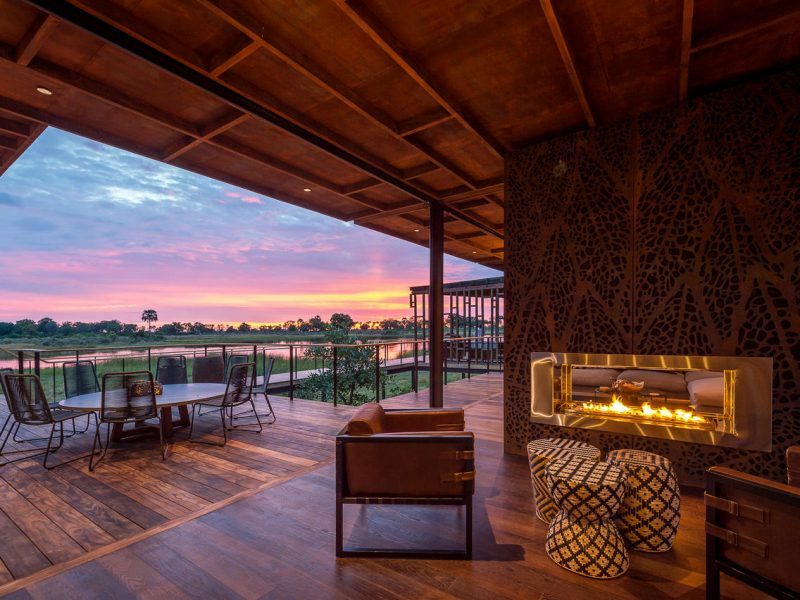 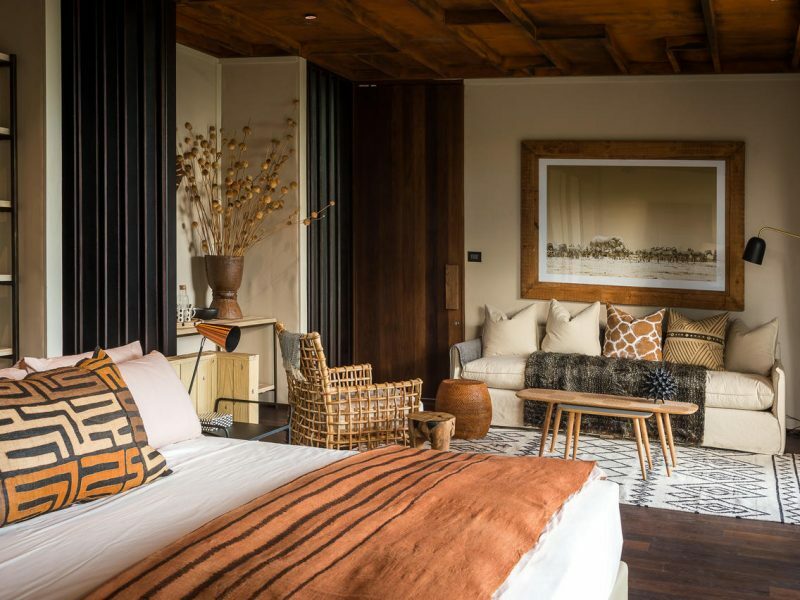 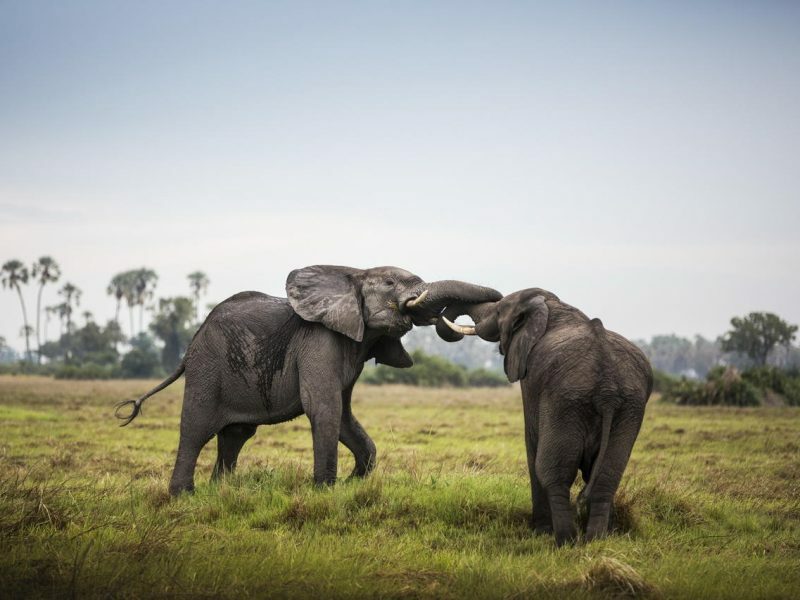 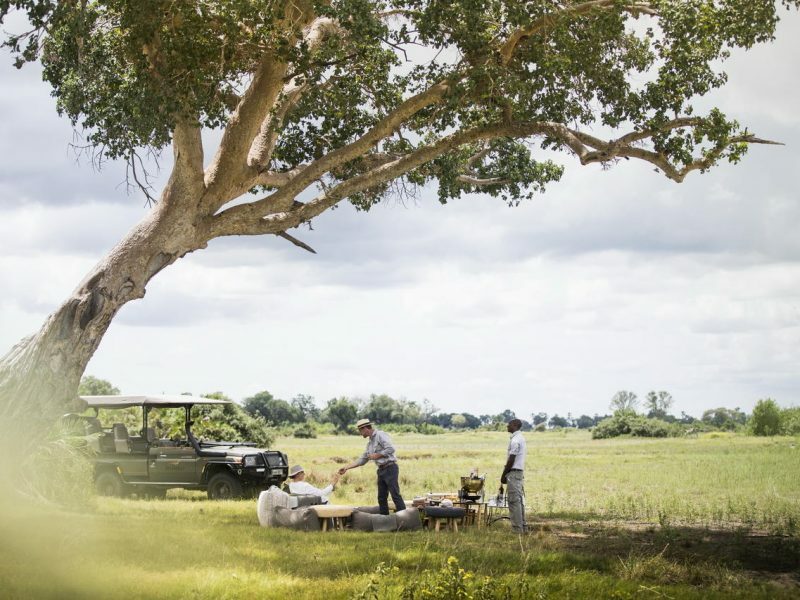 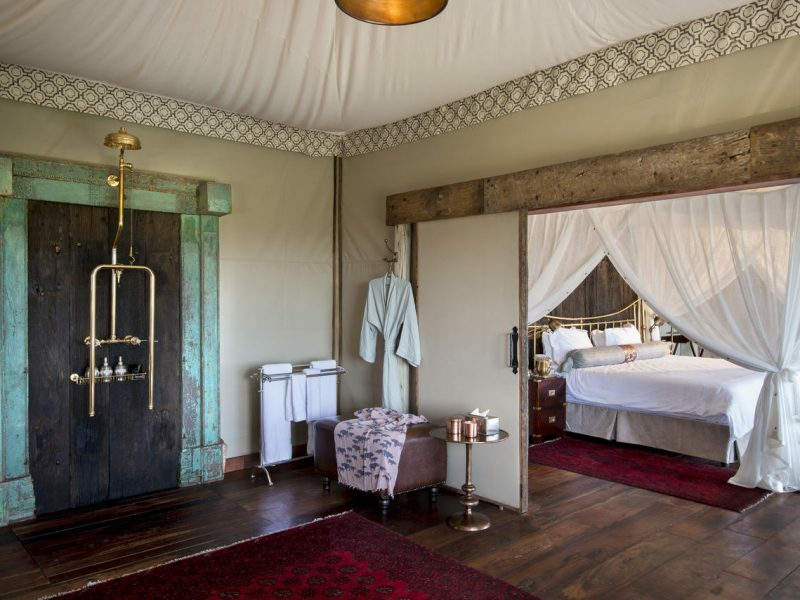 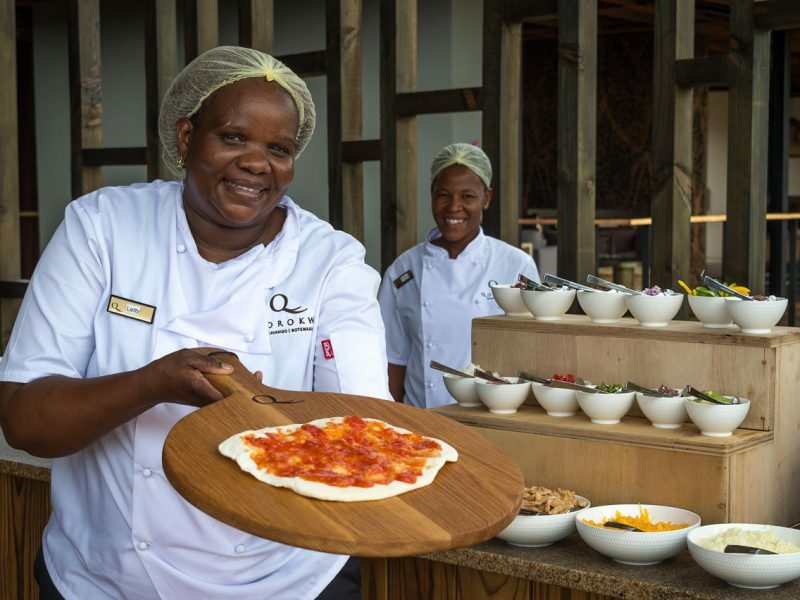 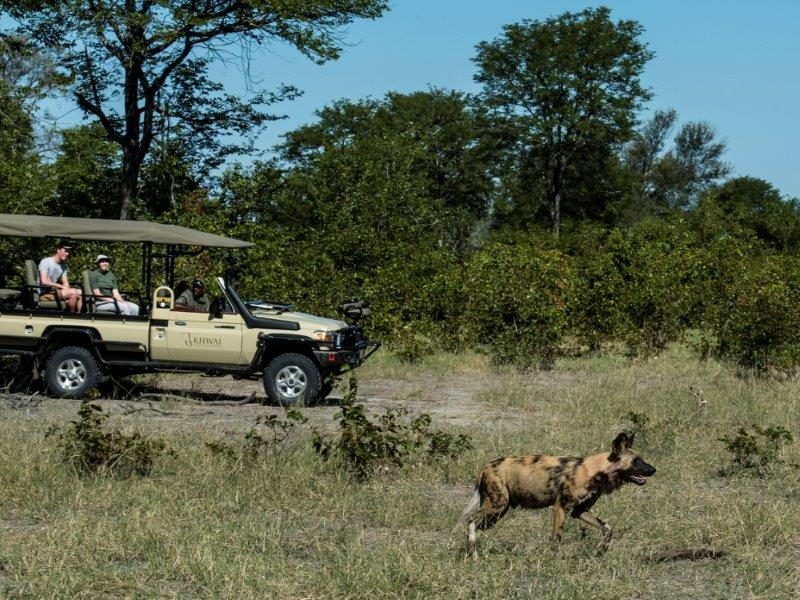 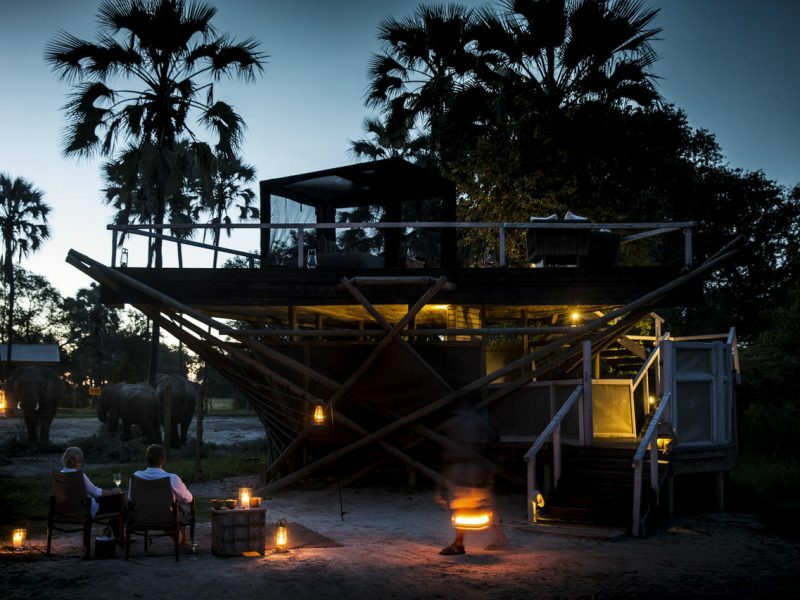 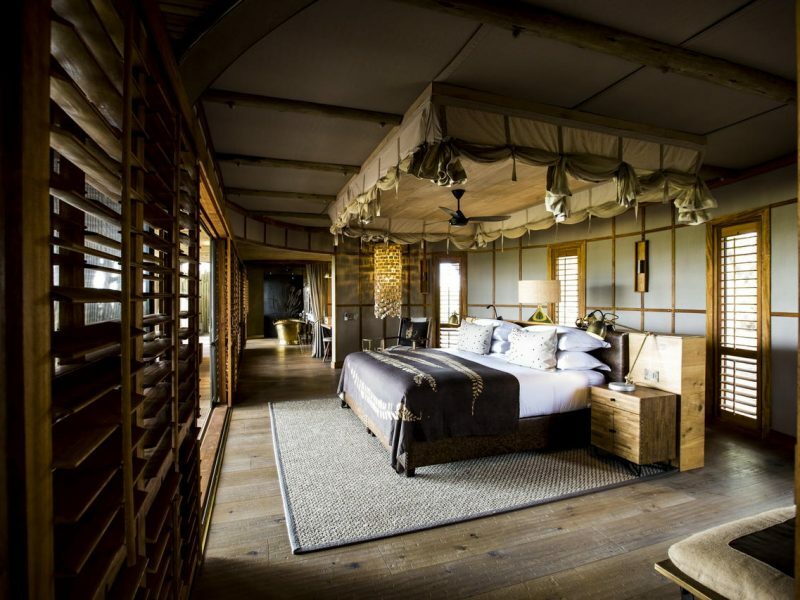 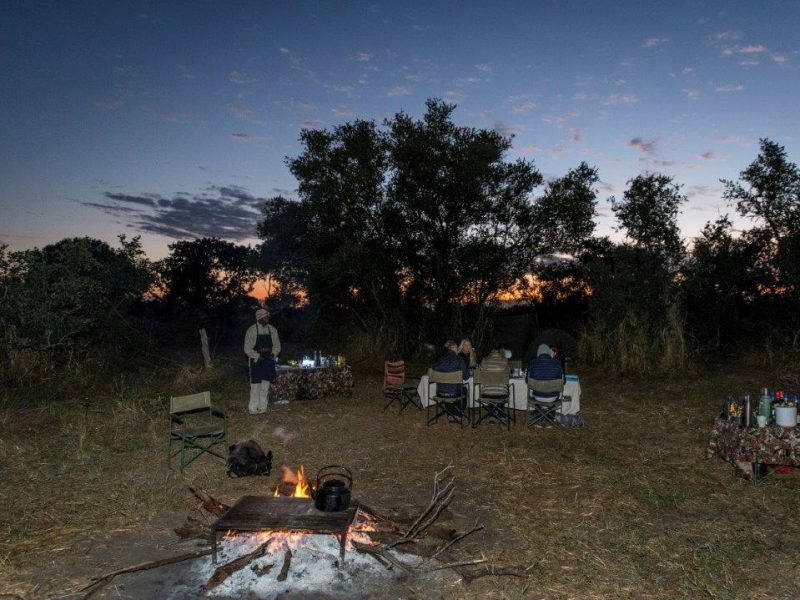 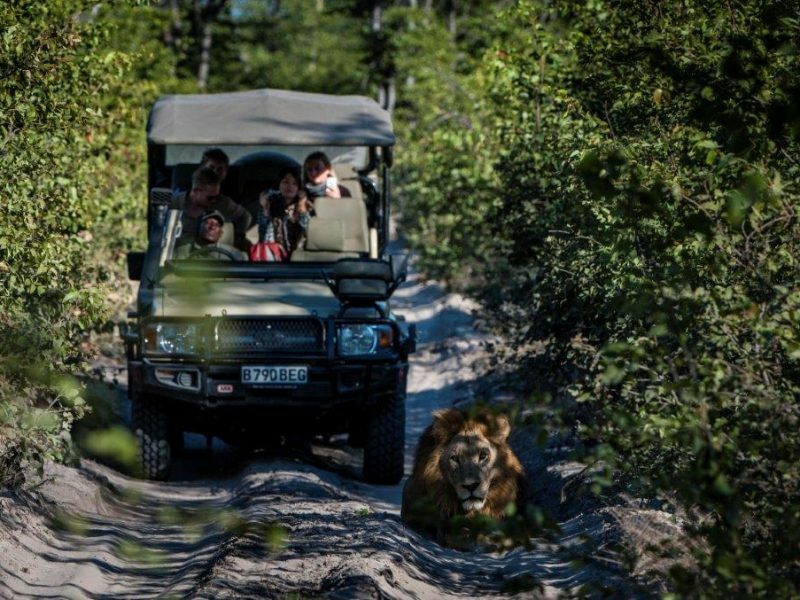 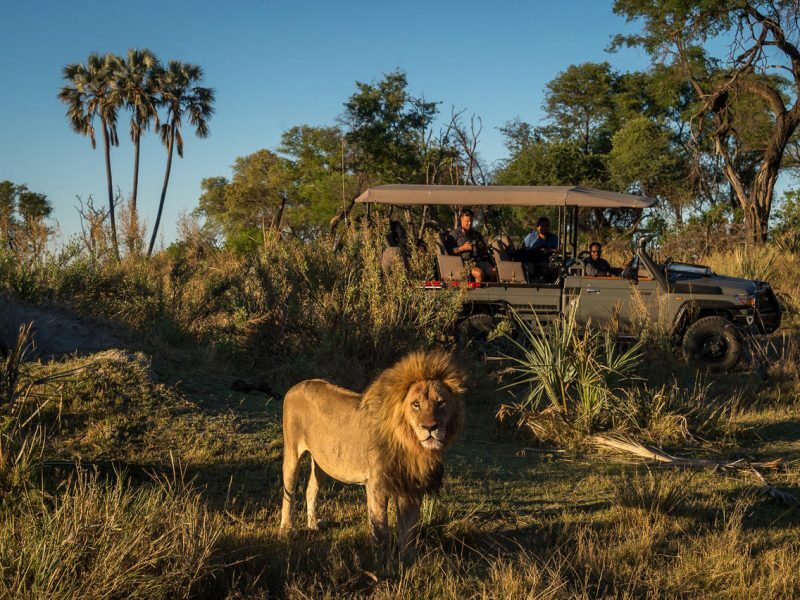 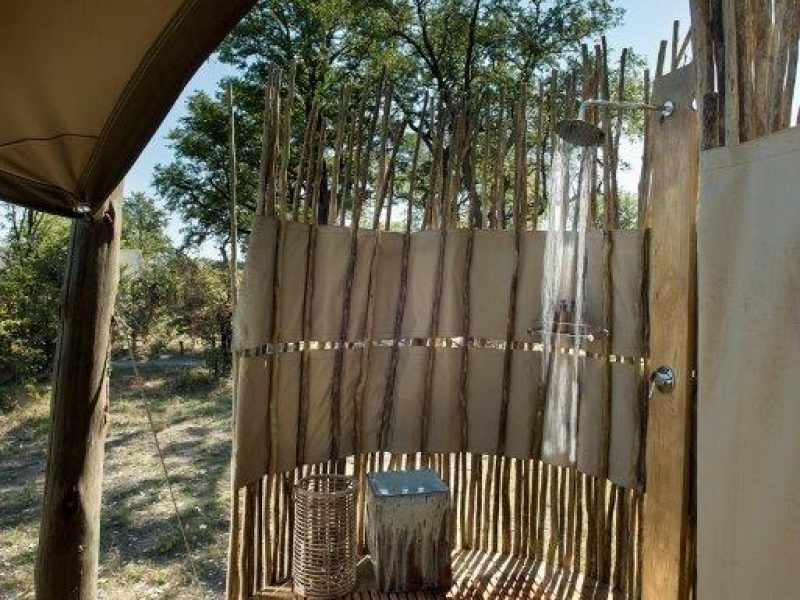 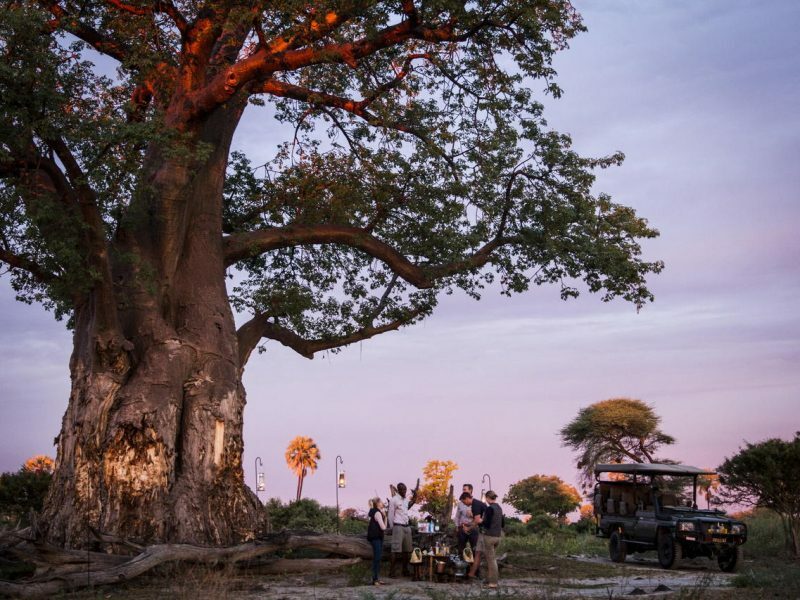 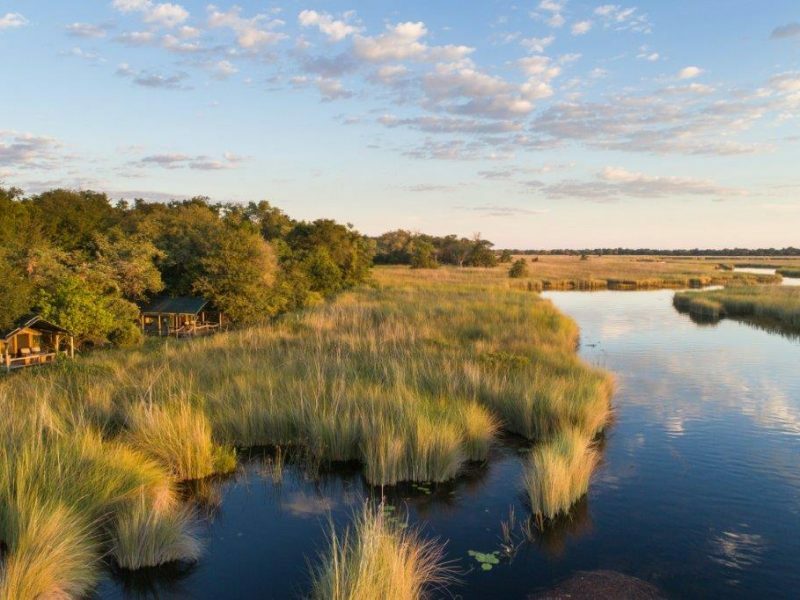 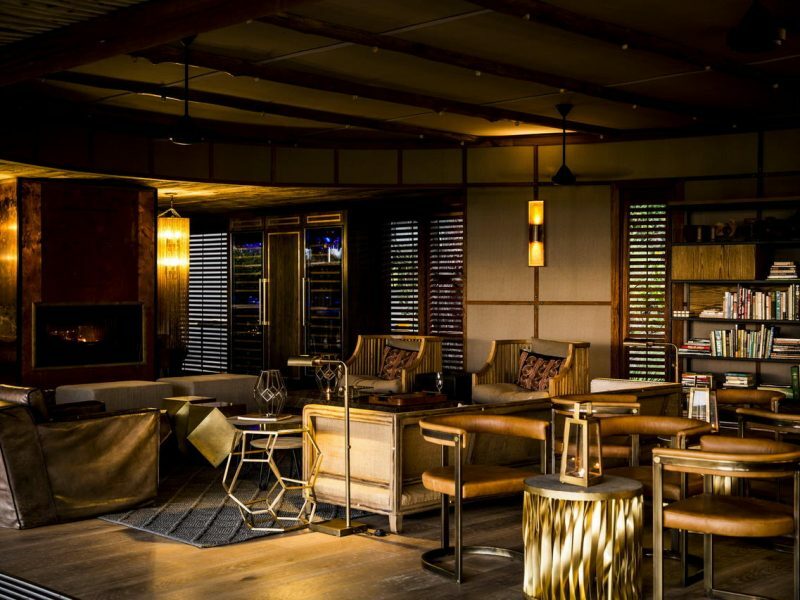 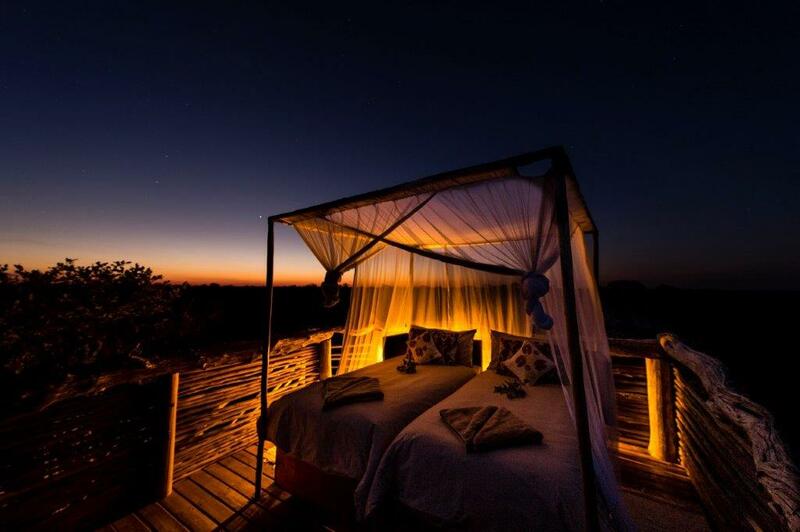 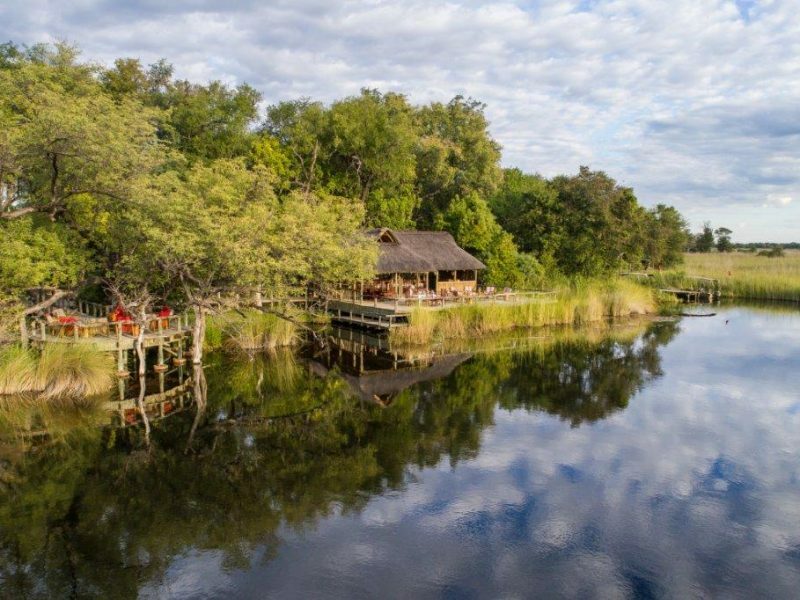 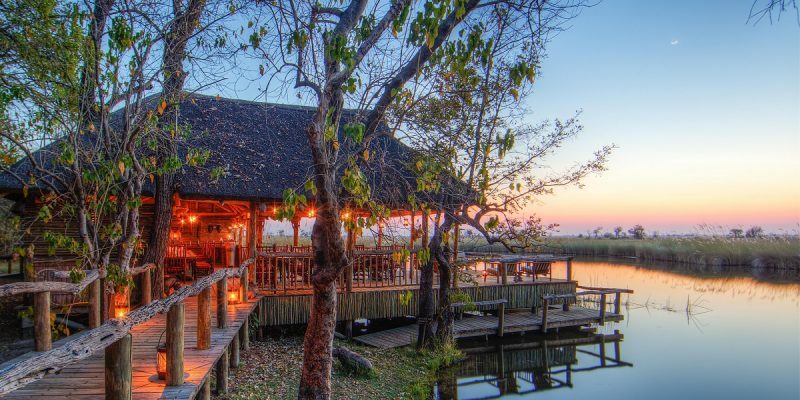 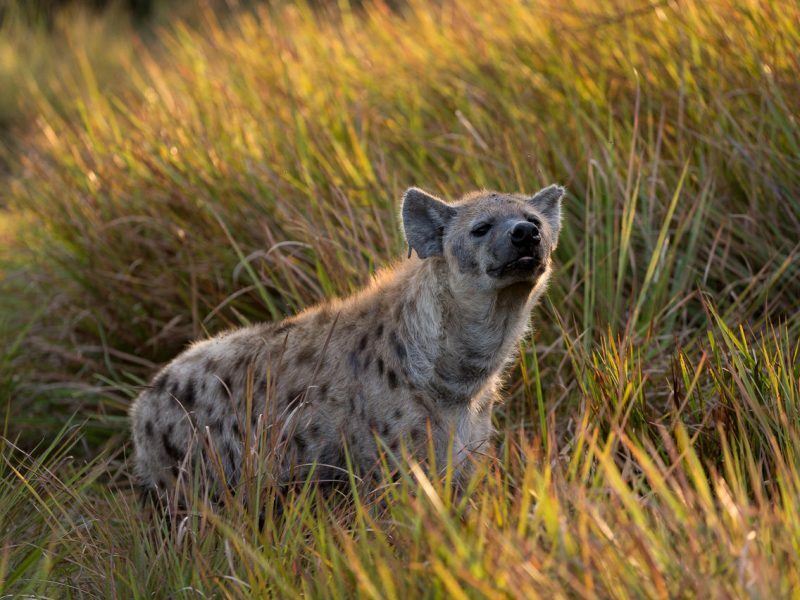 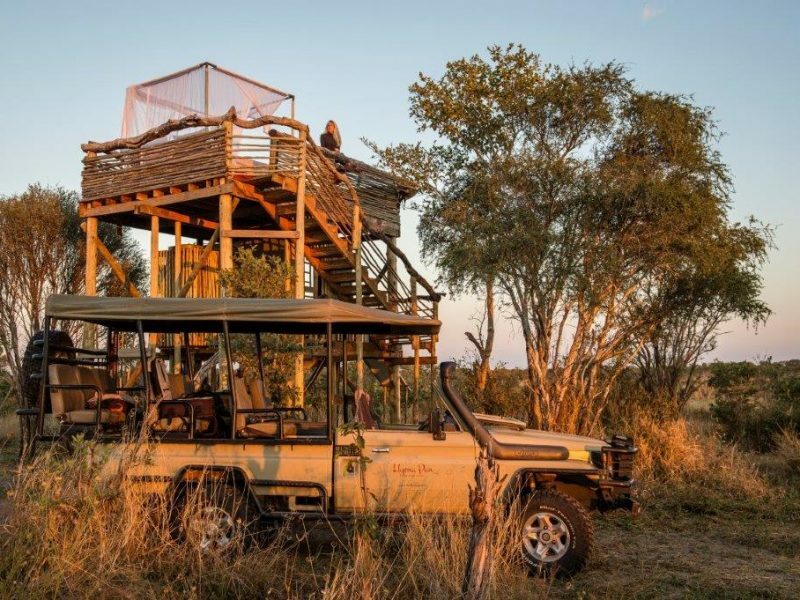 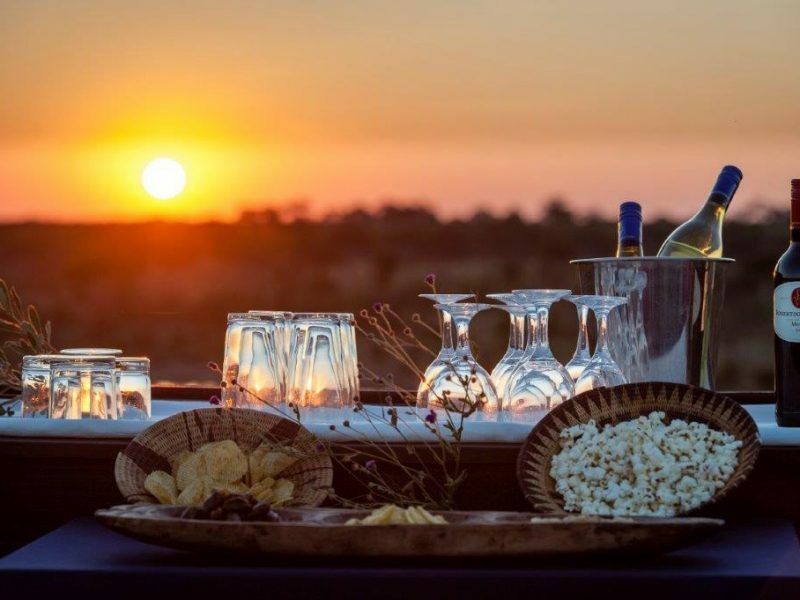 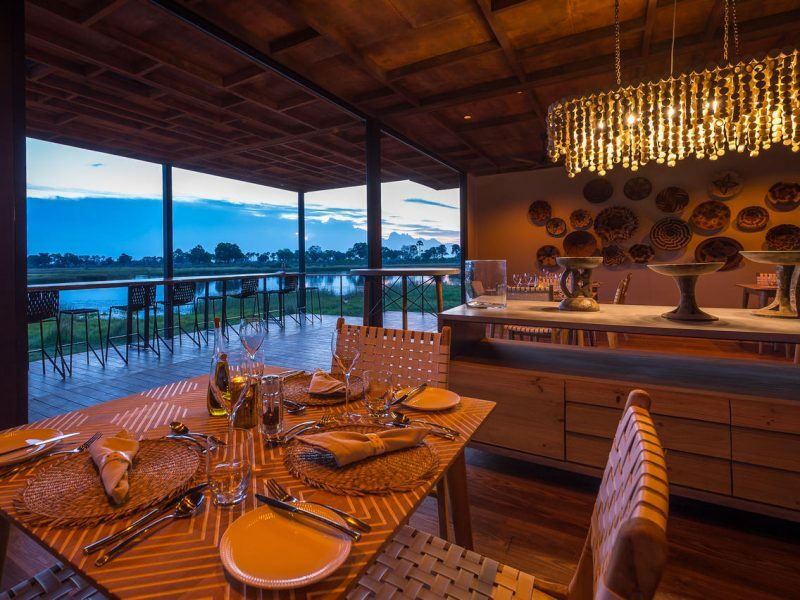 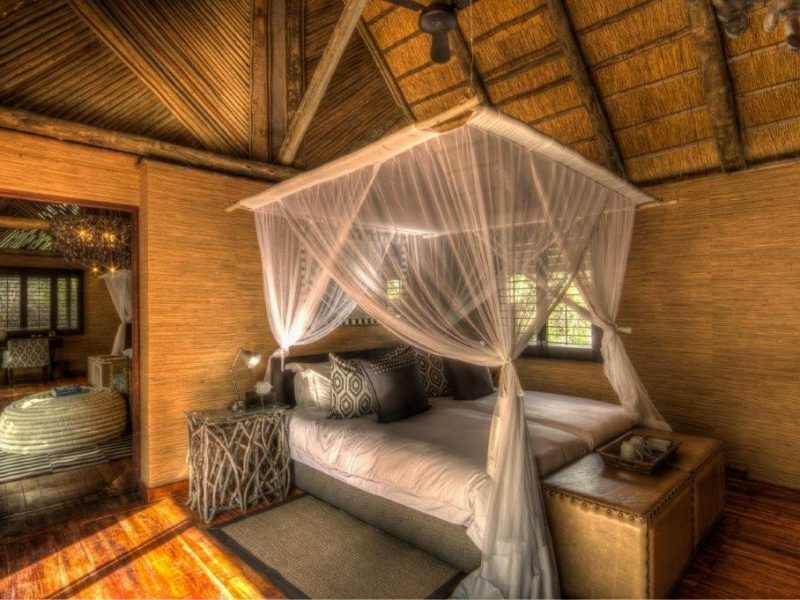 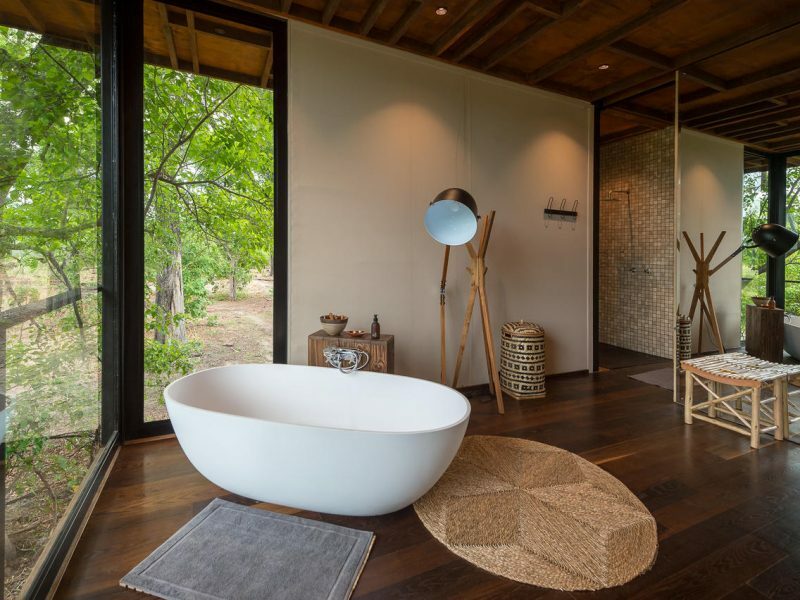 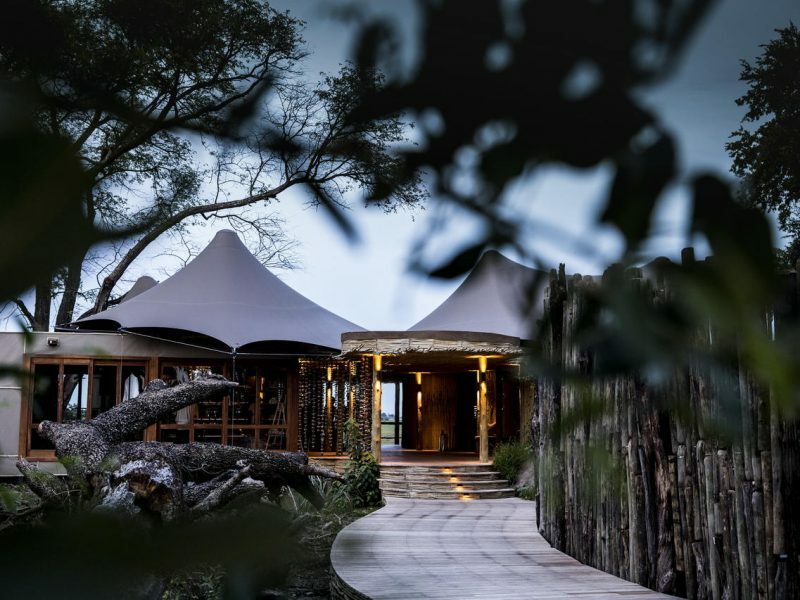 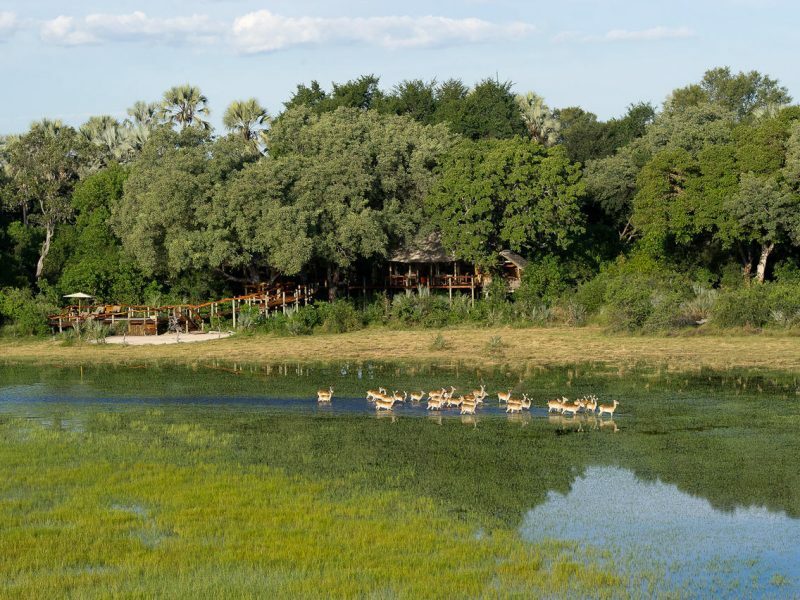 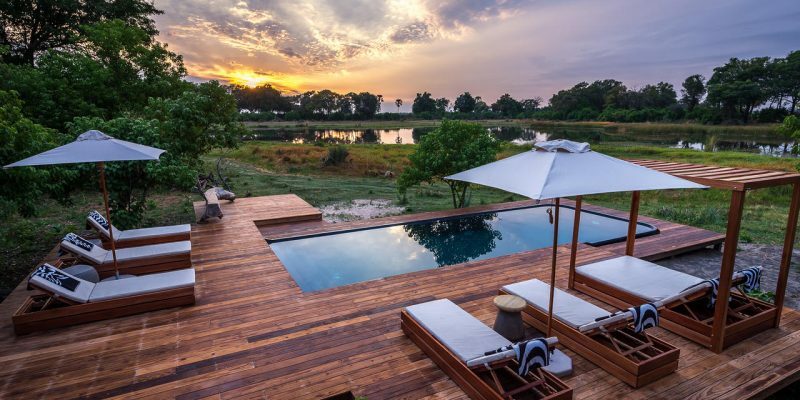 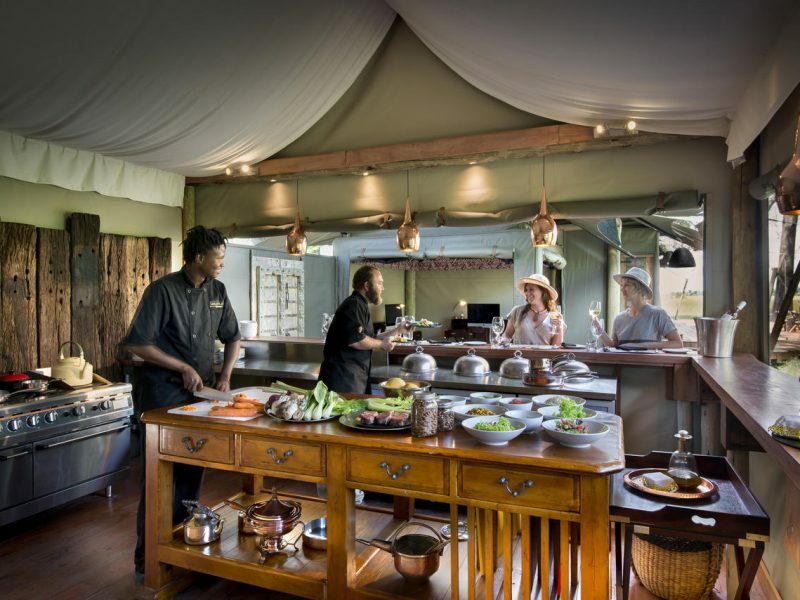 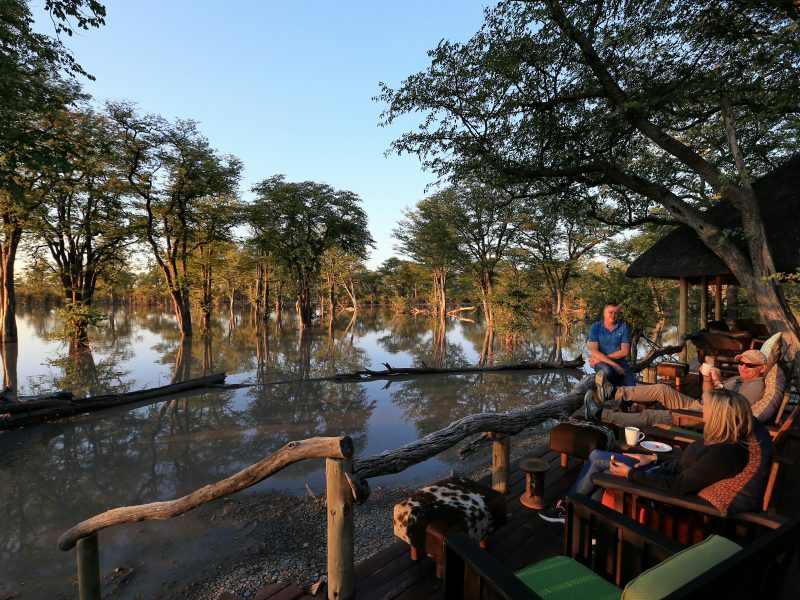 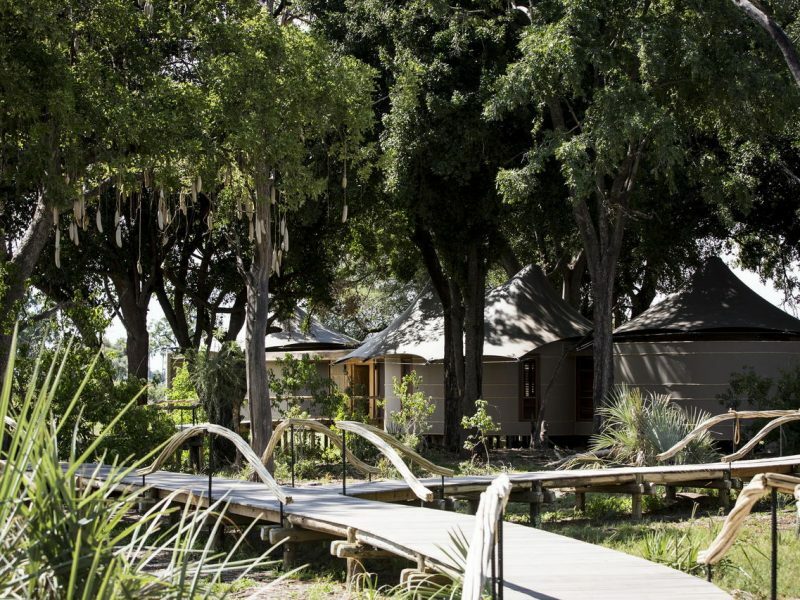 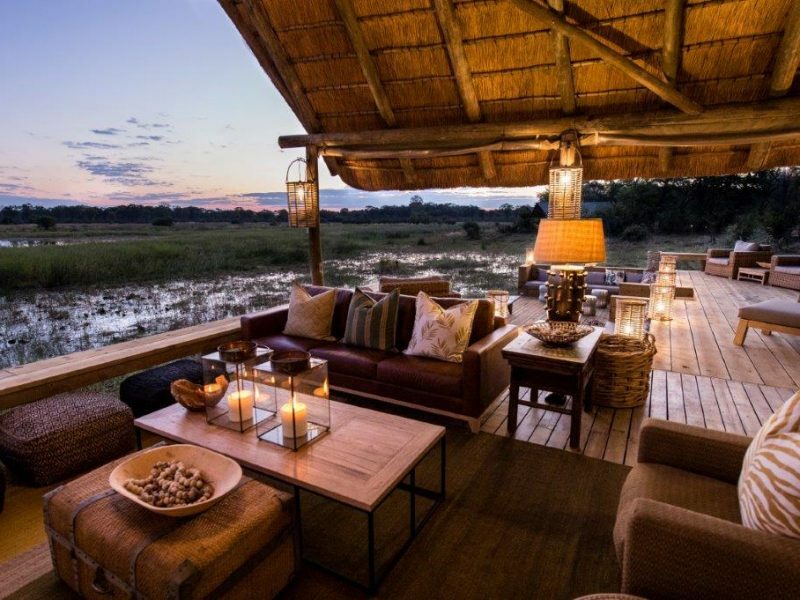 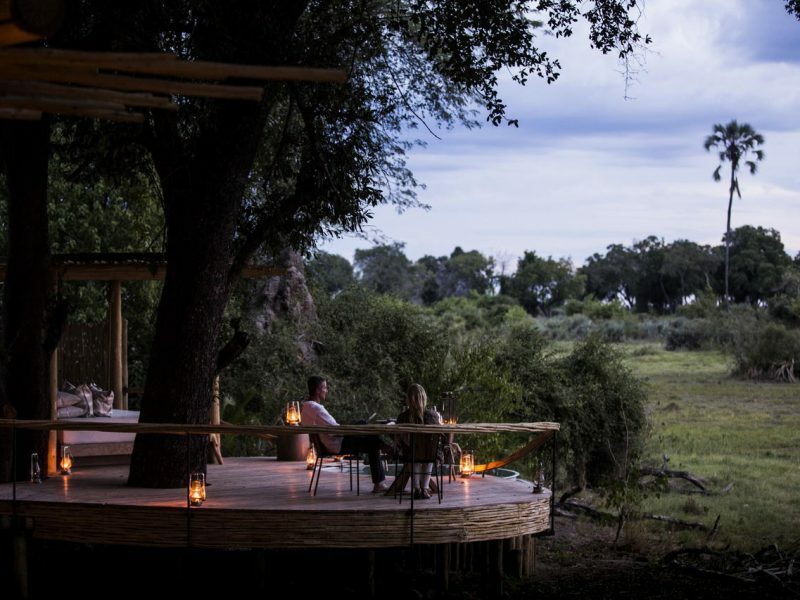 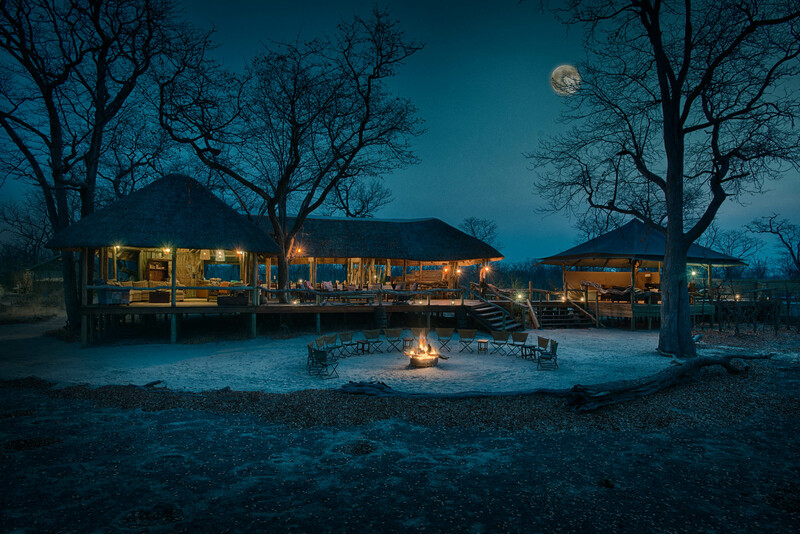 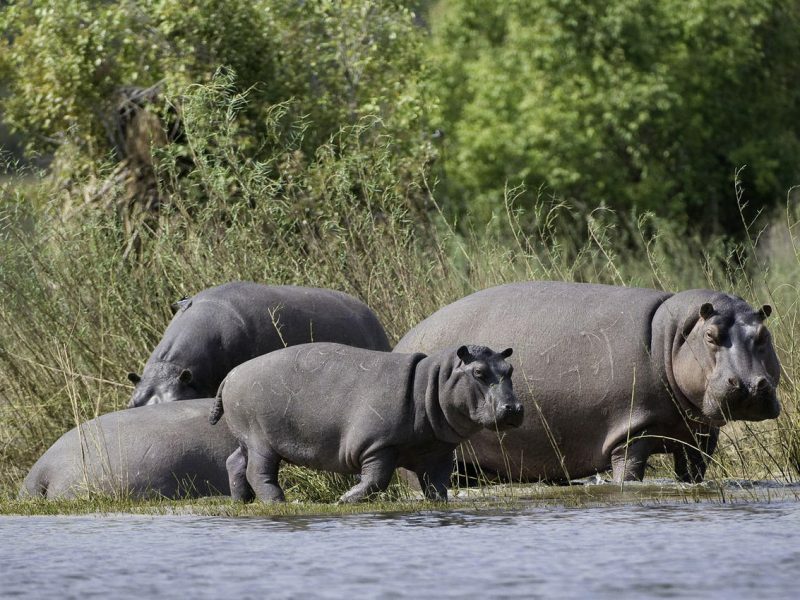 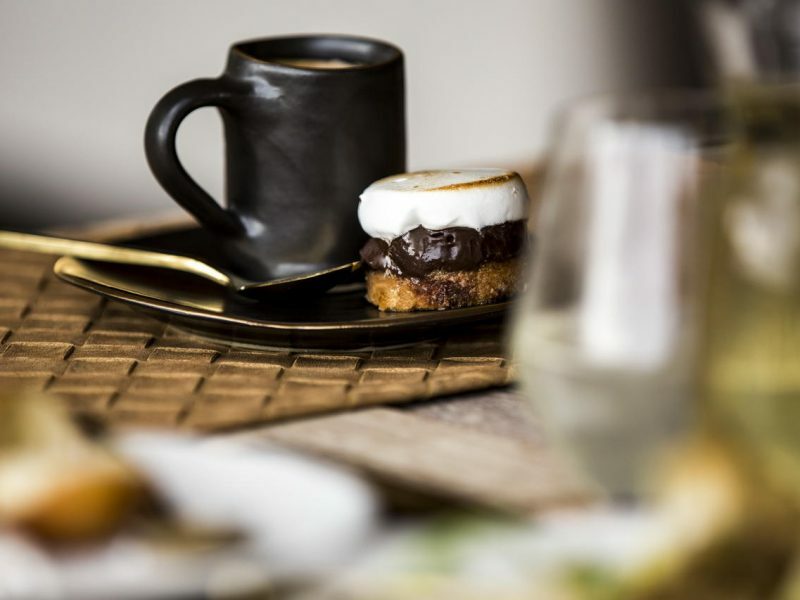 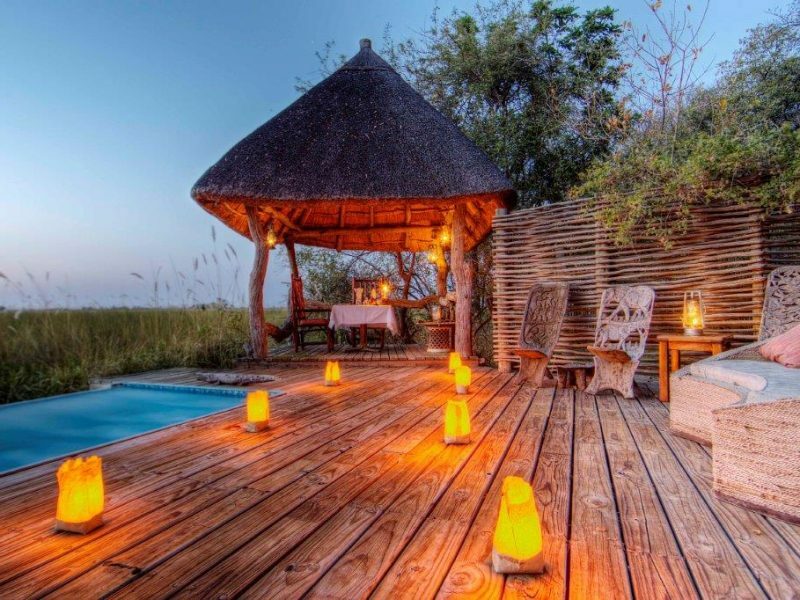 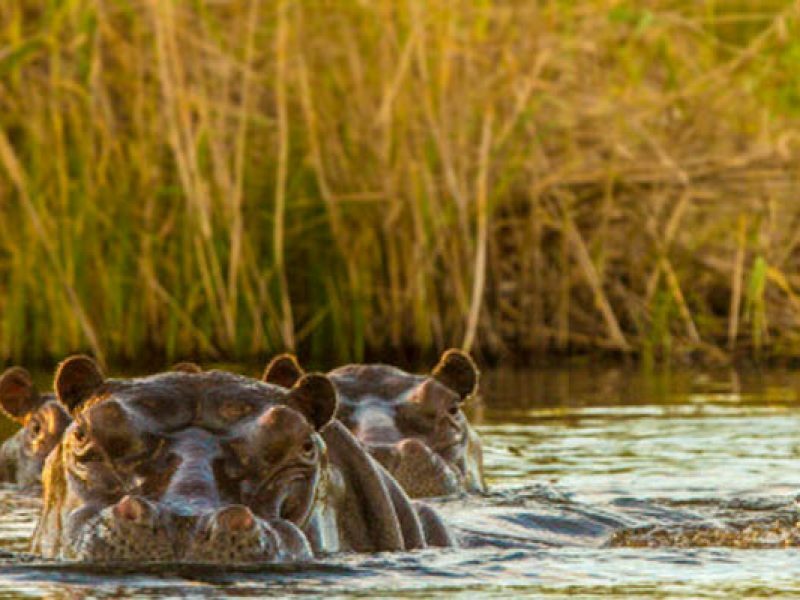 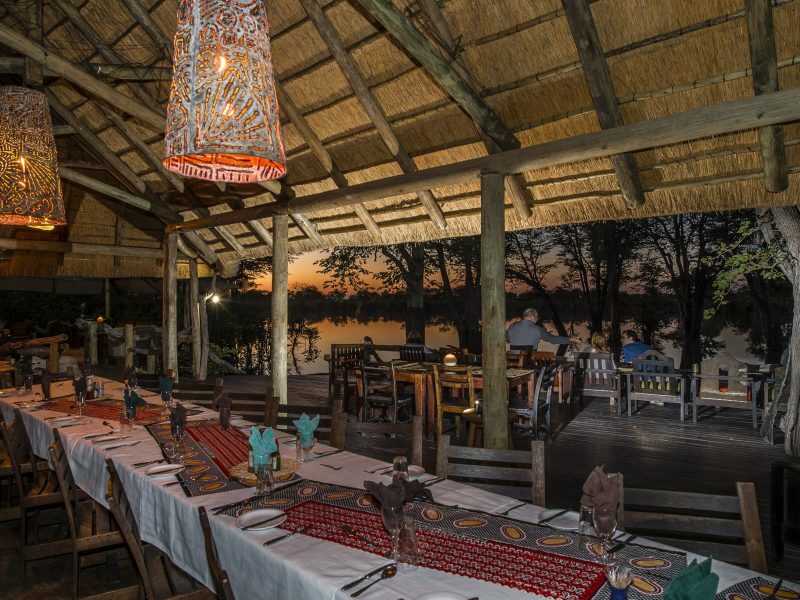 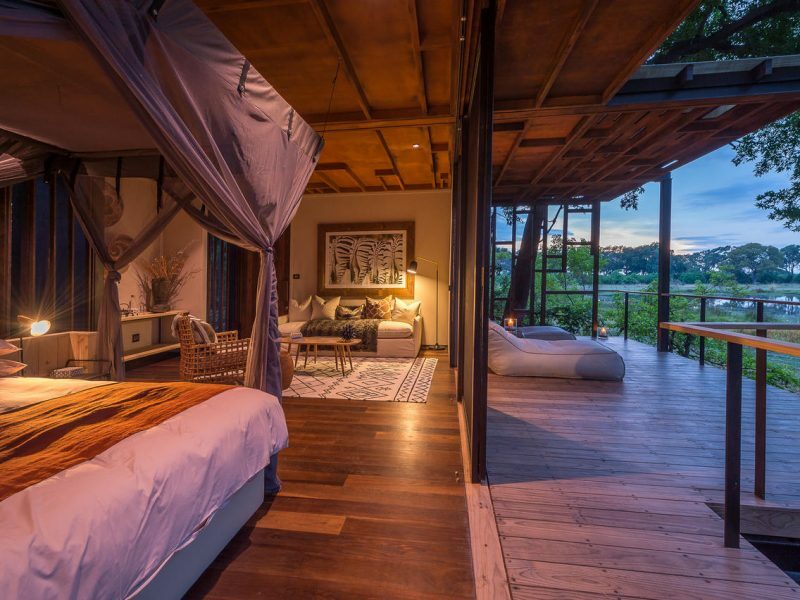 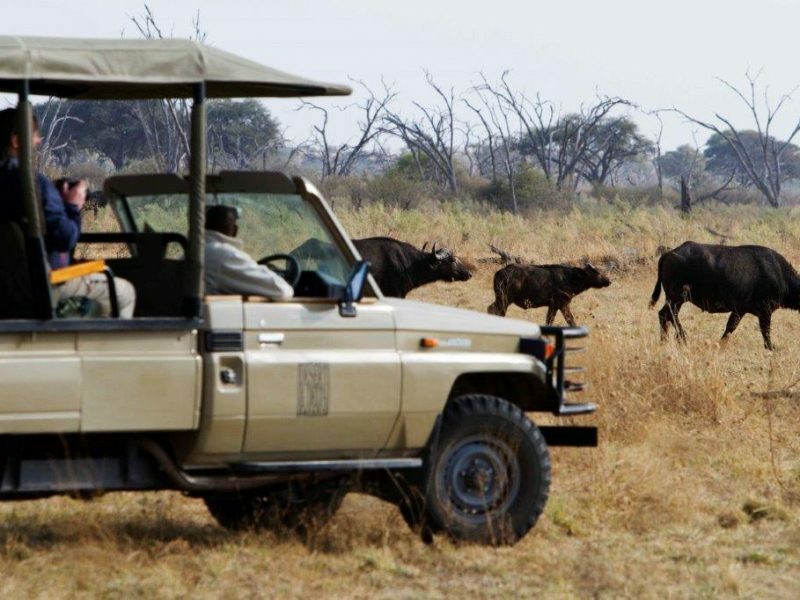 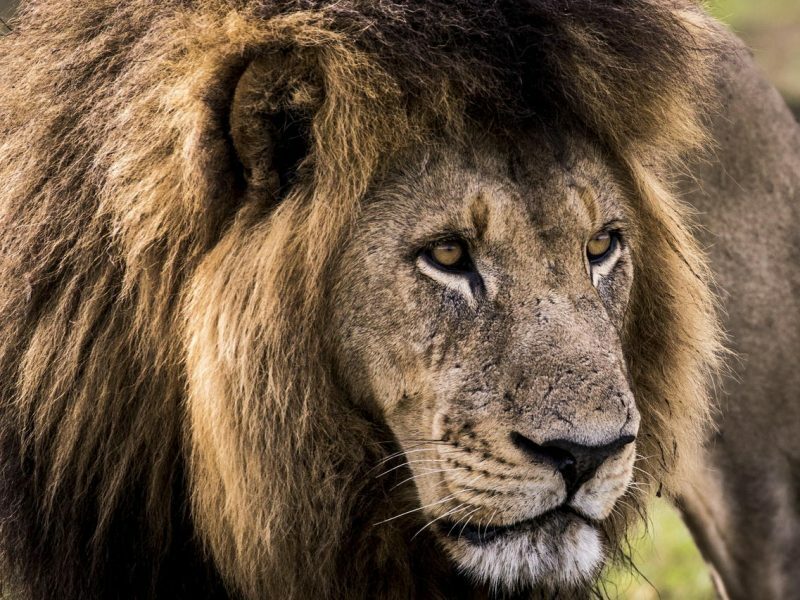 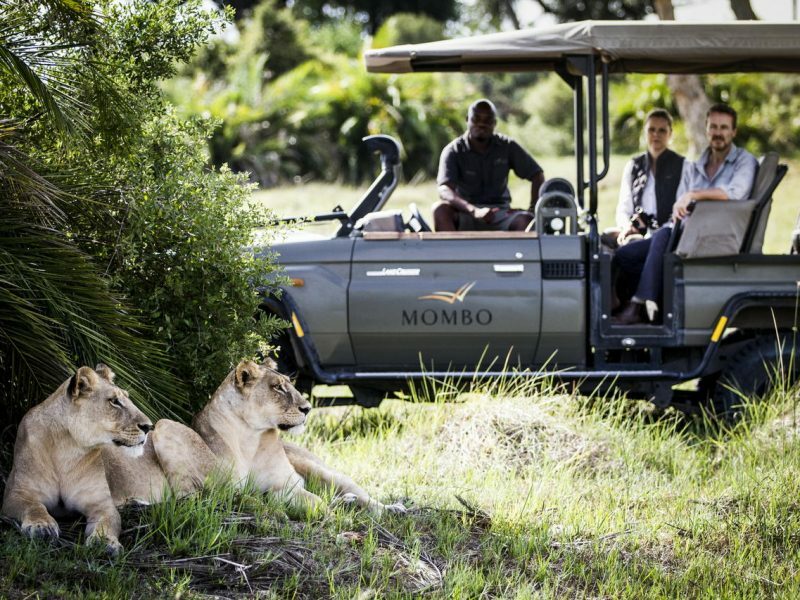 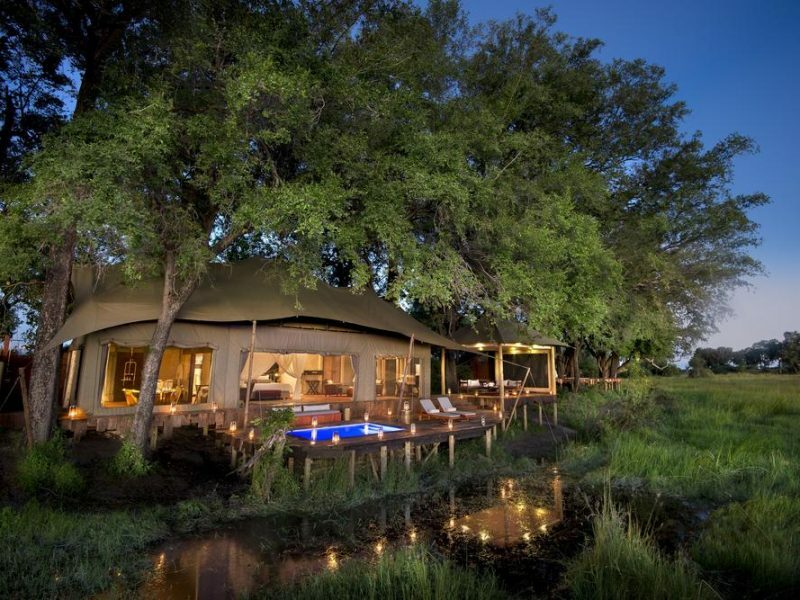 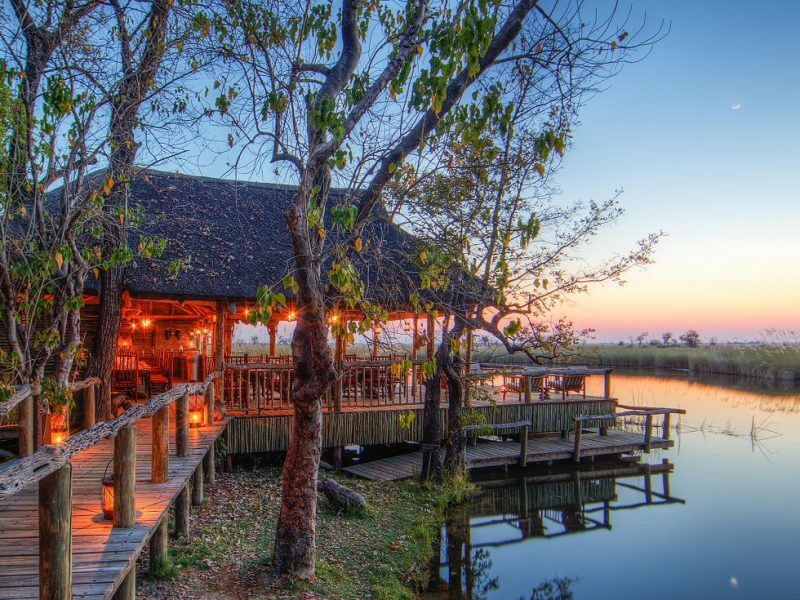 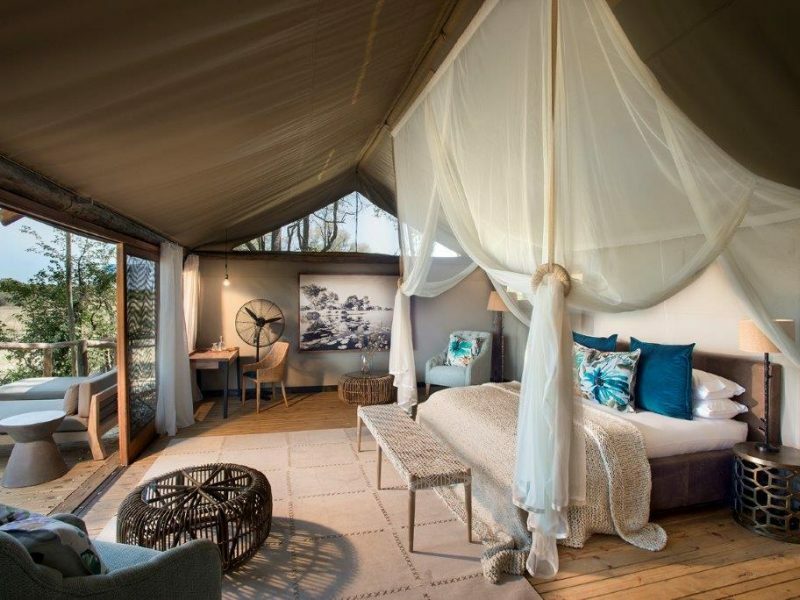 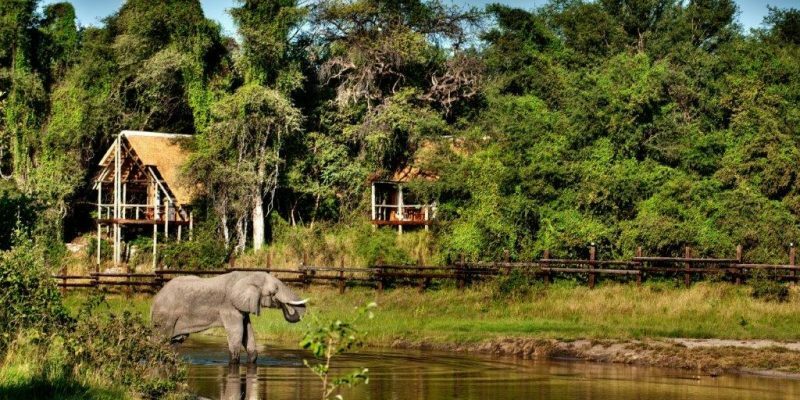 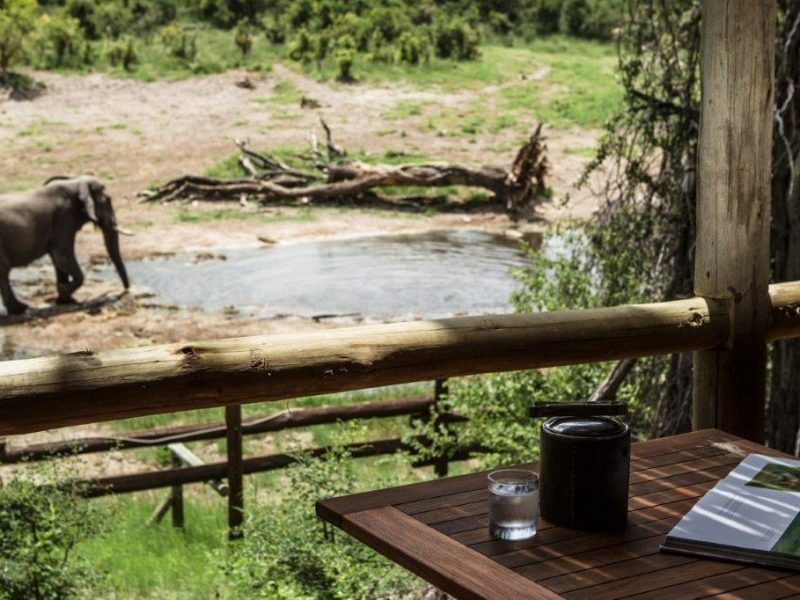 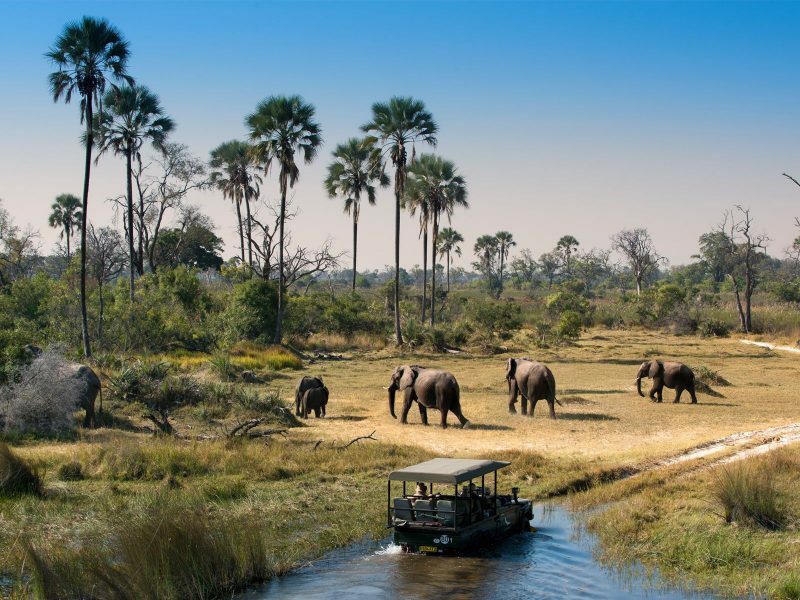 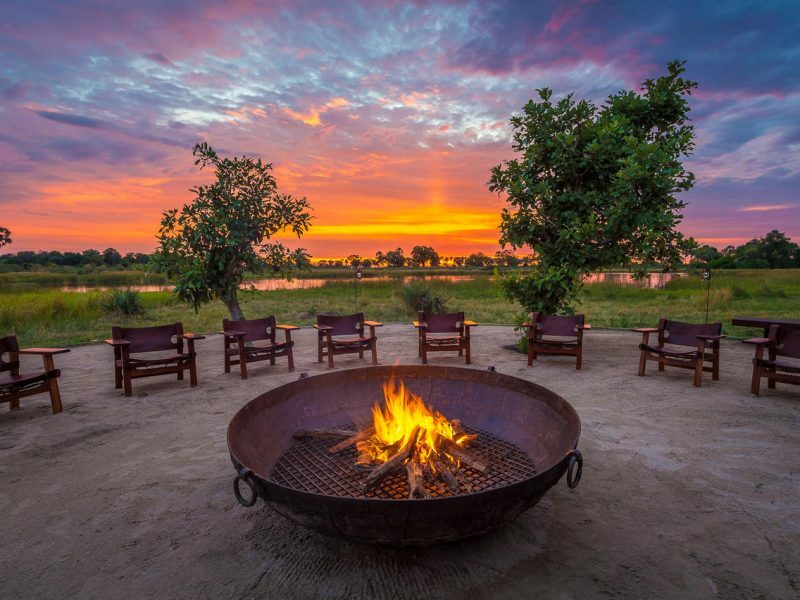 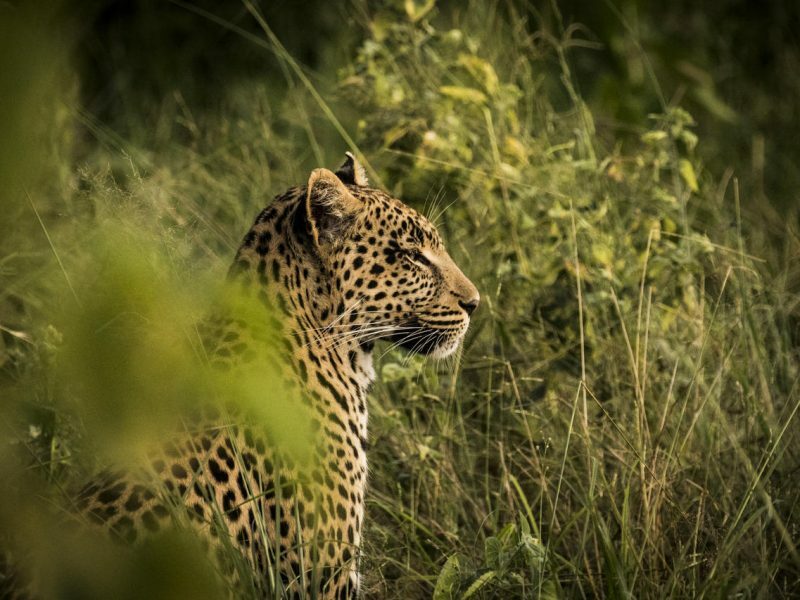 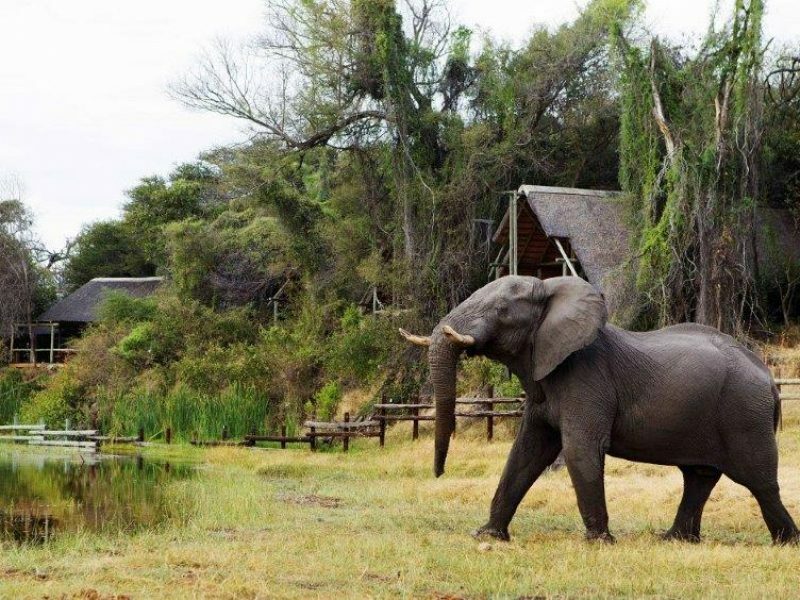 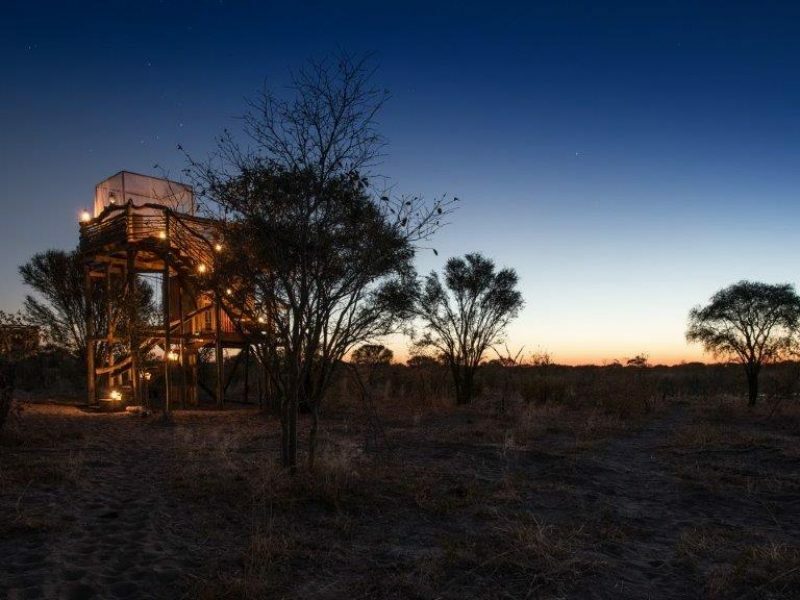 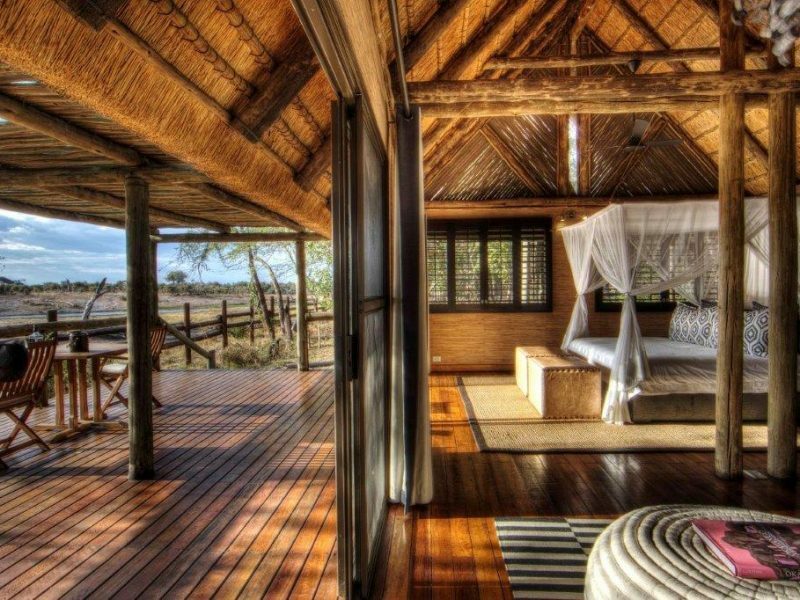 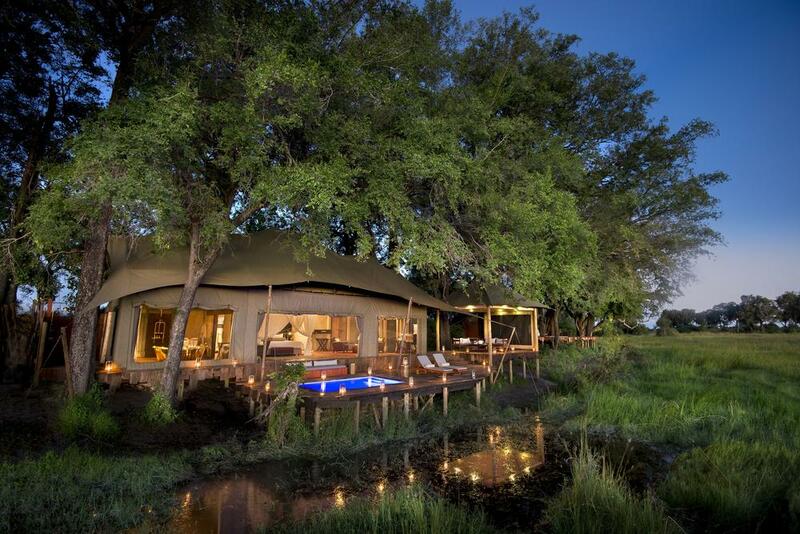 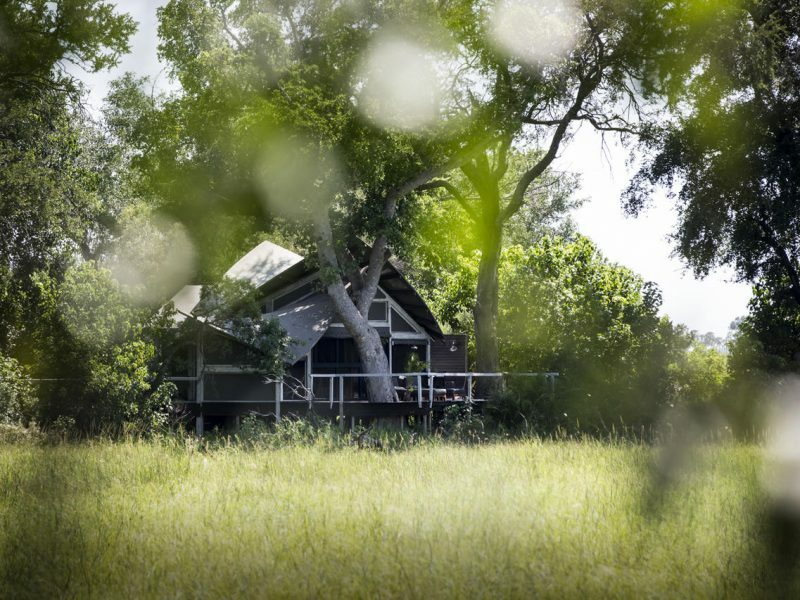 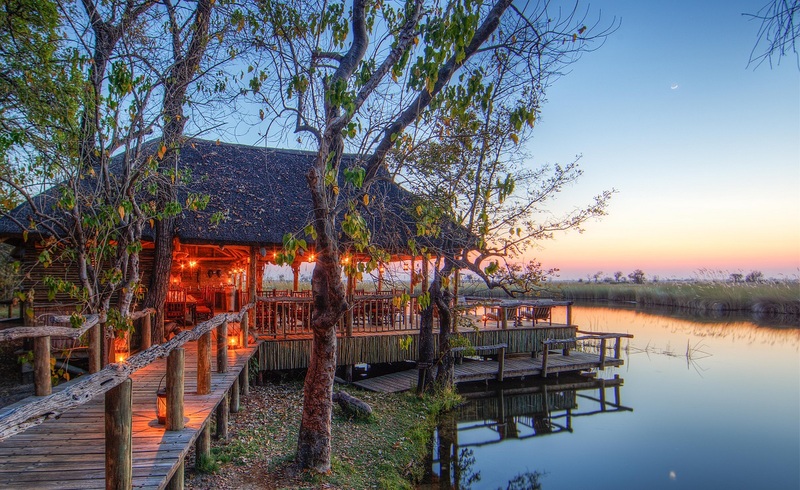 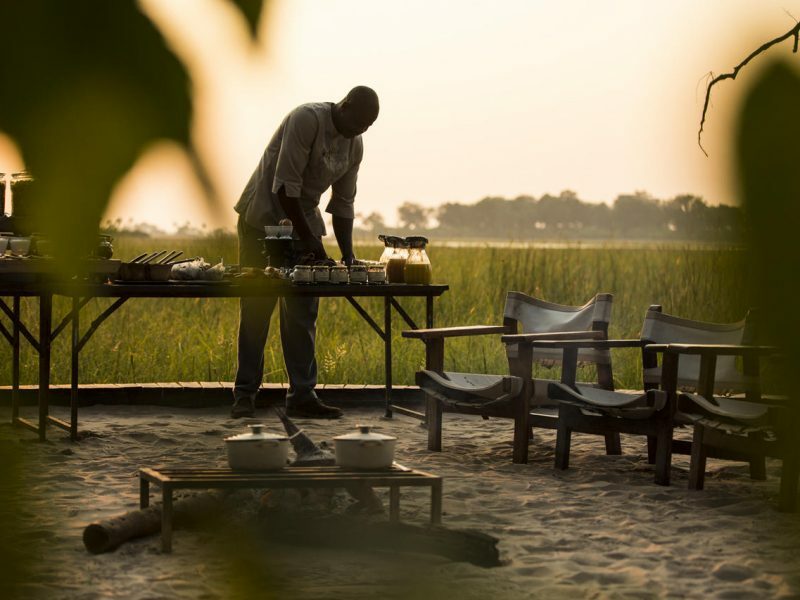 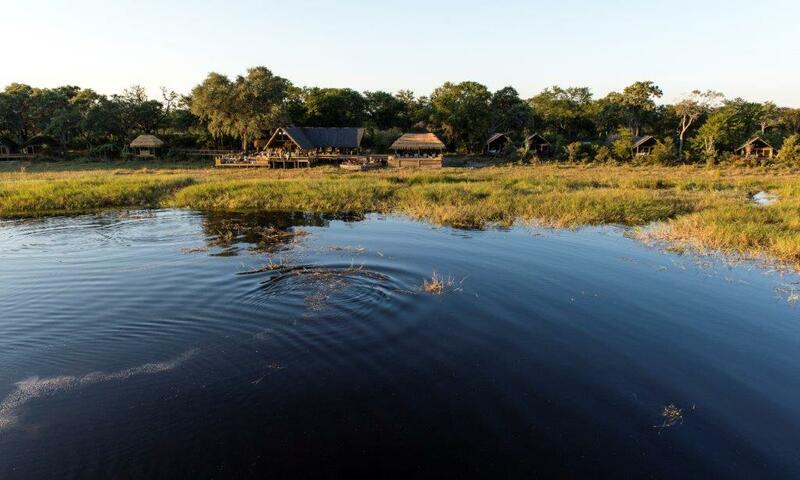 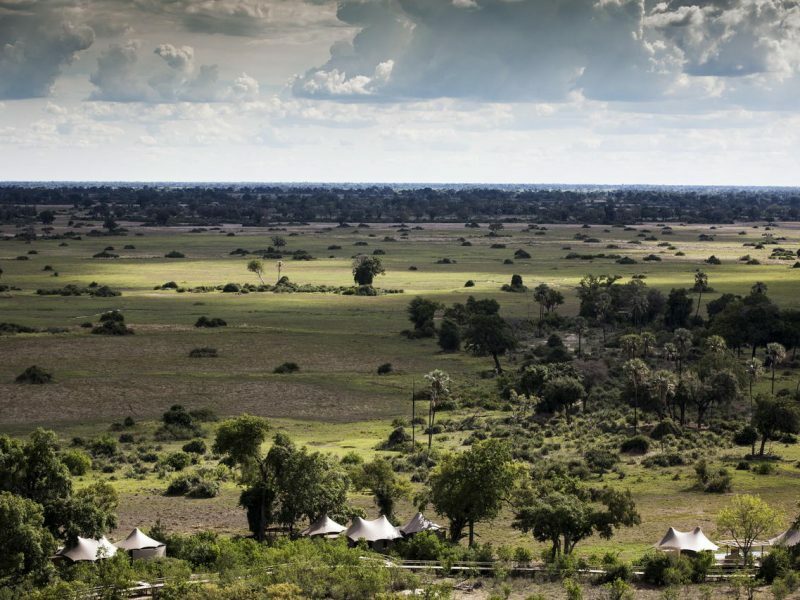 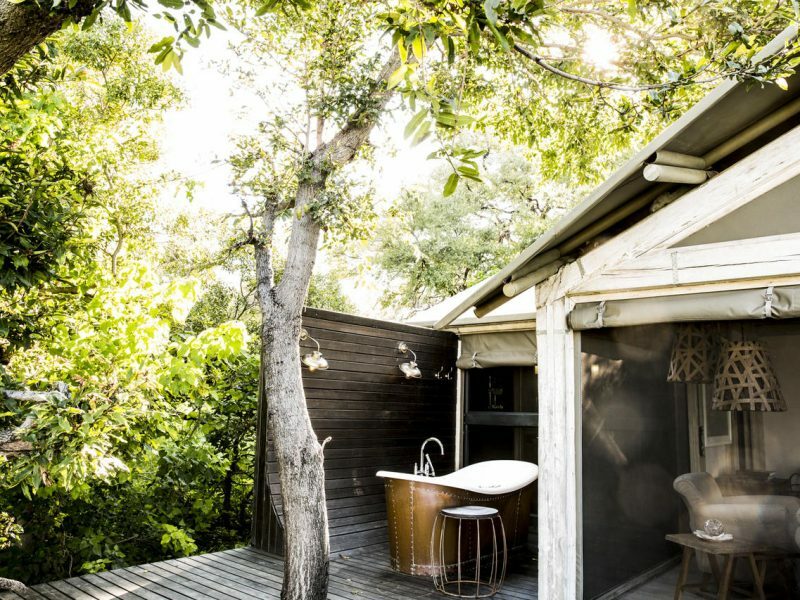 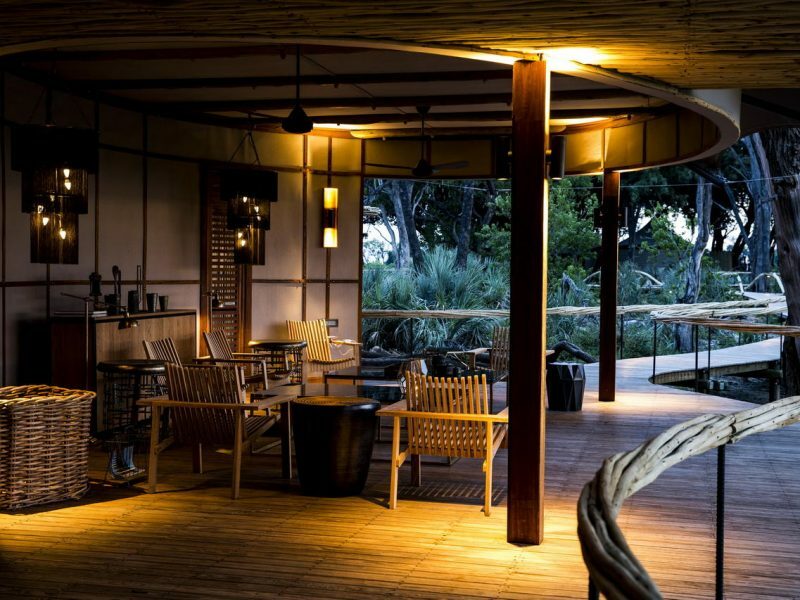 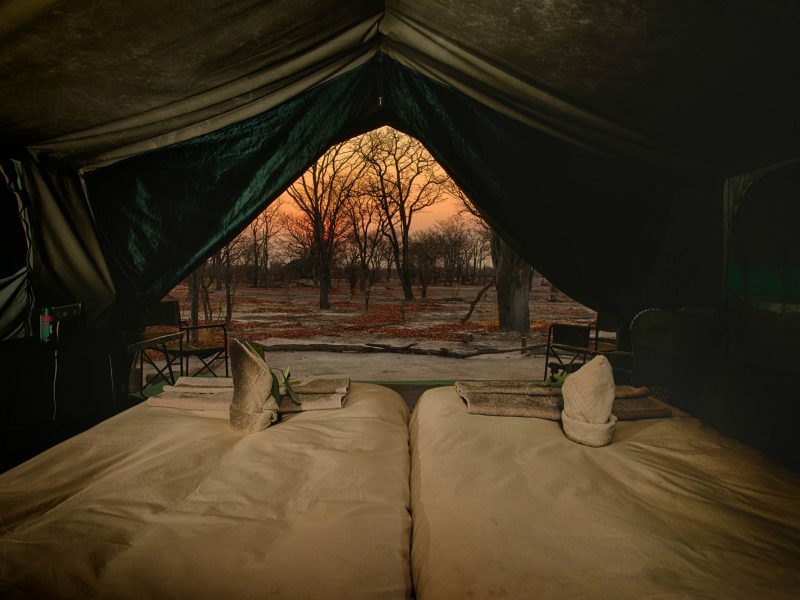 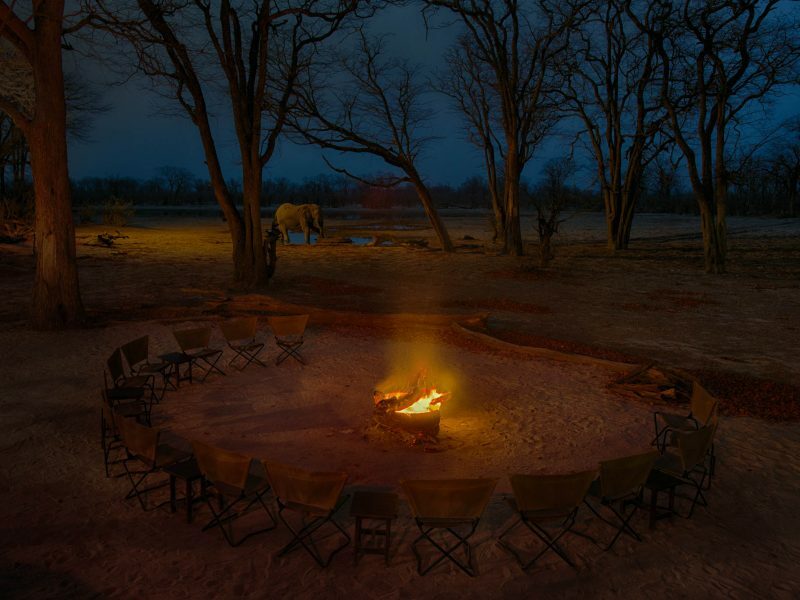 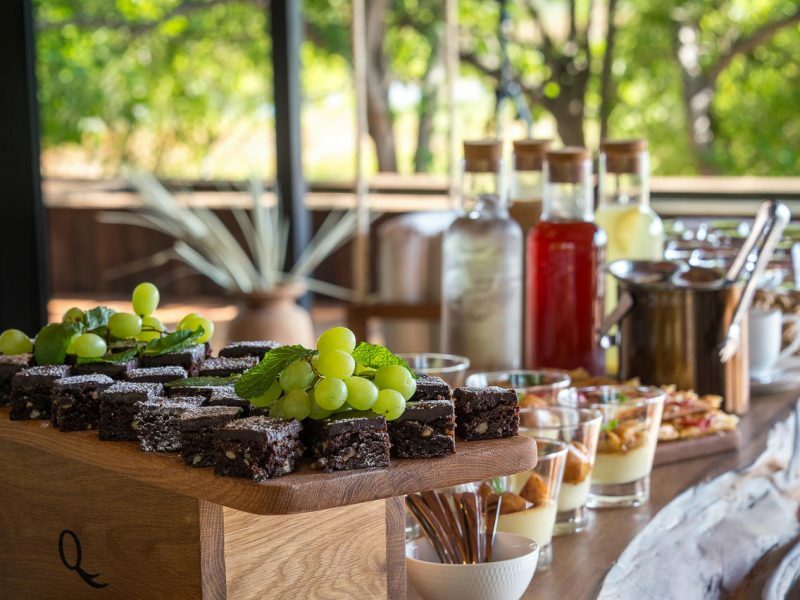 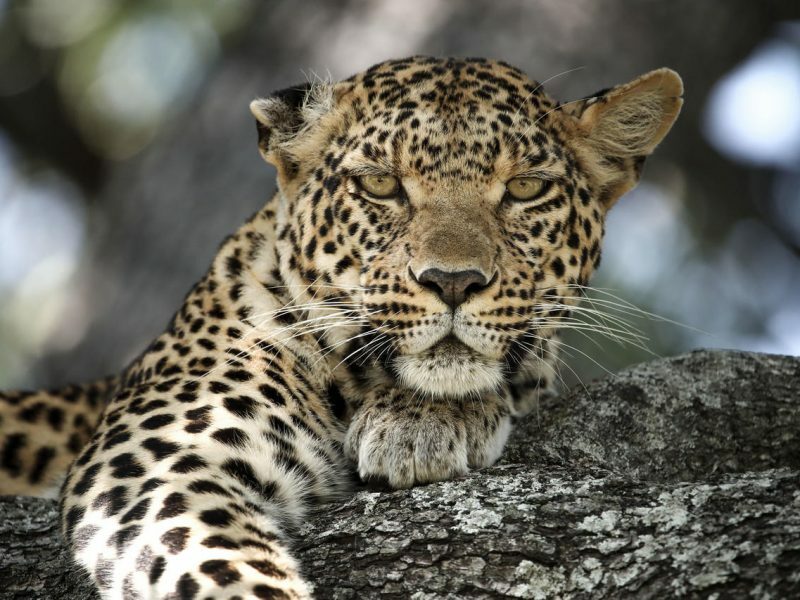 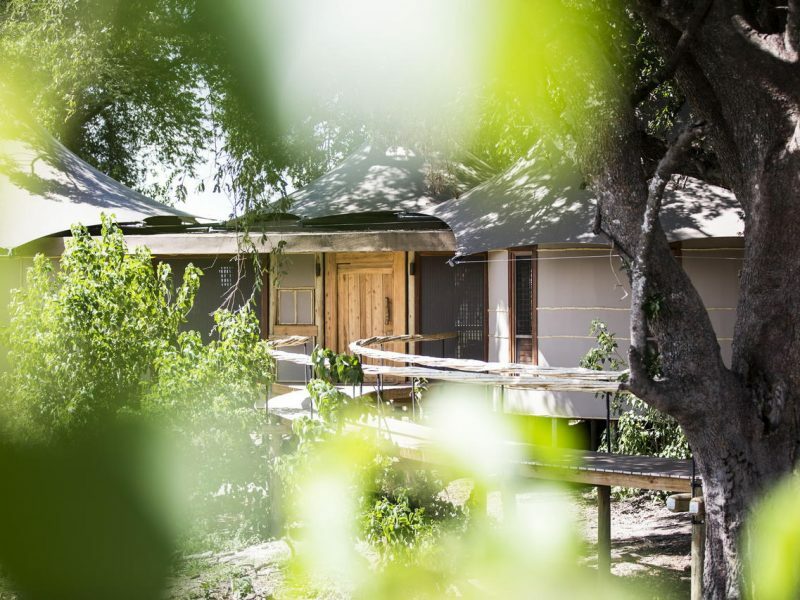 Specifically in the country’s Okavango Delta, which is a Unesco World Heritage Site, the strategy protects a pristine environment, while also ensuring a very exclusive experience. 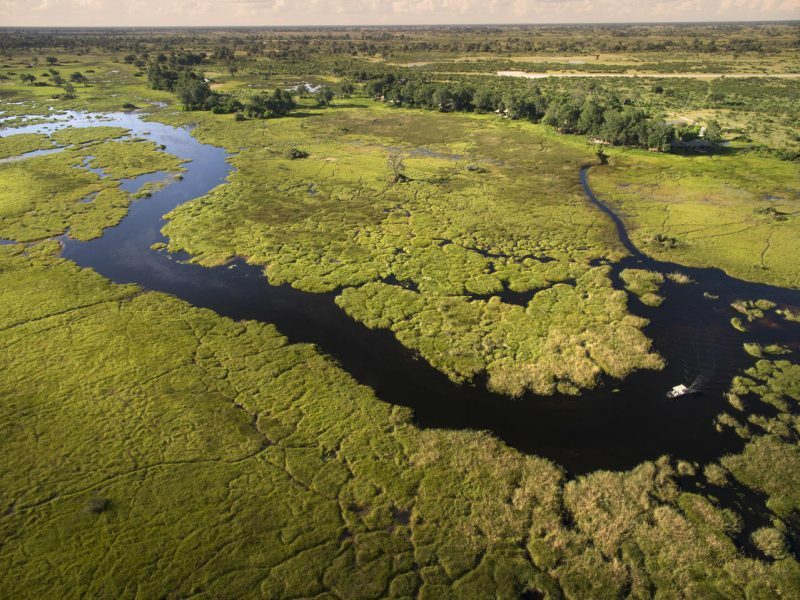 The Delta really warrants this strategy because it is such a sensitive environment. 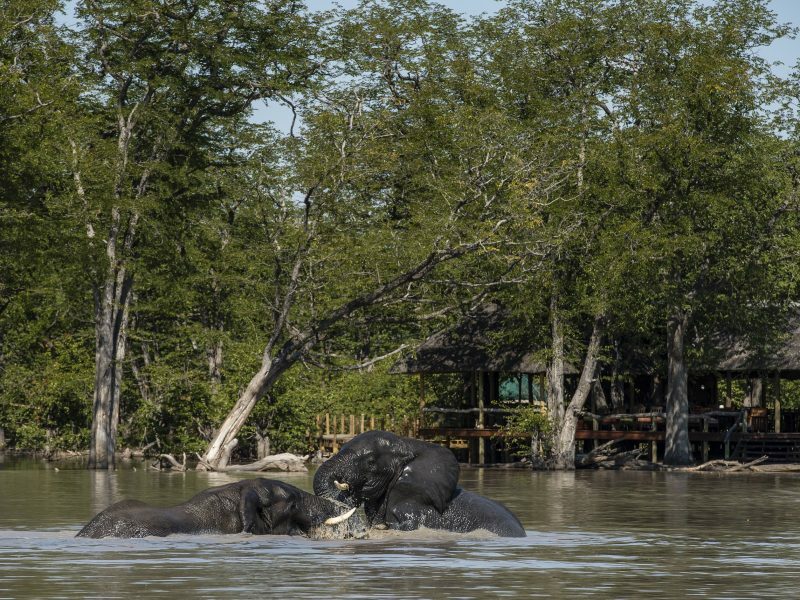 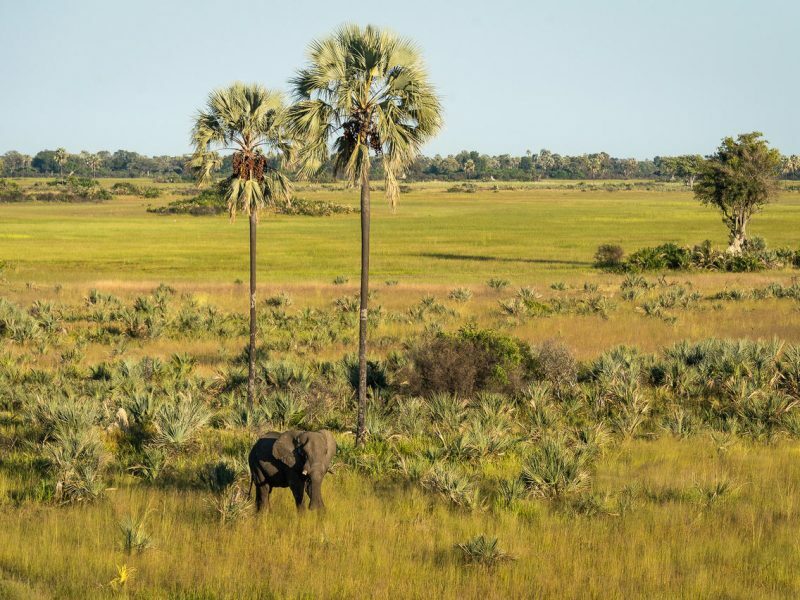 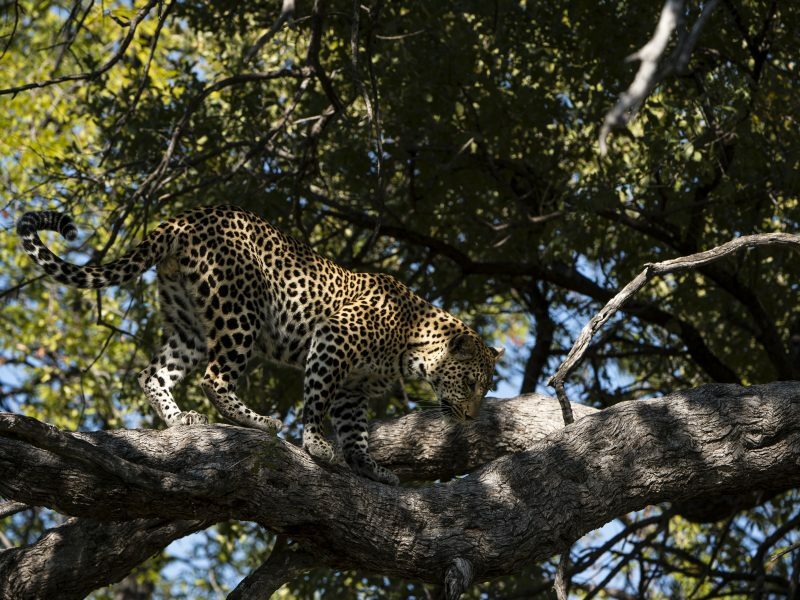 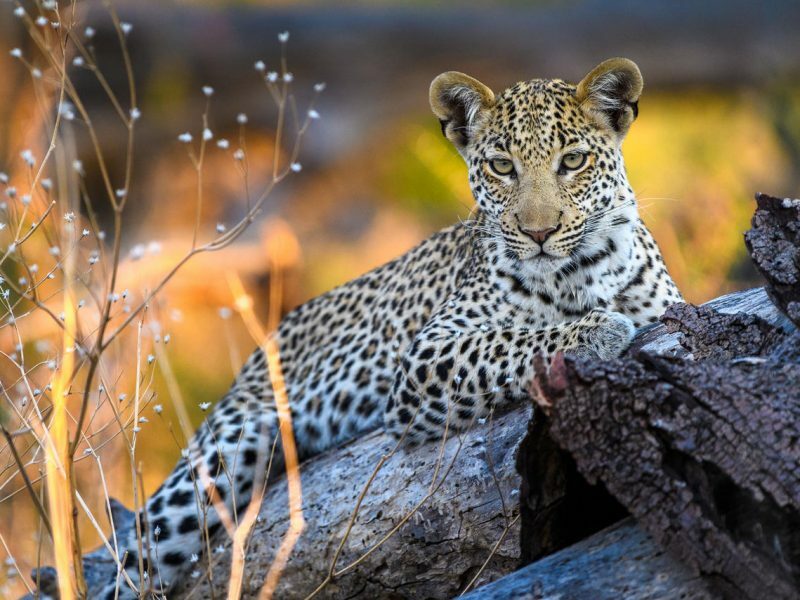 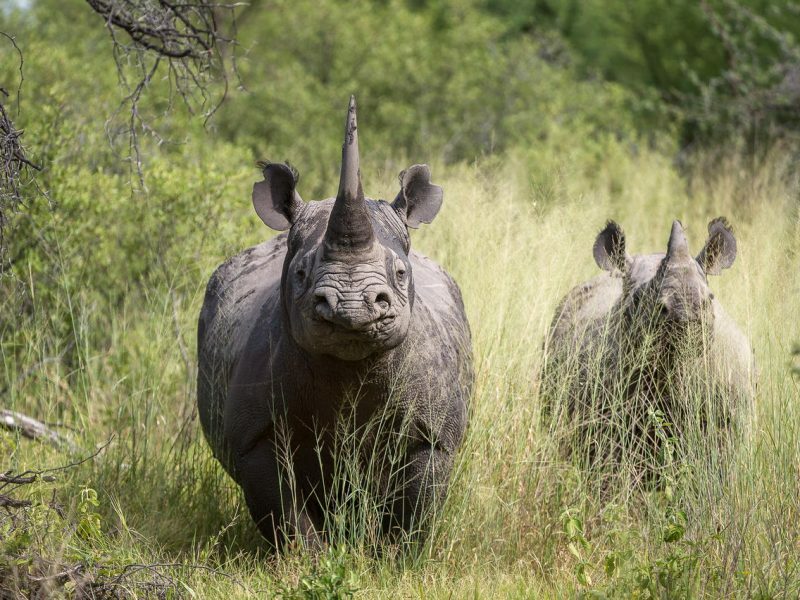 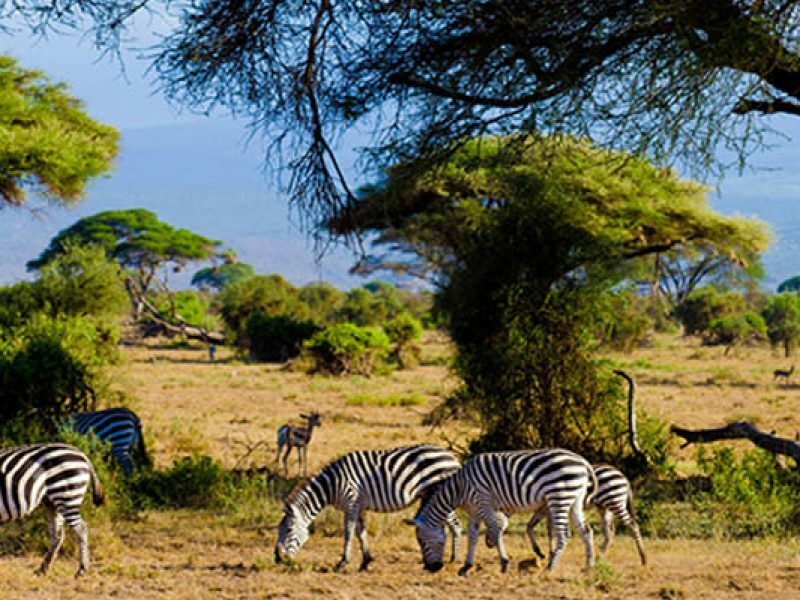 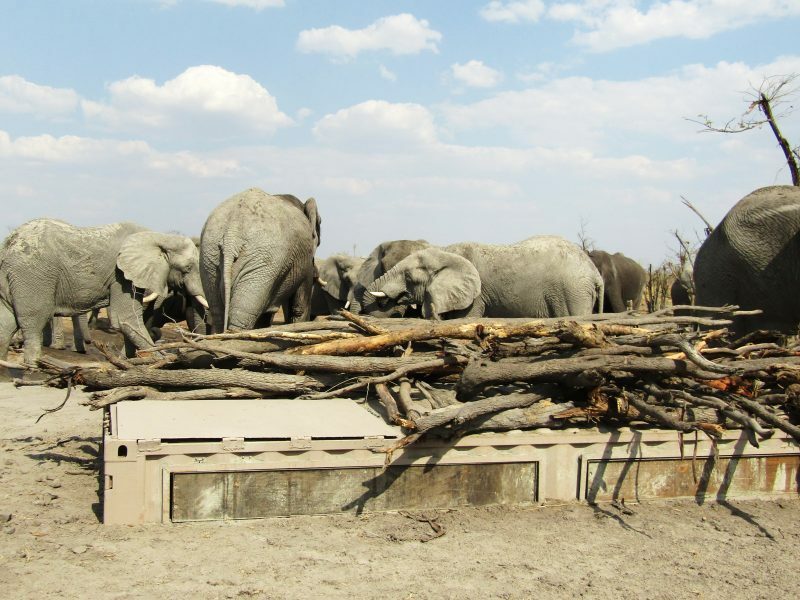 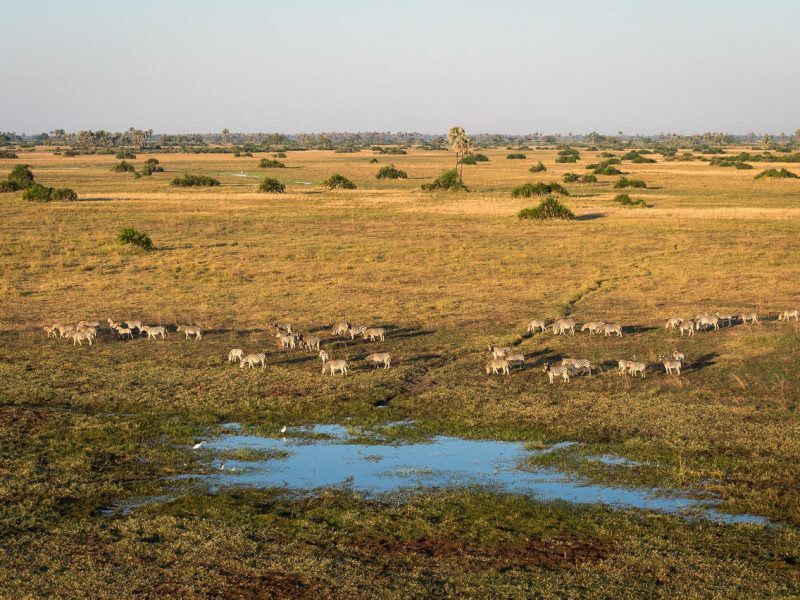 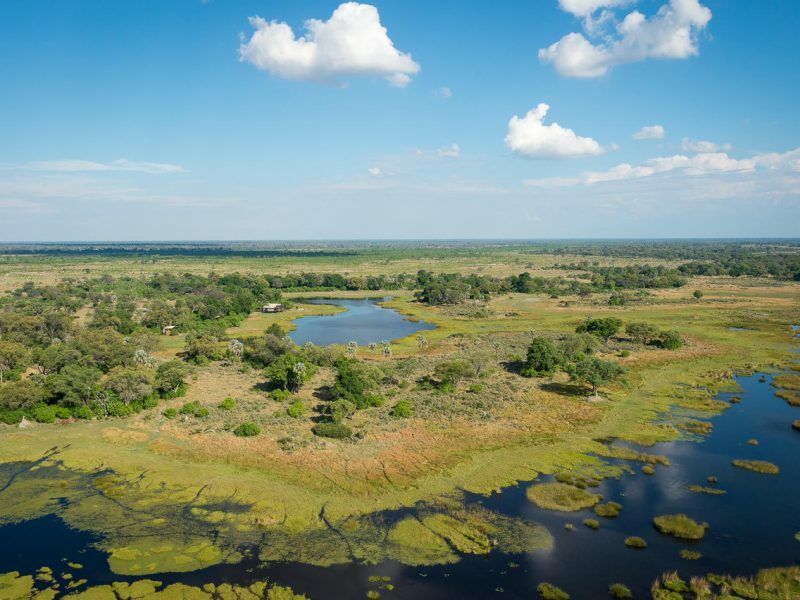 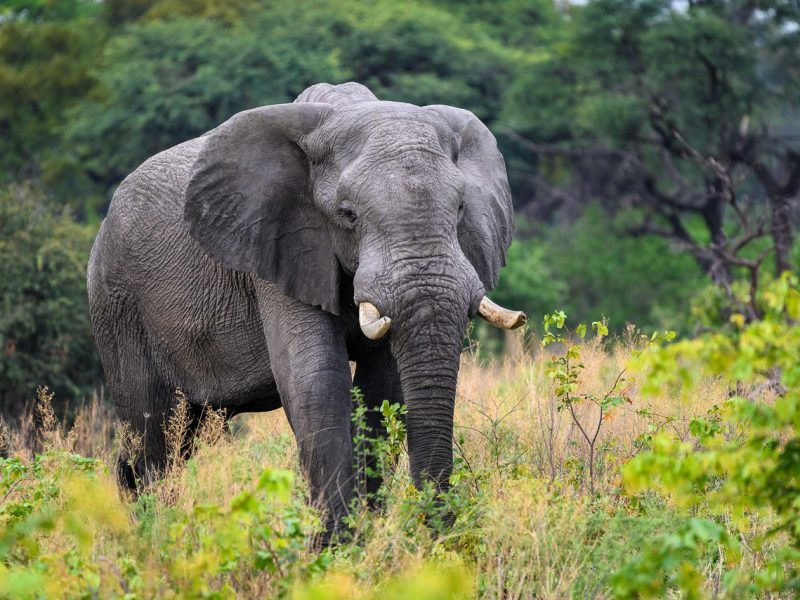 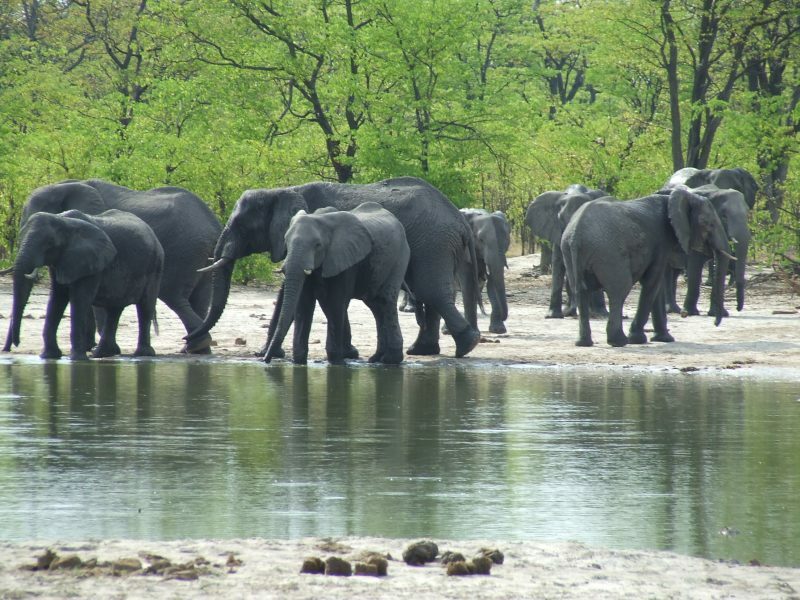 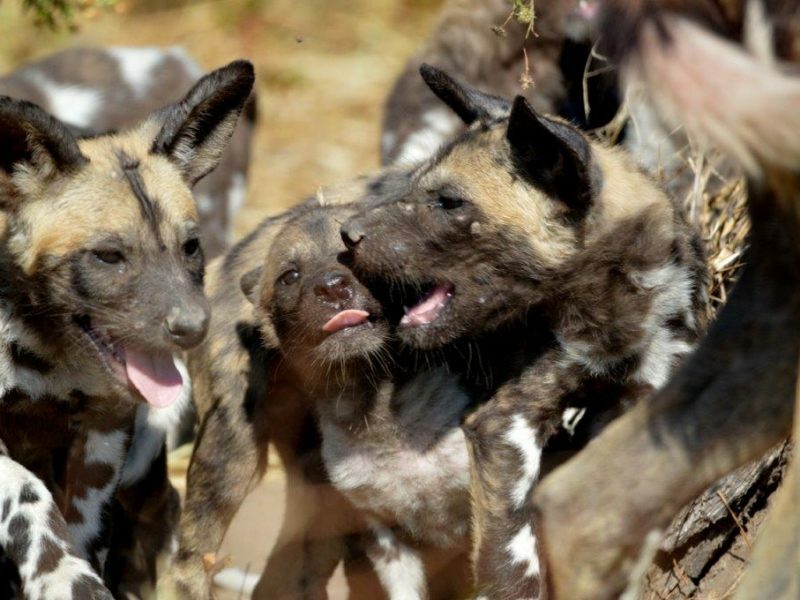 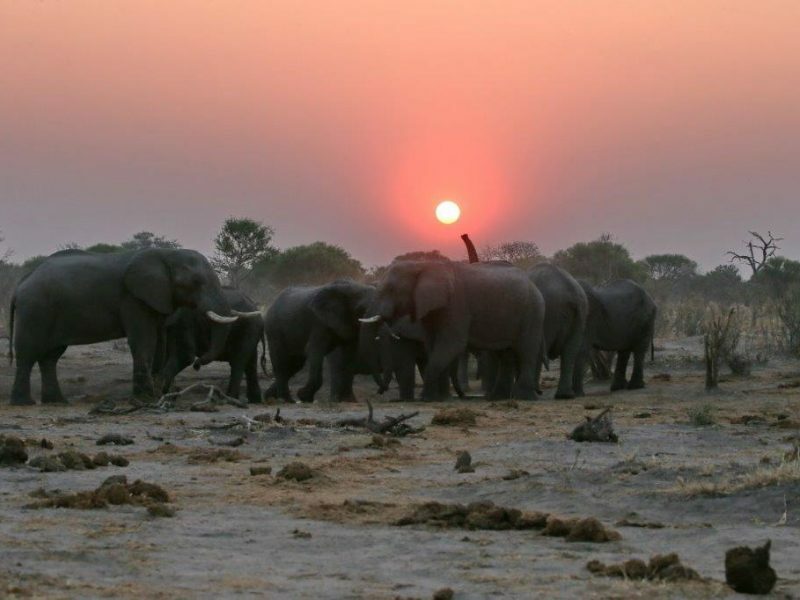 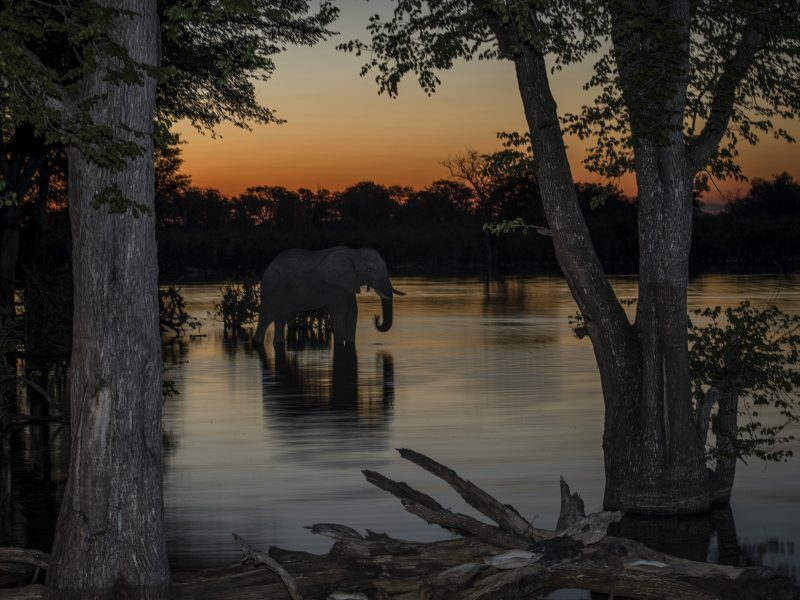 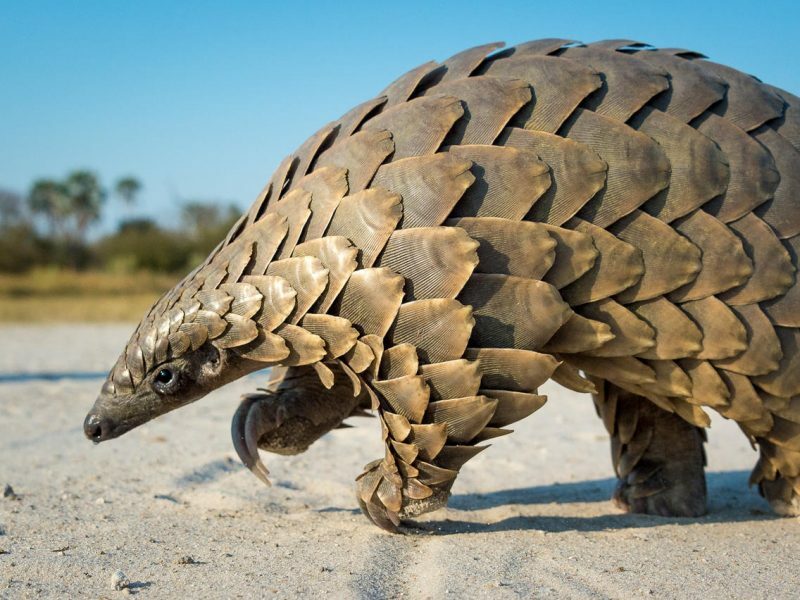 The Delta, and many of Botswana’s wilderness areas, is operated on a concession model, where operators lease an area from the country’s Land Board, giving them exclusive use of the area. 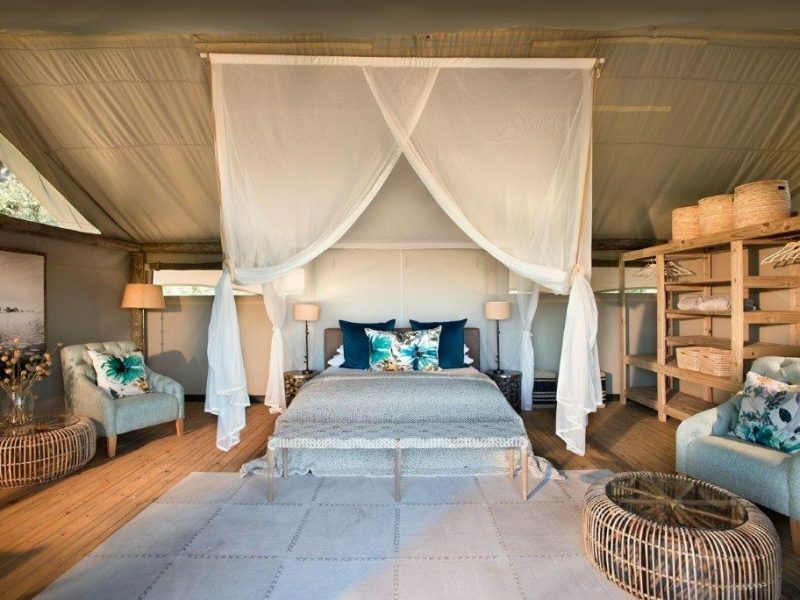 The concession model places strict limits on the number of beds and vehicles within an area. 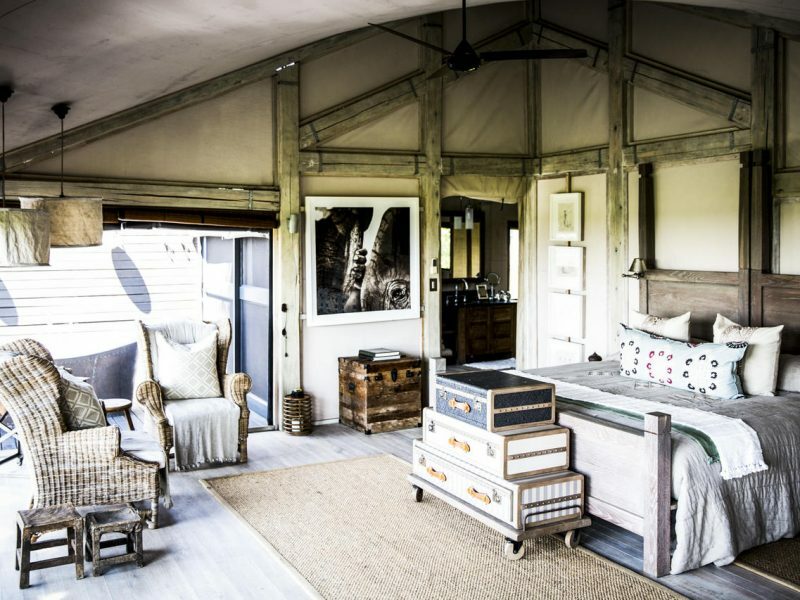 within a concession, an operator will be granted a certain number of beds and a certain number of vehicles. 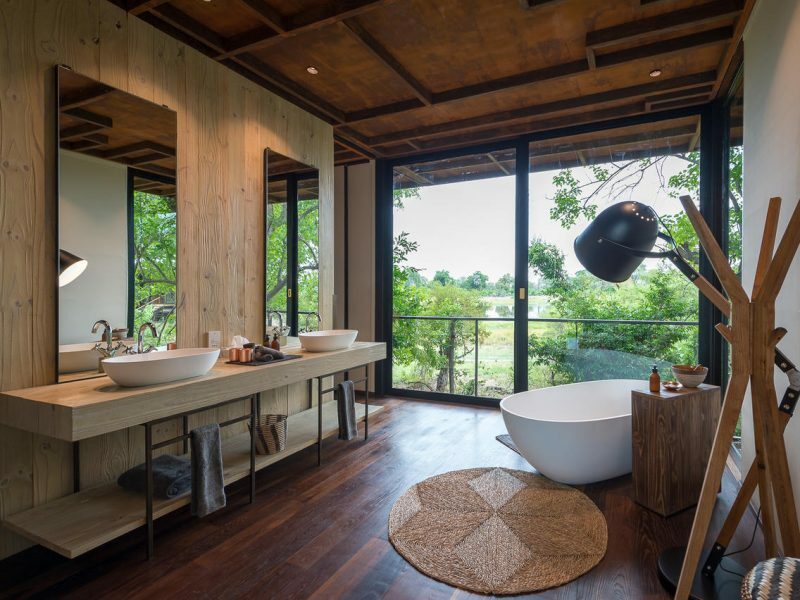 These numbers are based on ensuring a sustainable and minimal footprint in the area. 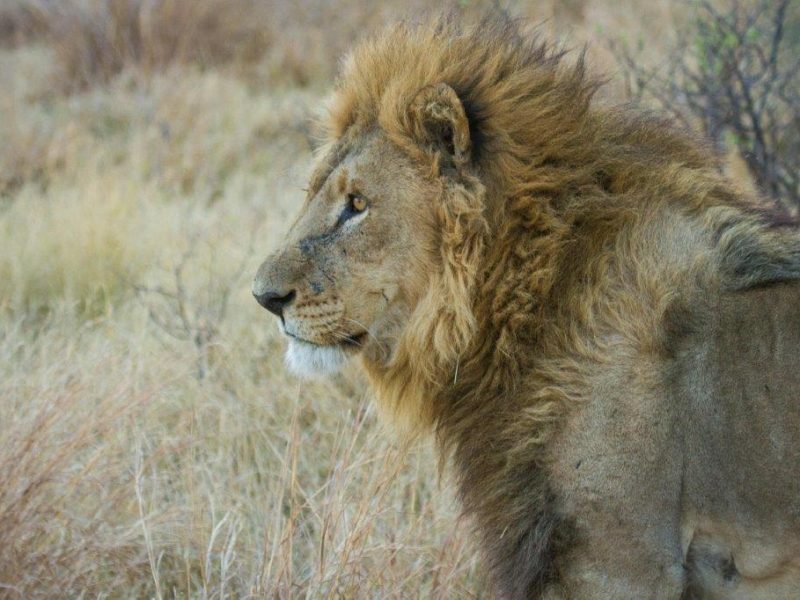 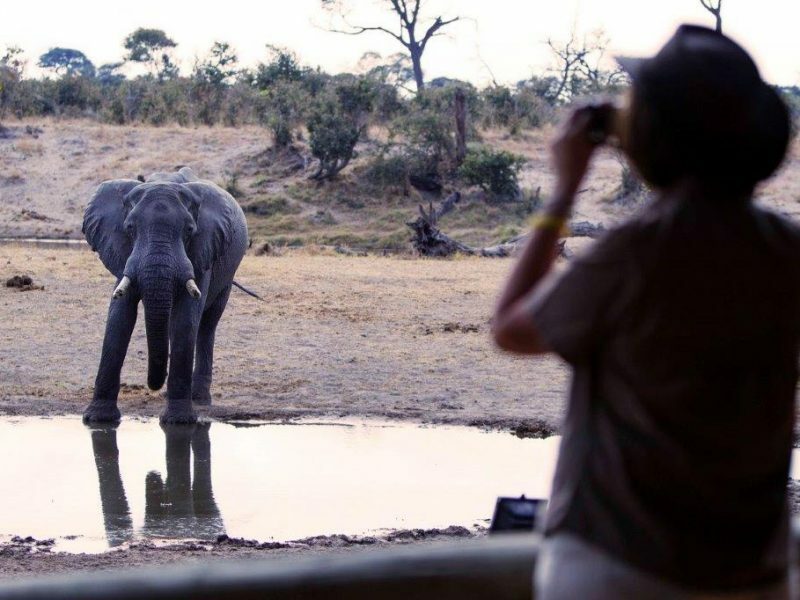 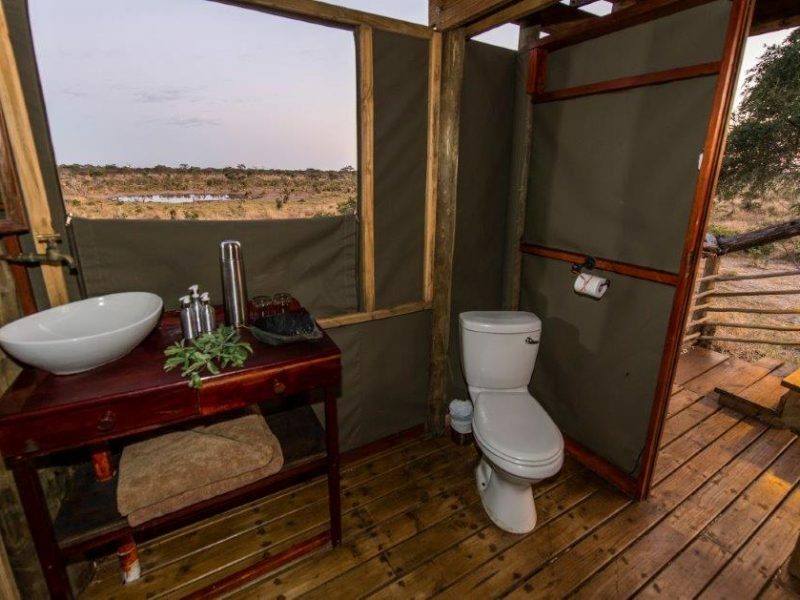 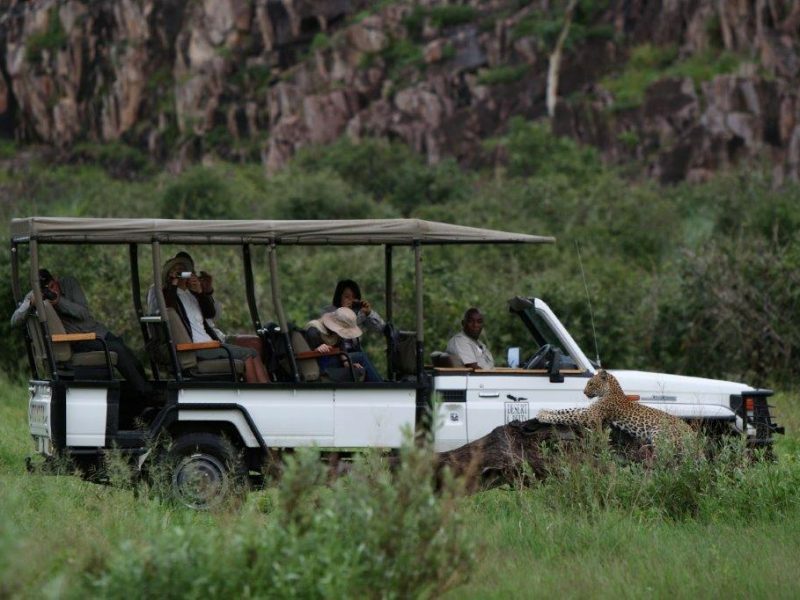 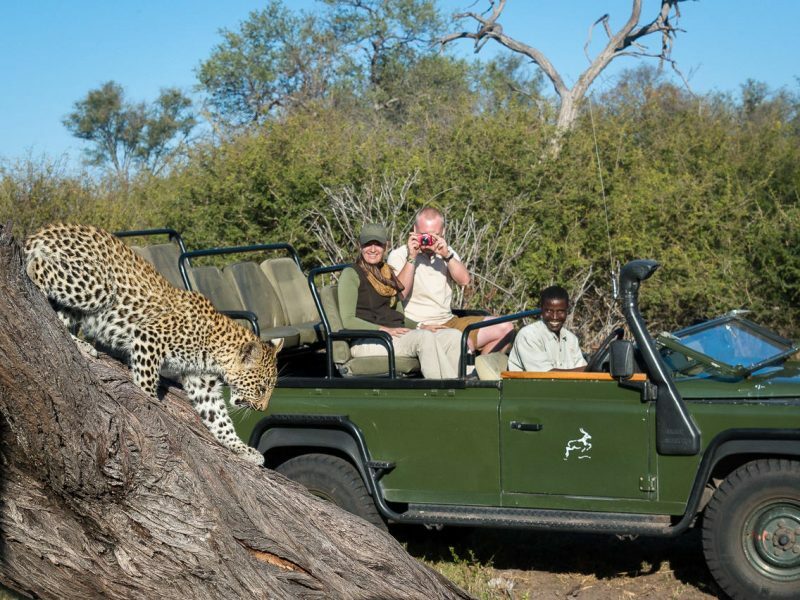 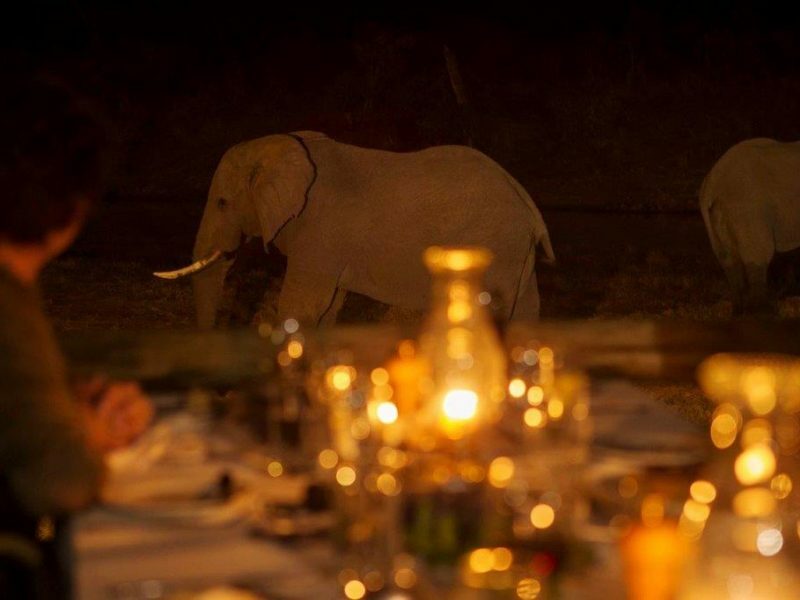 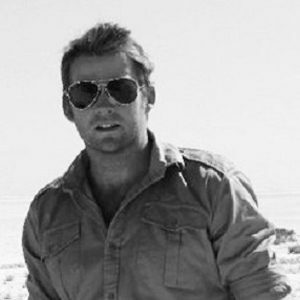 The result is that guests can often enjoy big game sightings to themselves. 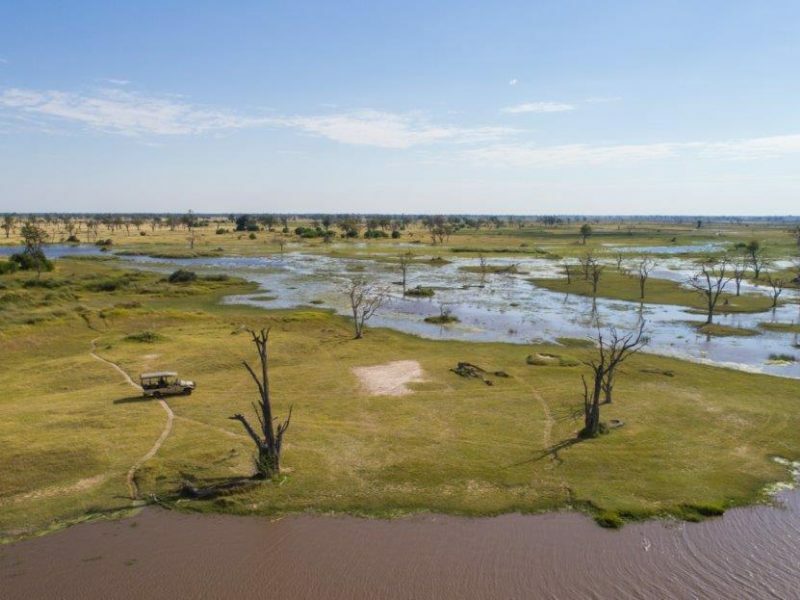 Because there are so few vehicles in such large areas, the Delta doesn’t seem busy. 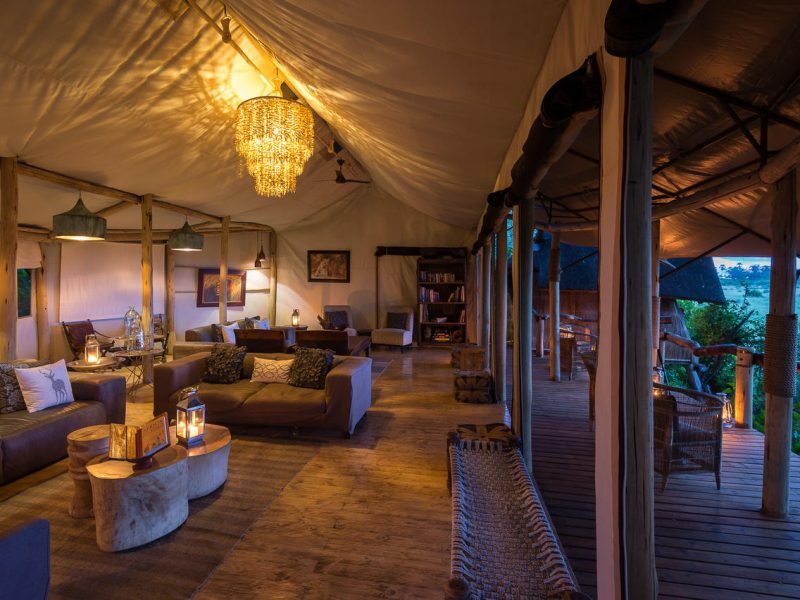 For example, The Abu Concession is roughly 180 000 hectares and has two lodges: Seba Camp and Abu Camp. 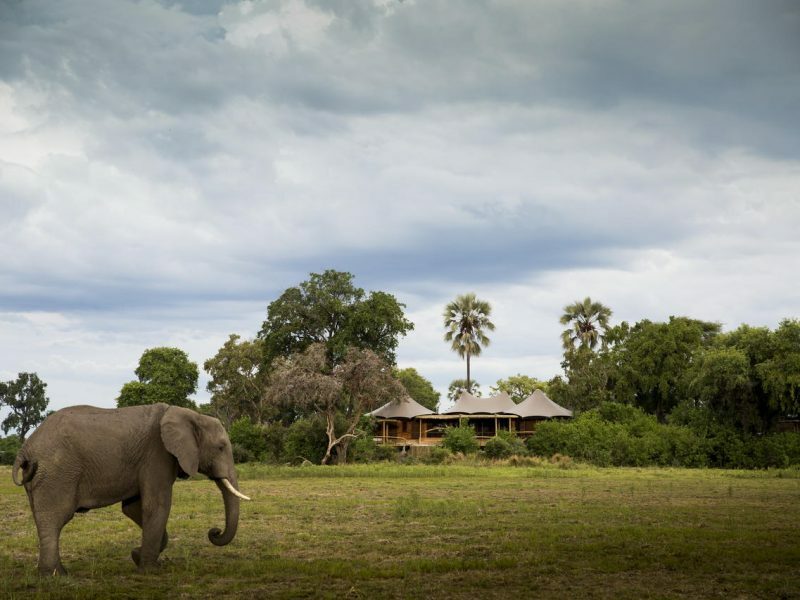 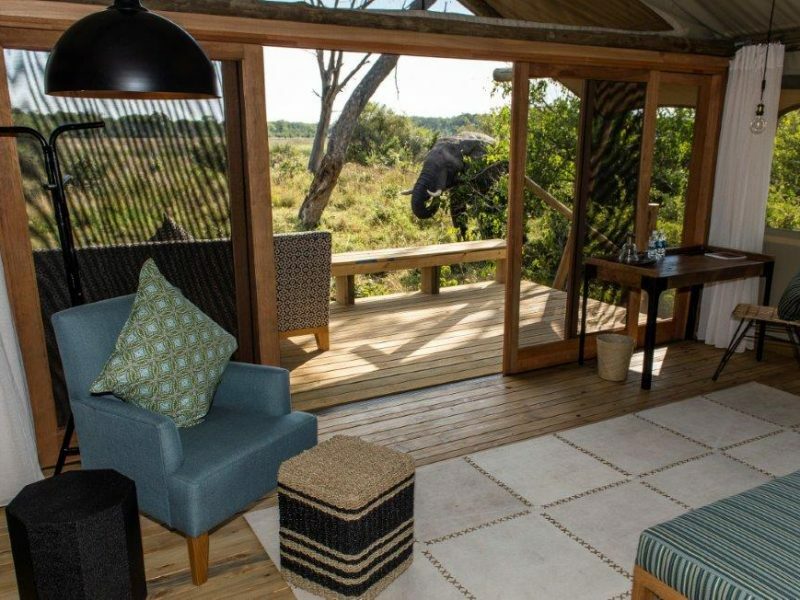 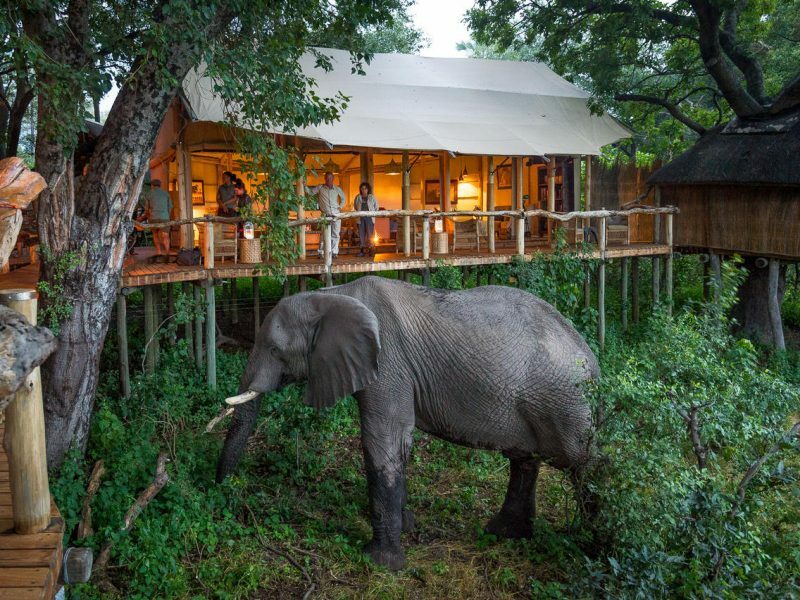 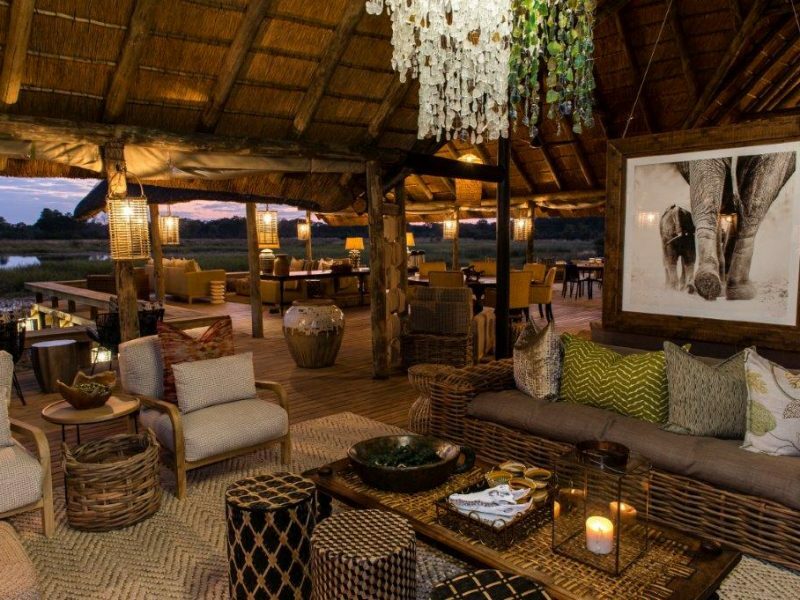 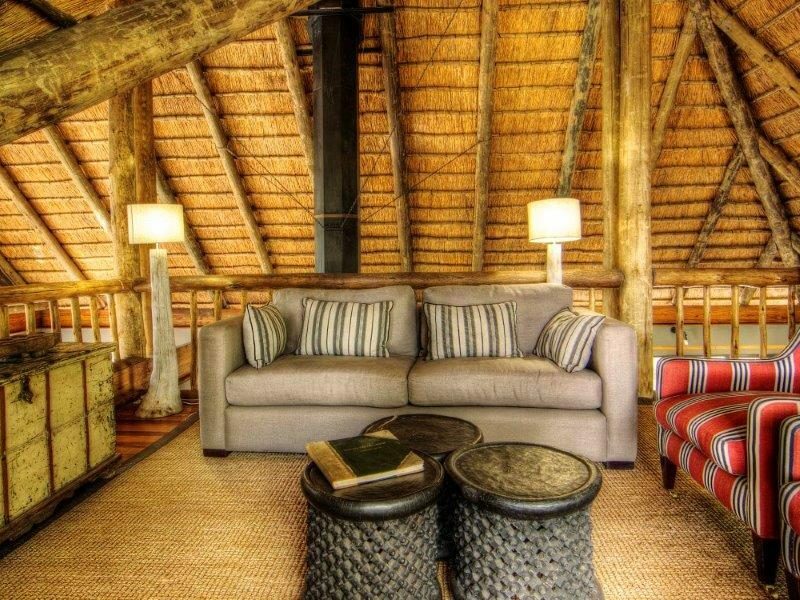 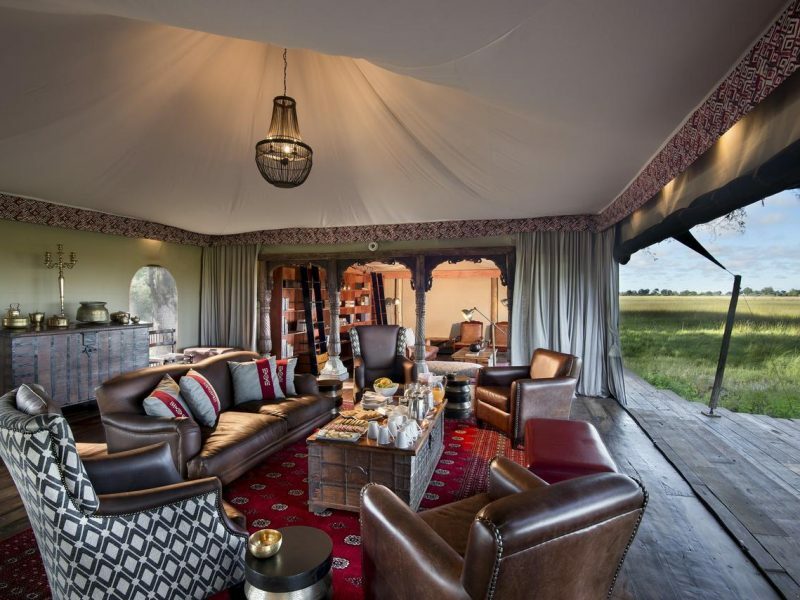 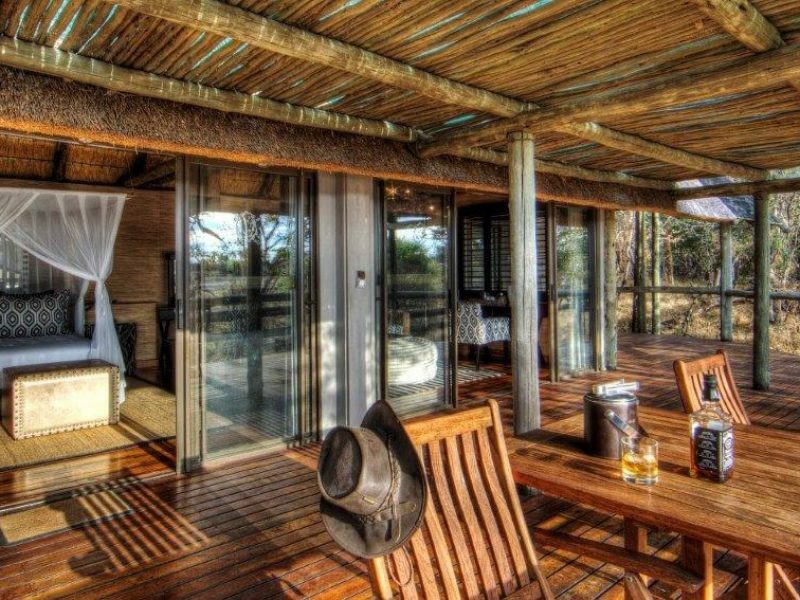 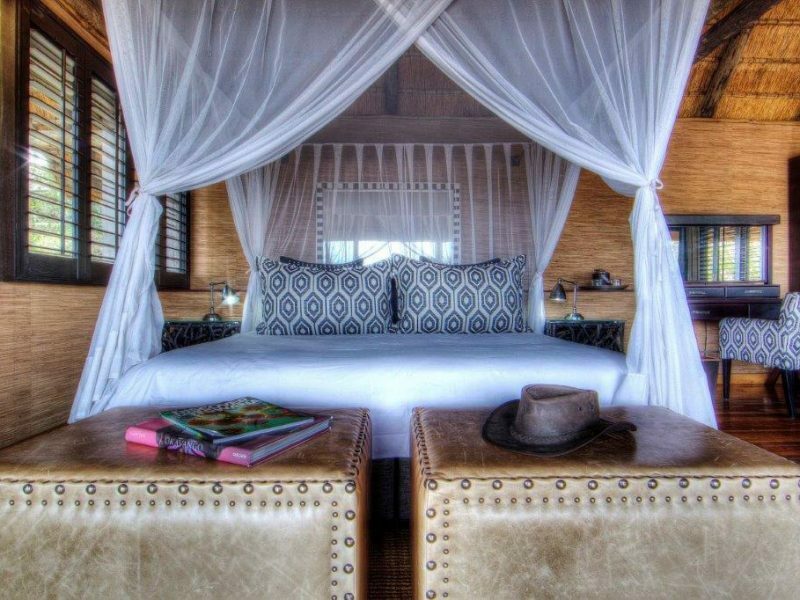 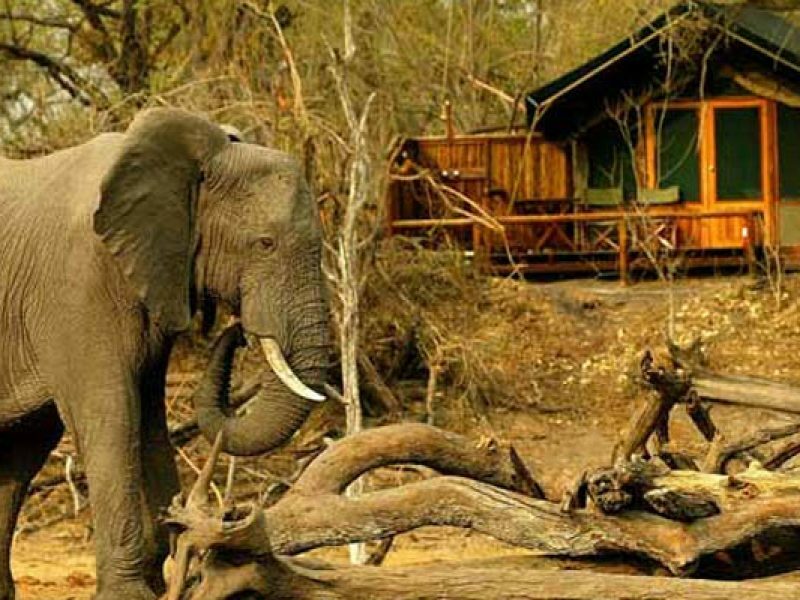 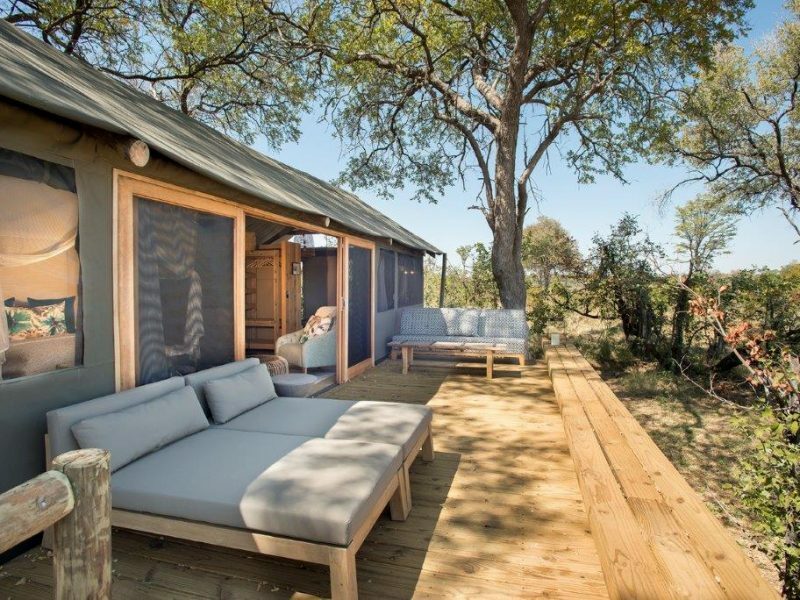 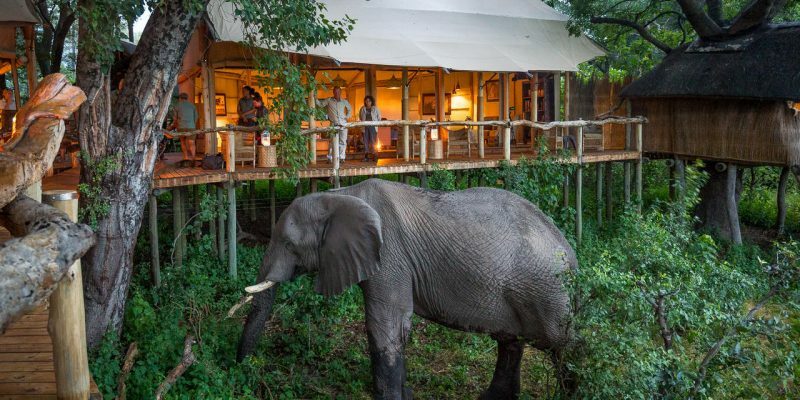 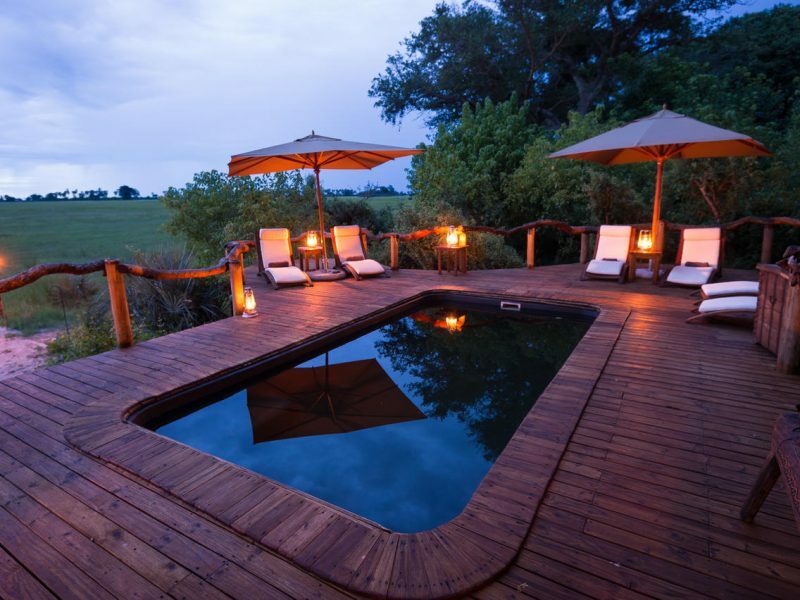 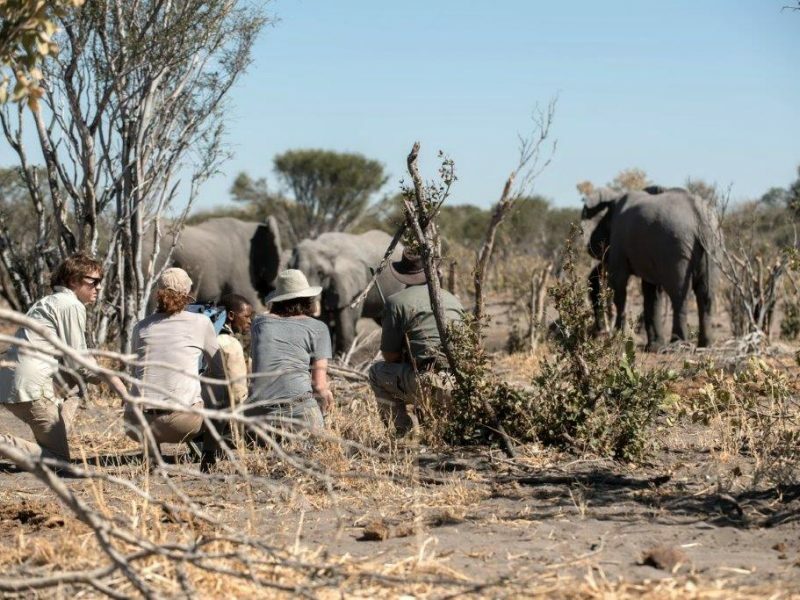 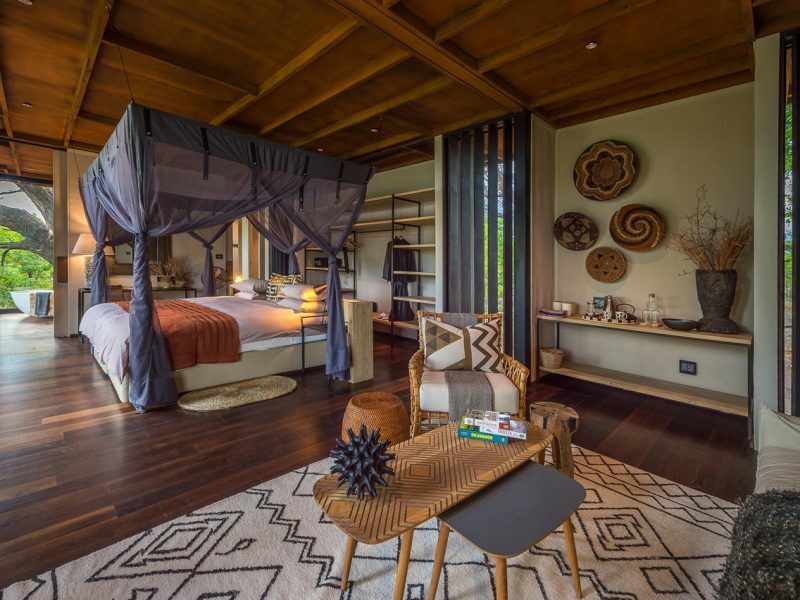 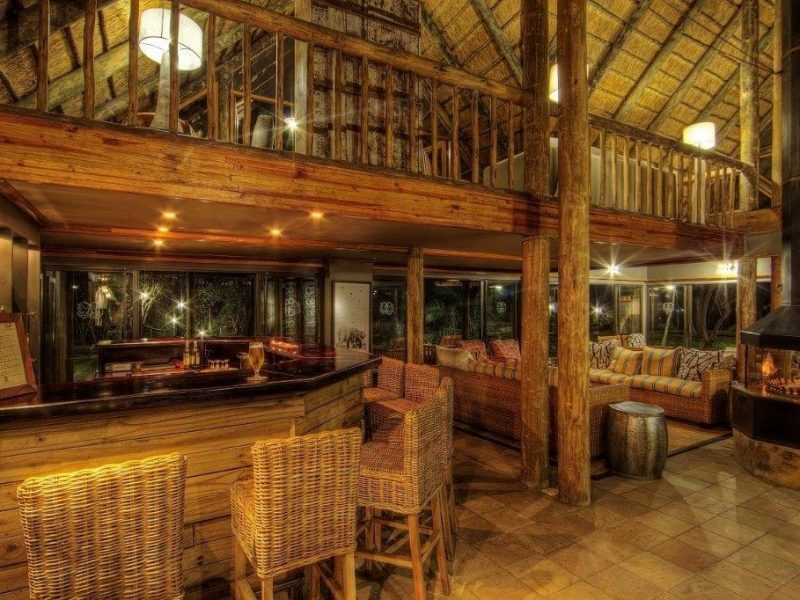 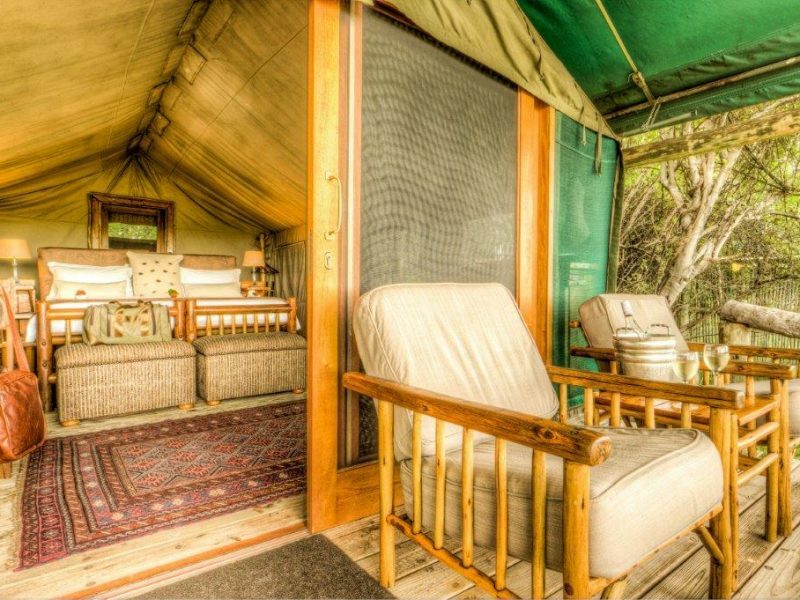 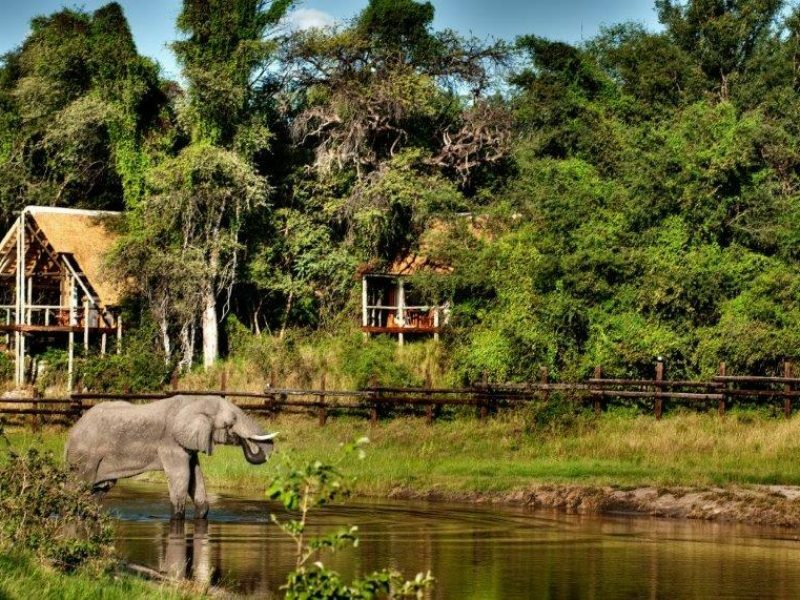 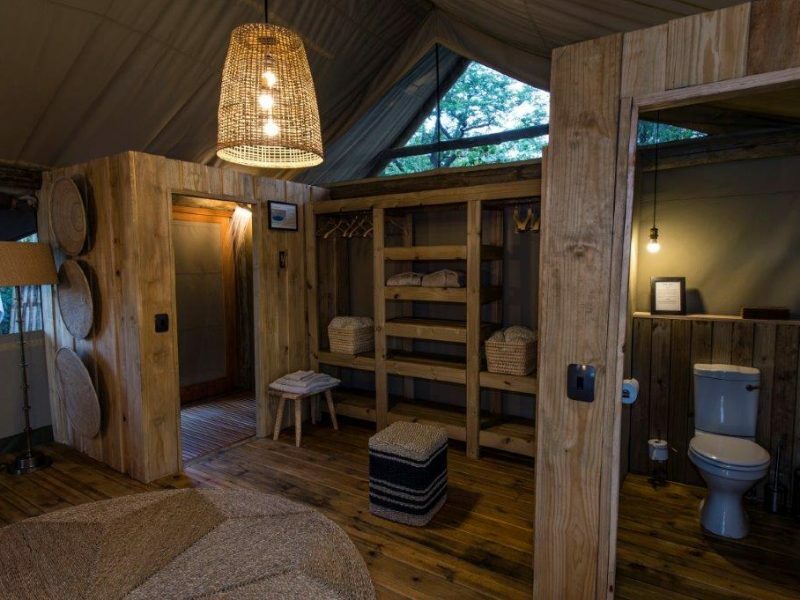 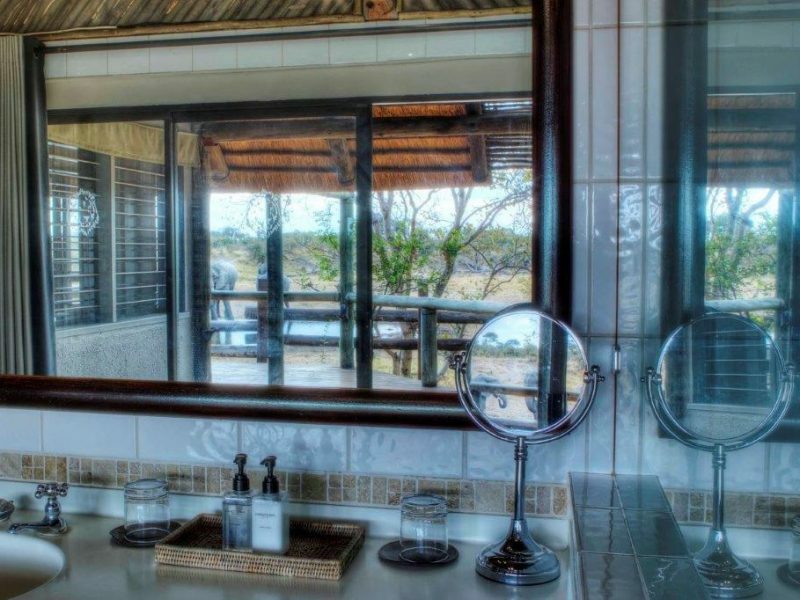 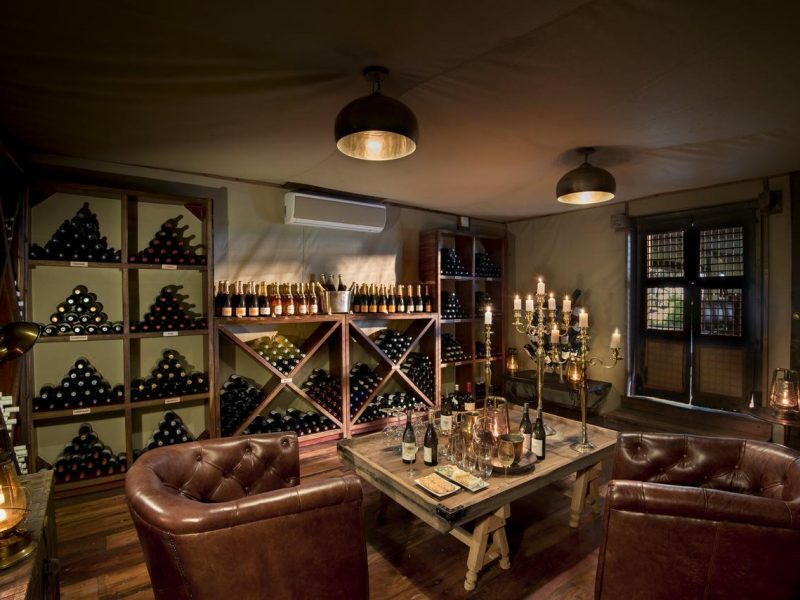 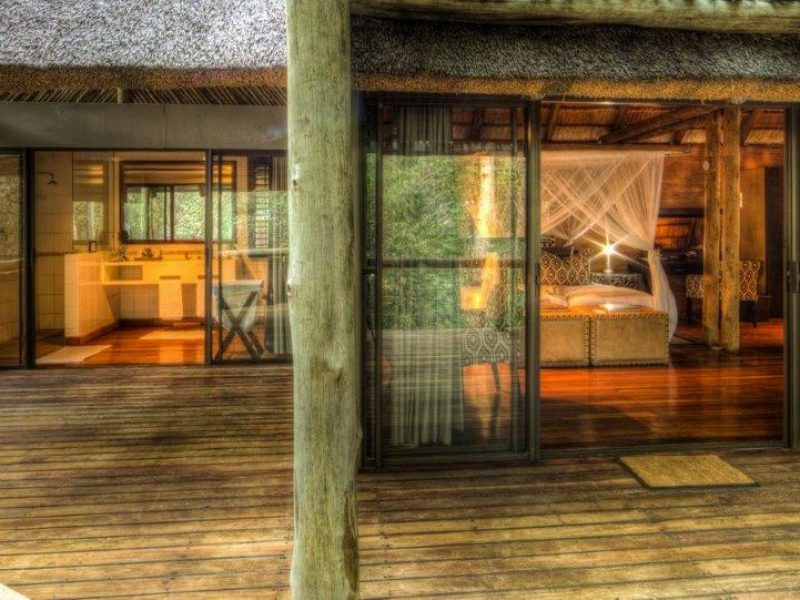 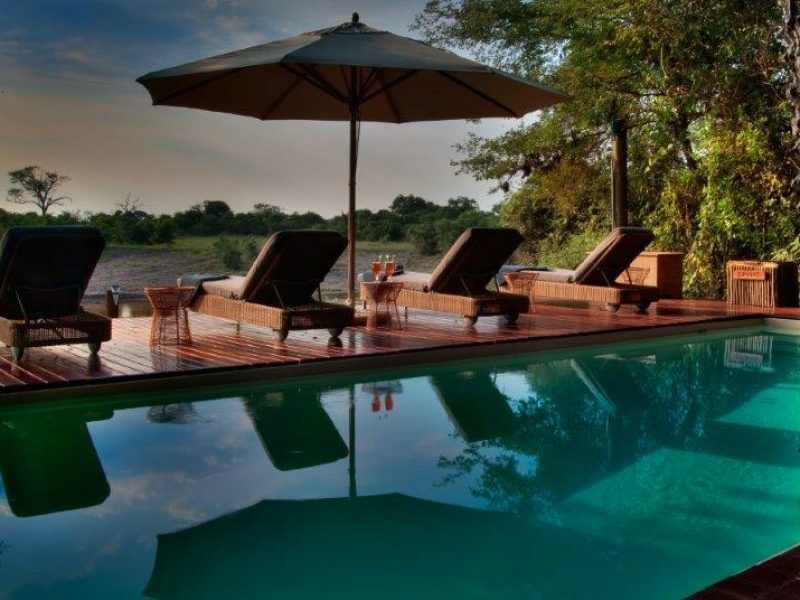 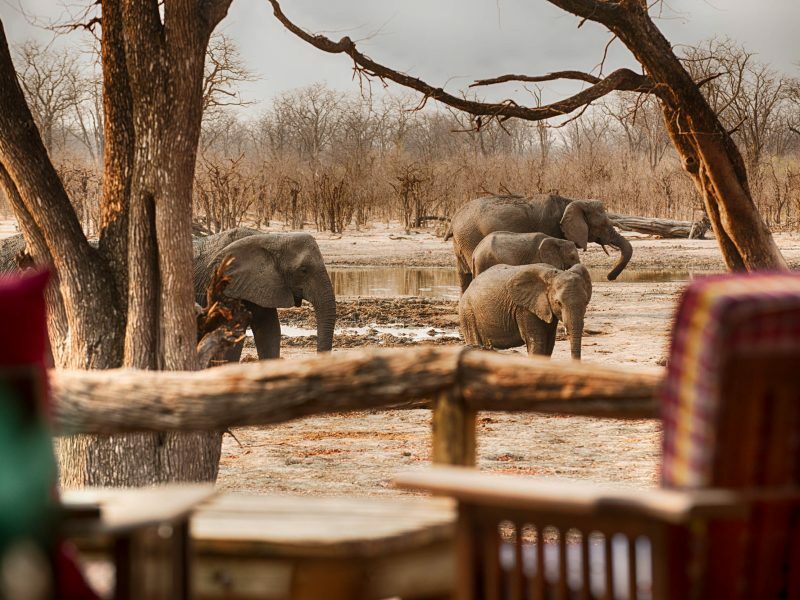 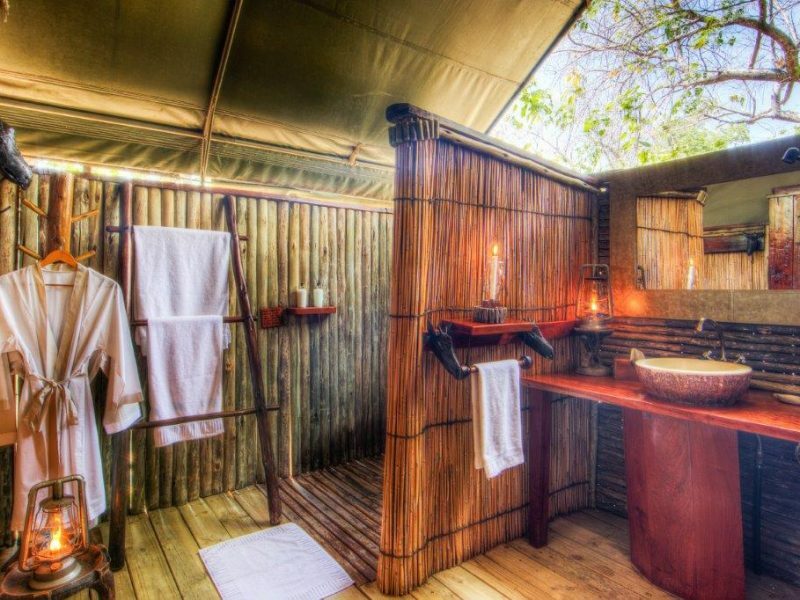 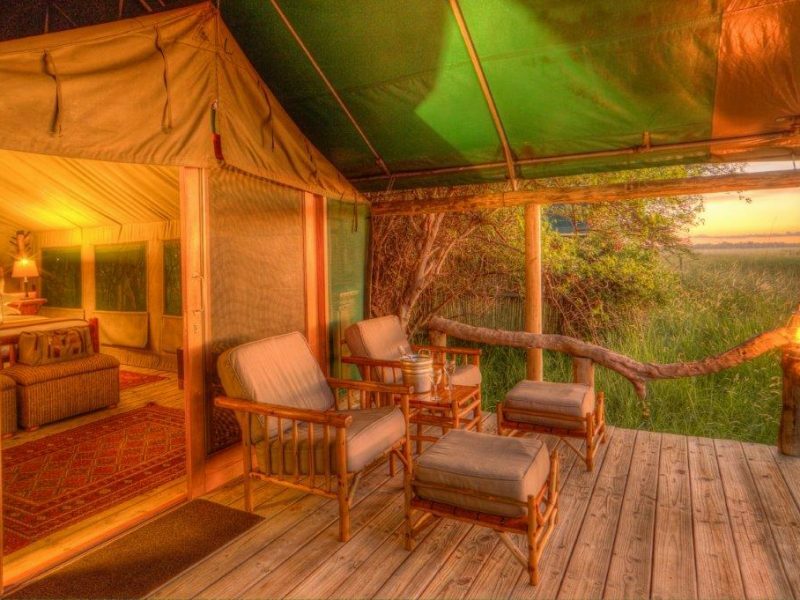 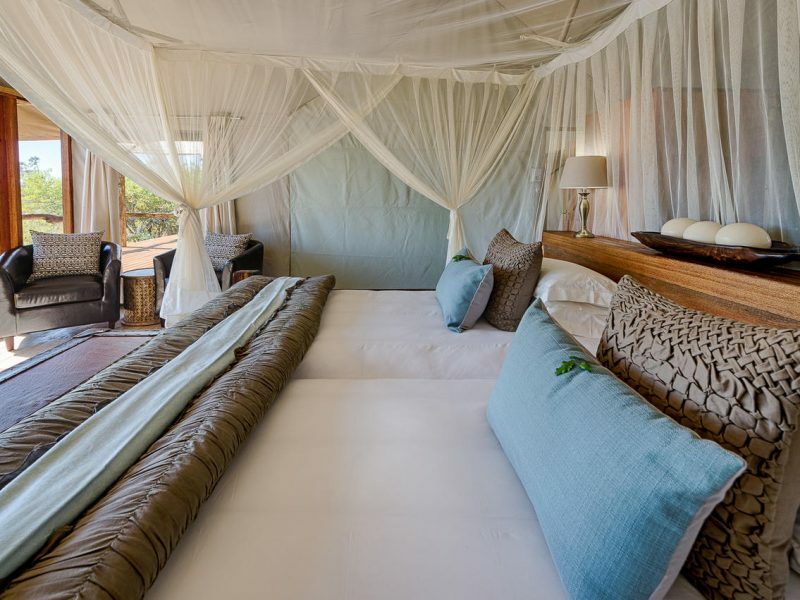 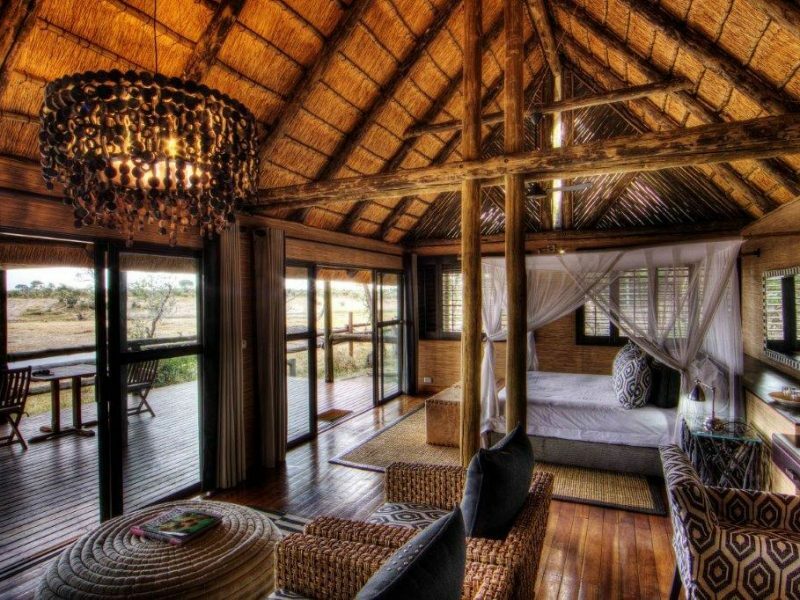 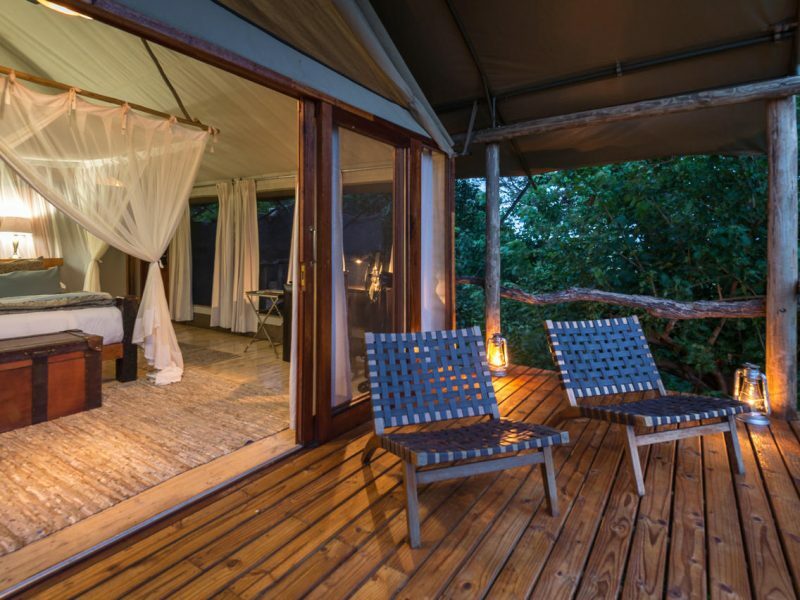 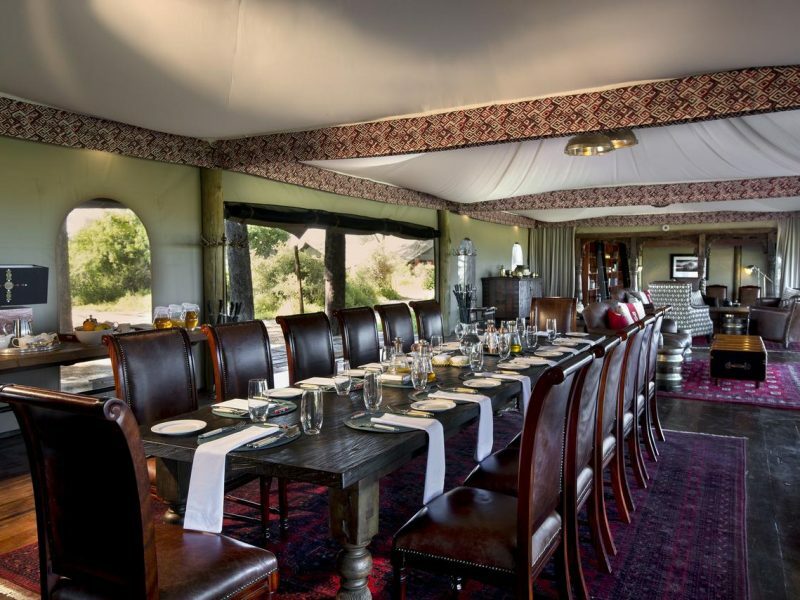 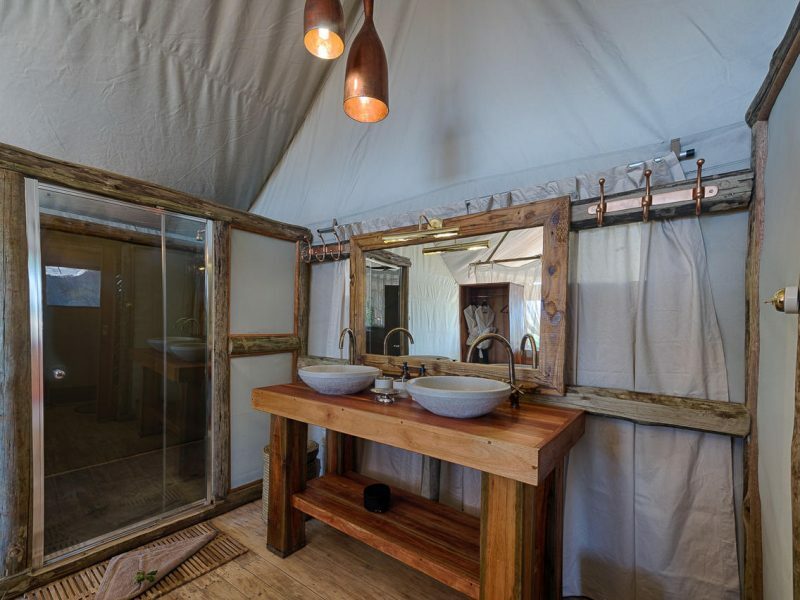 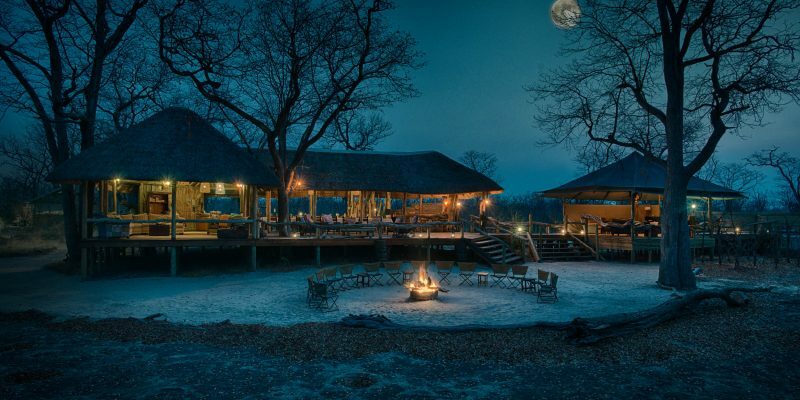 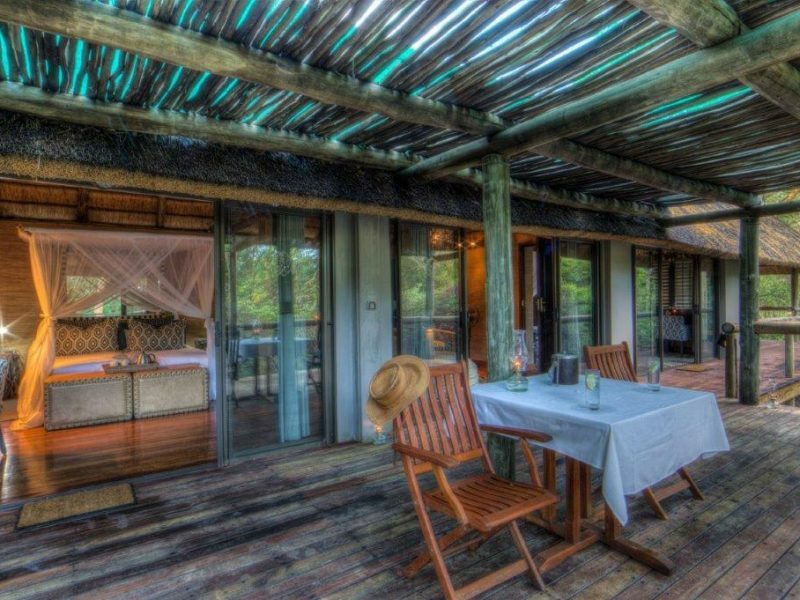 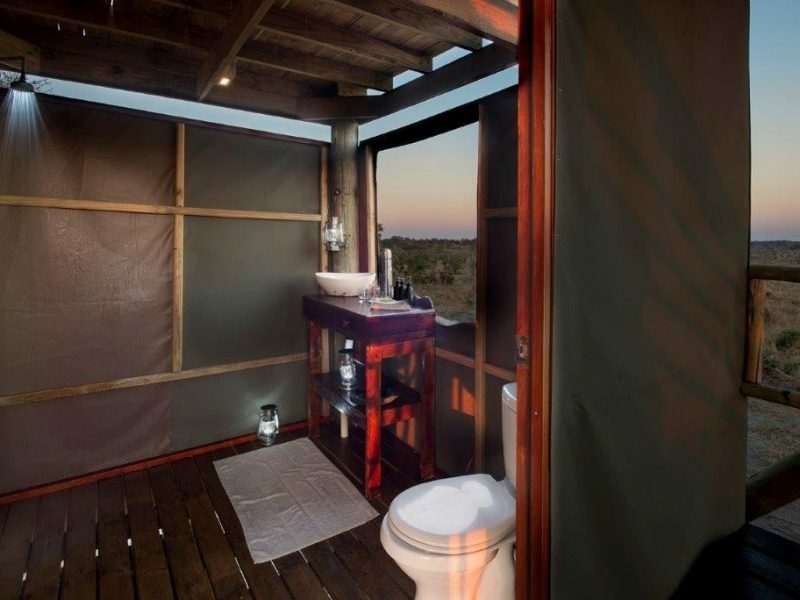 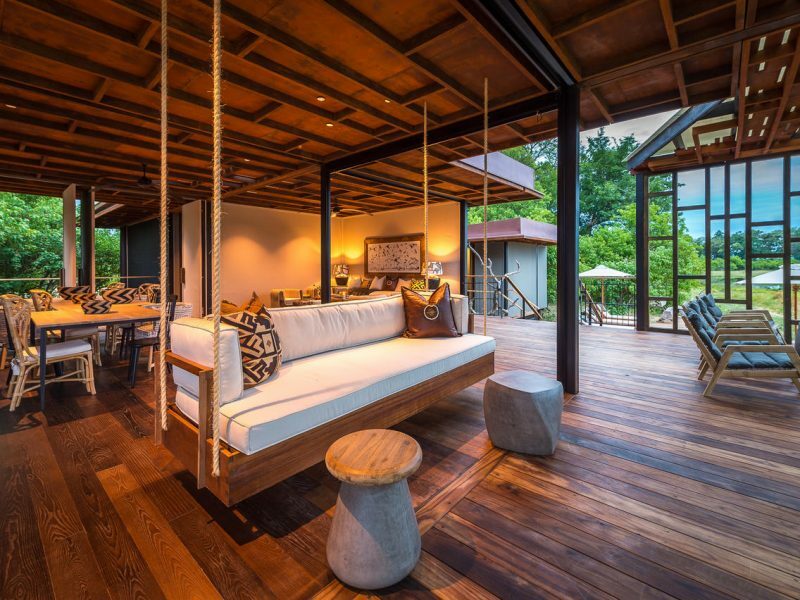 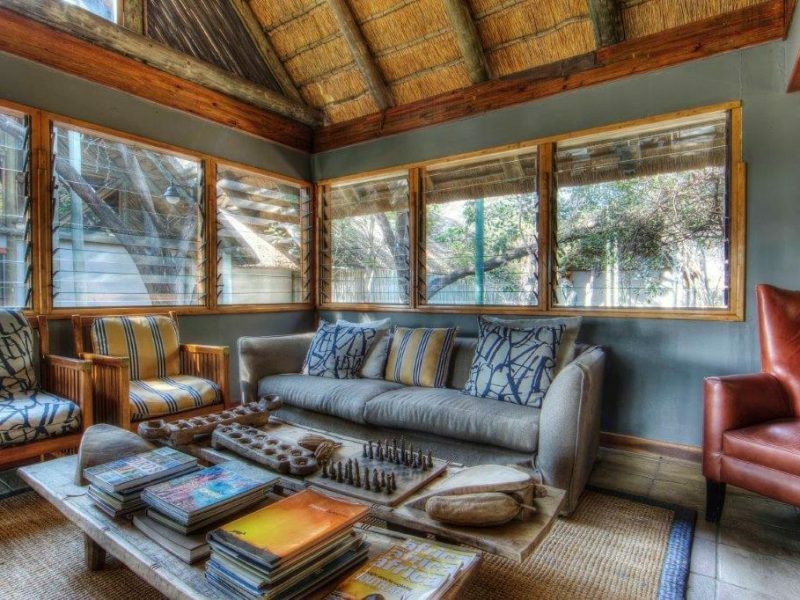 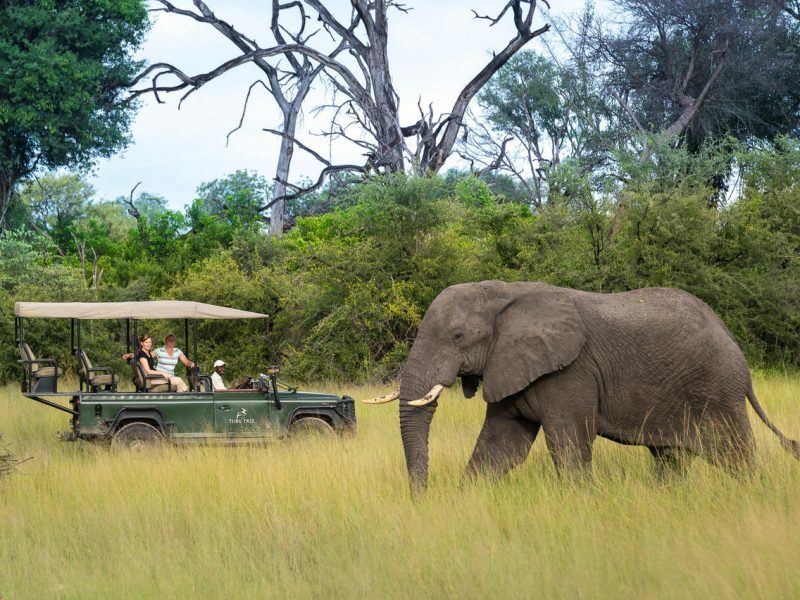 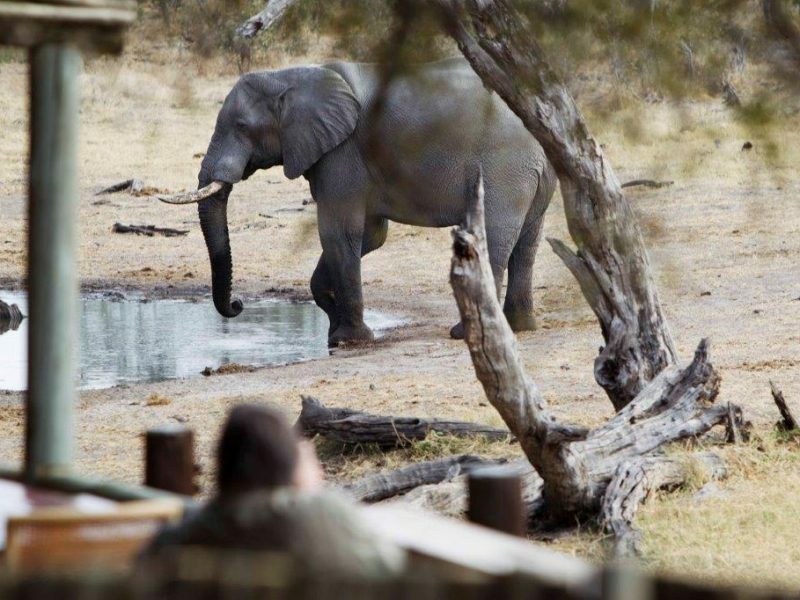 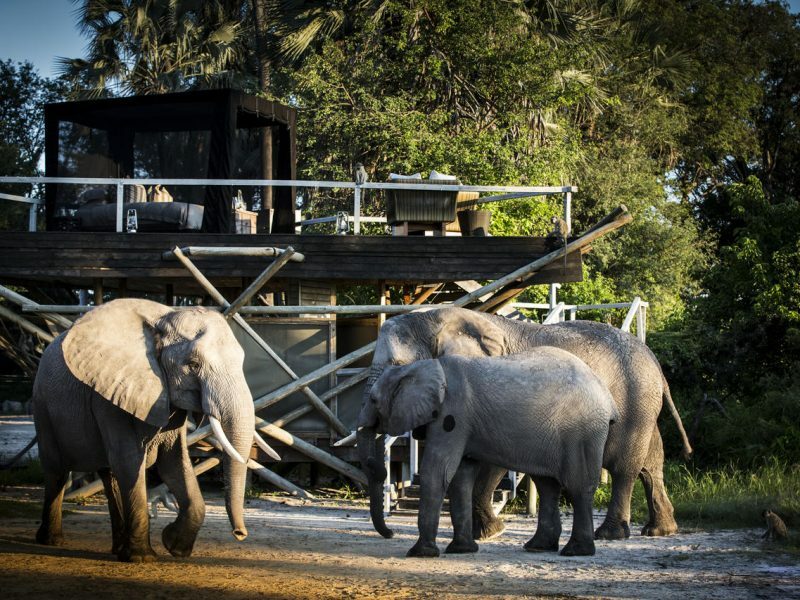 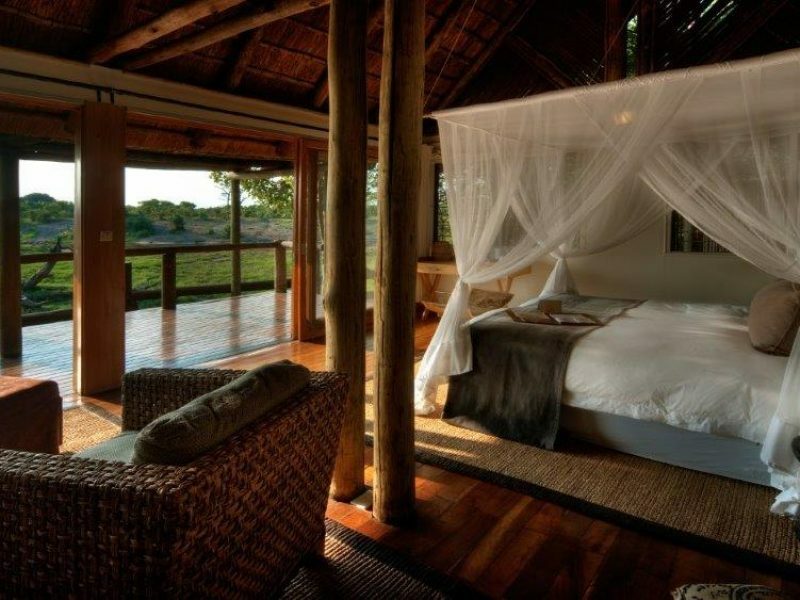 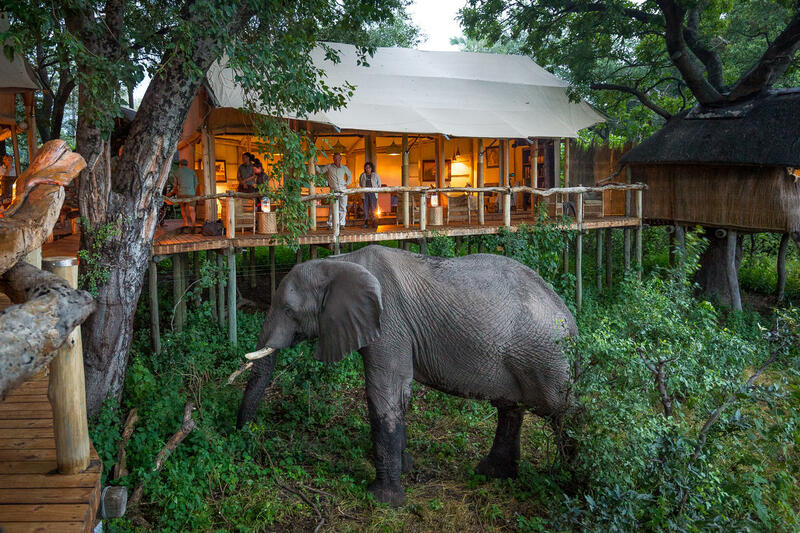 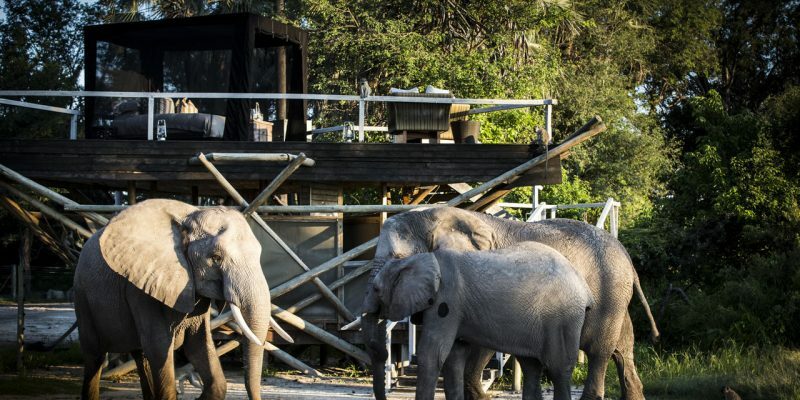 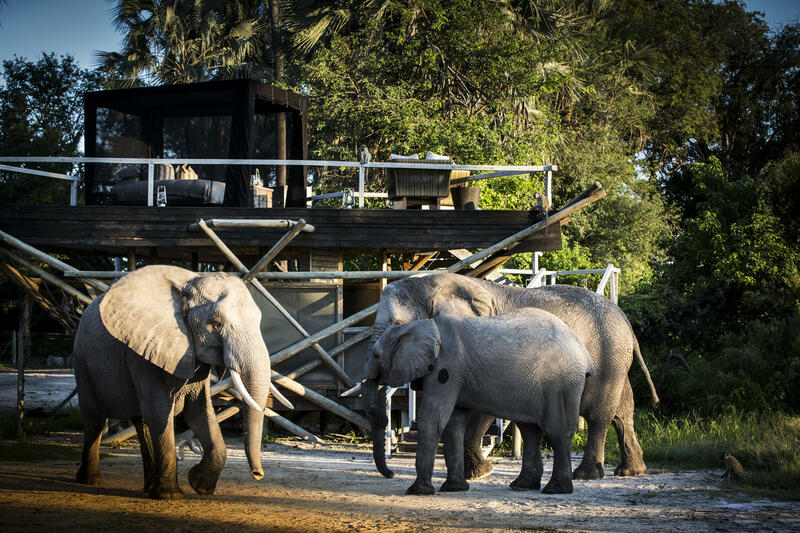 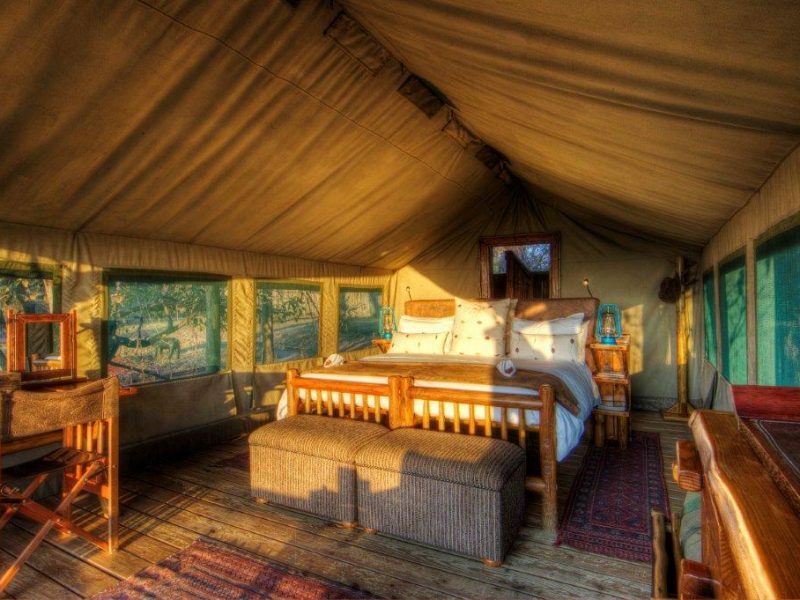 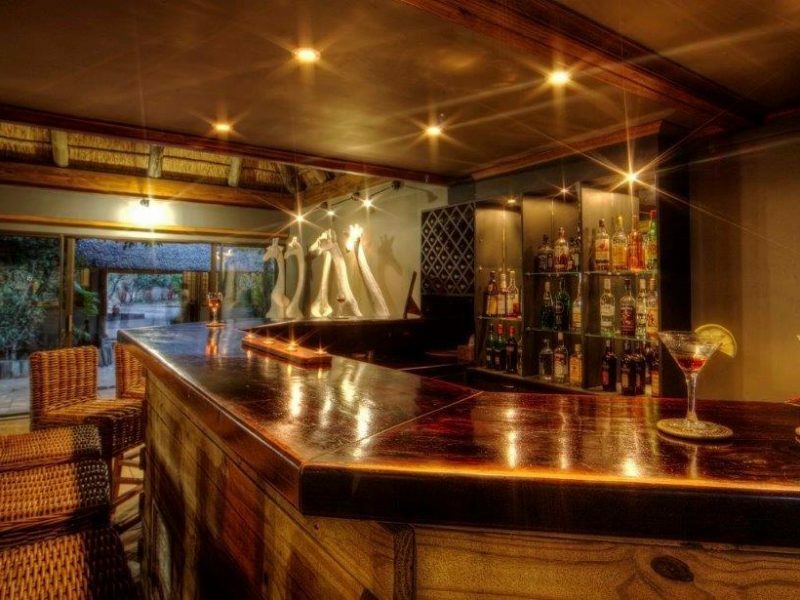 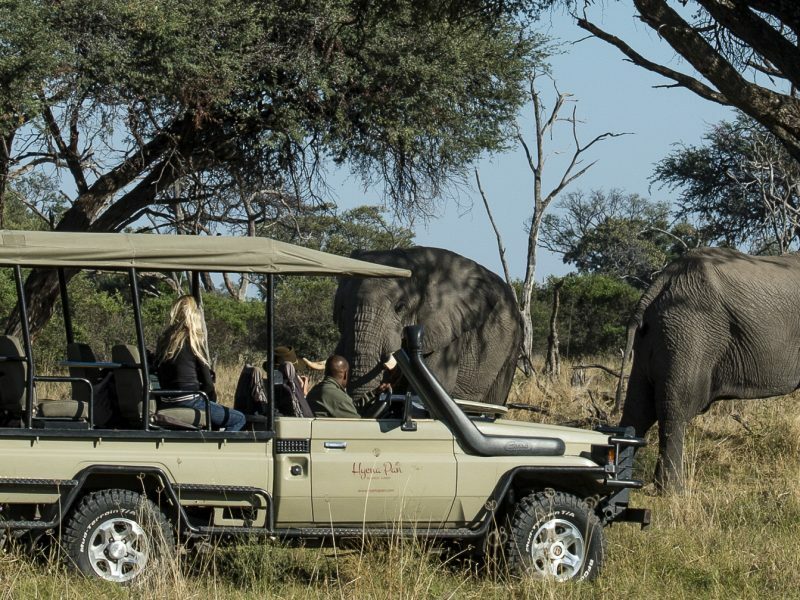 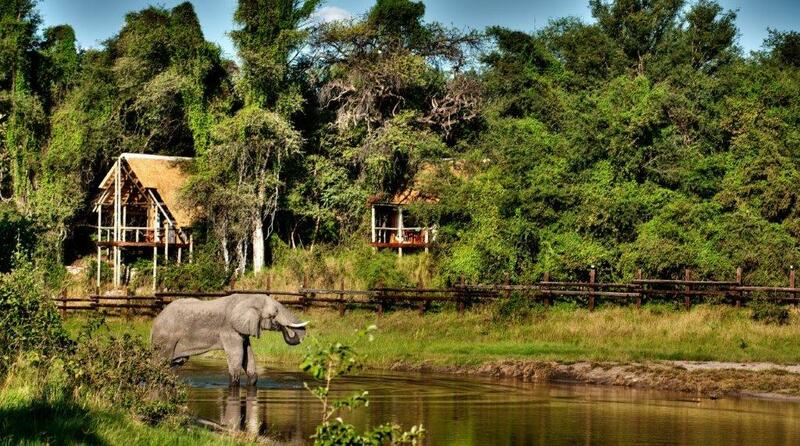 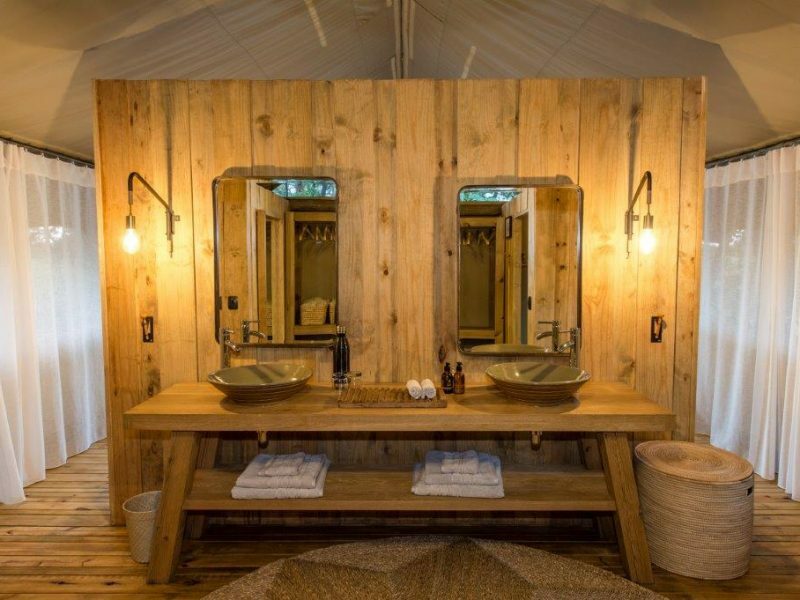 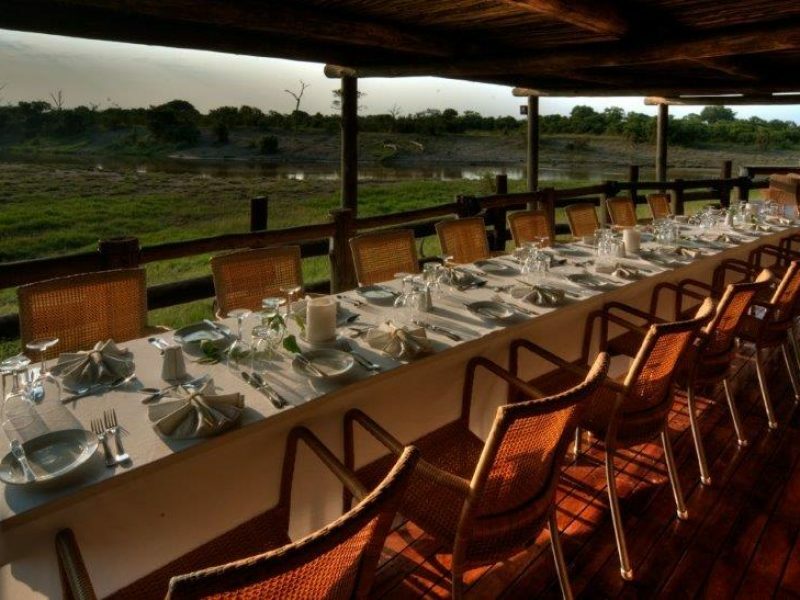 By way of comparison, some private game reserves less than half this size can have upwards of 15 luxury loges.